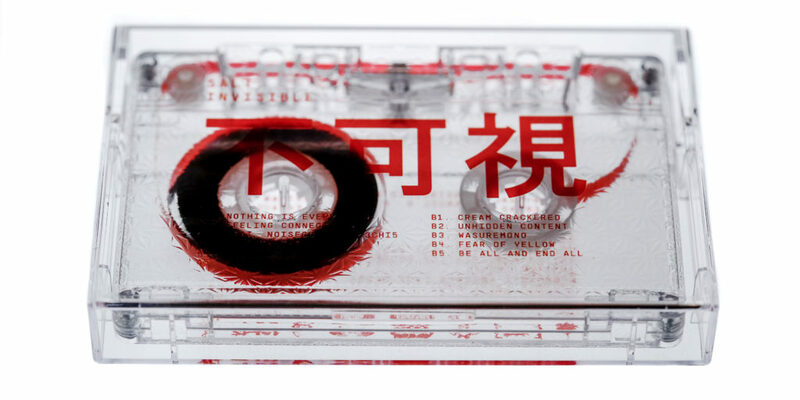 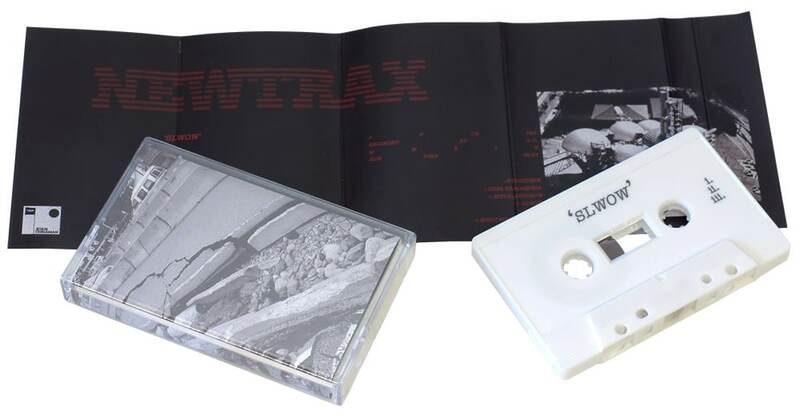 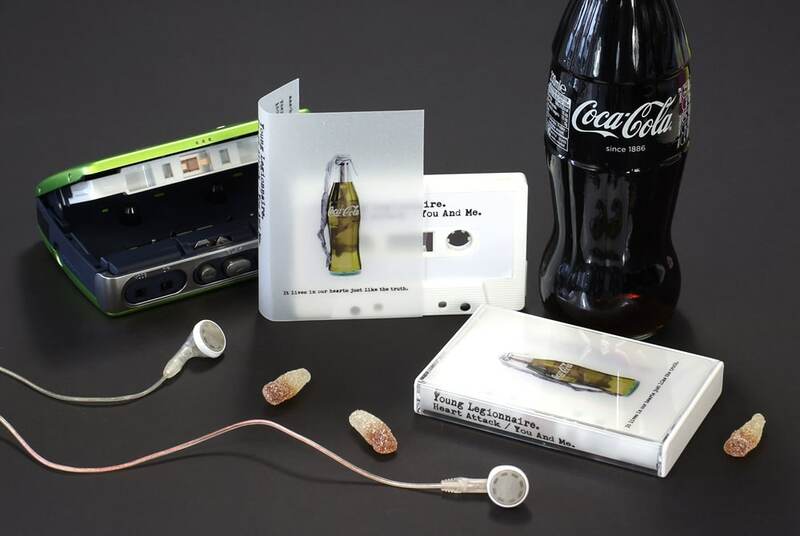 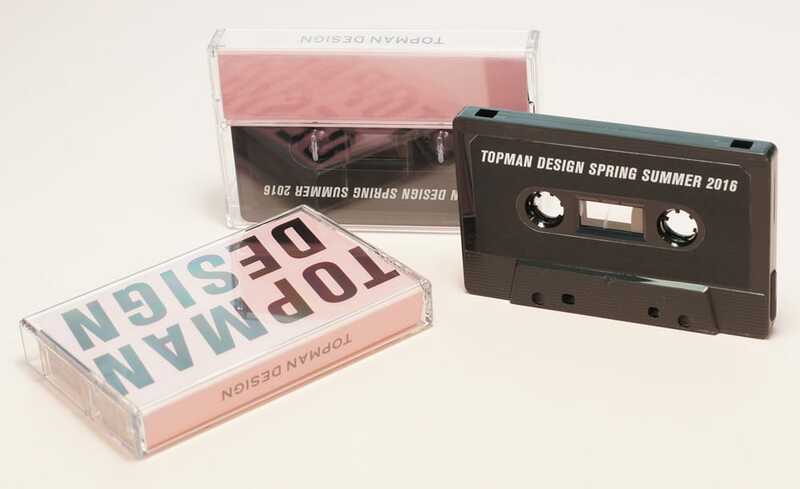 In addition to our standard clear hard plastic cassette cases or printed cassette O-cards, we can also provide cassette tapes in these clear, slightly frosted, polyester cases that provide an interesting and cost-effective option to standard case or O-card options. 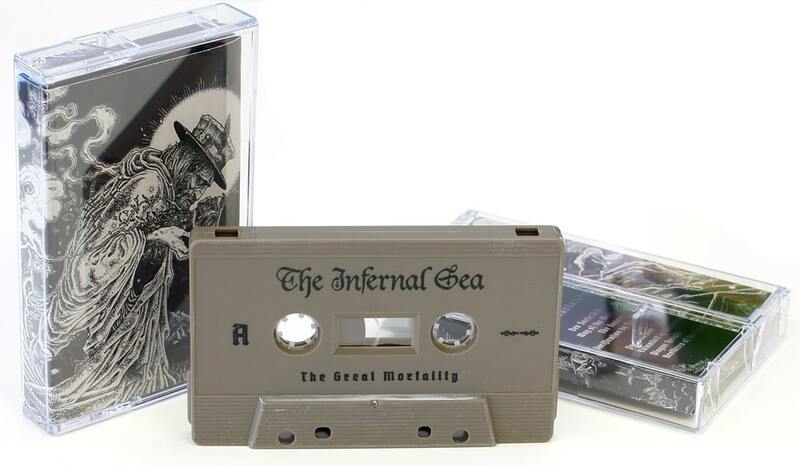 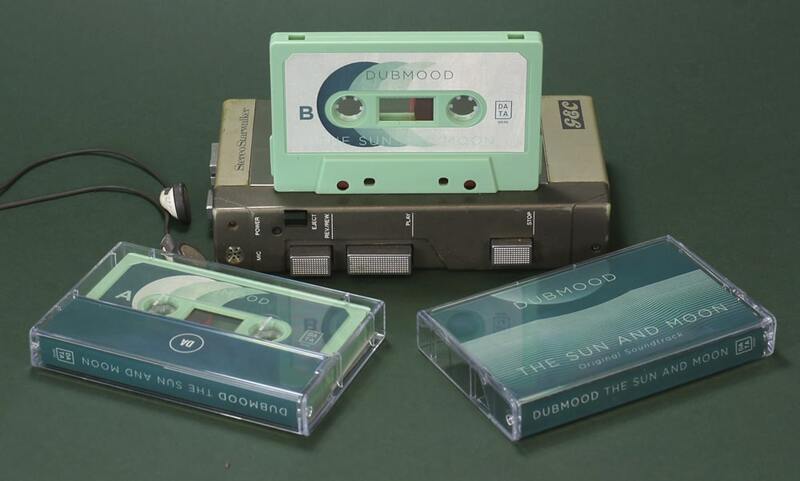 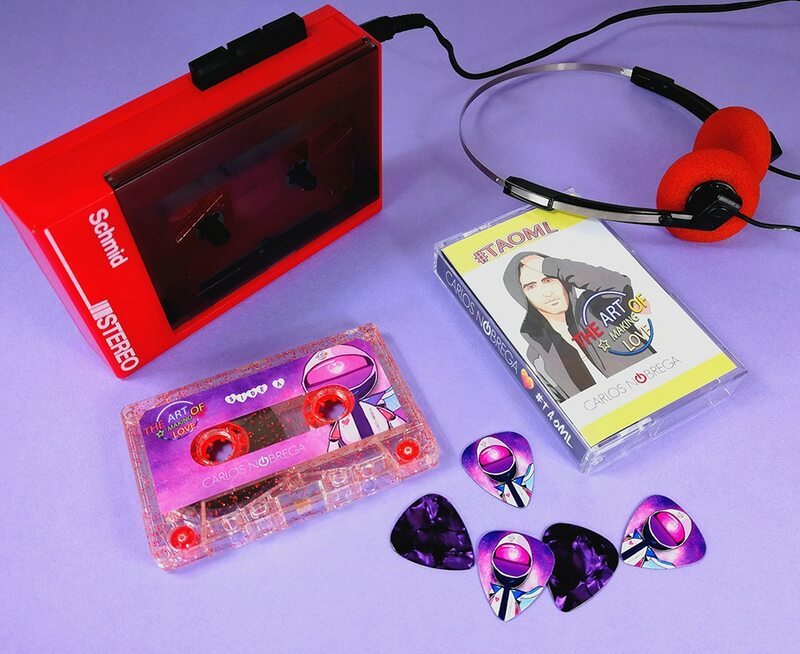 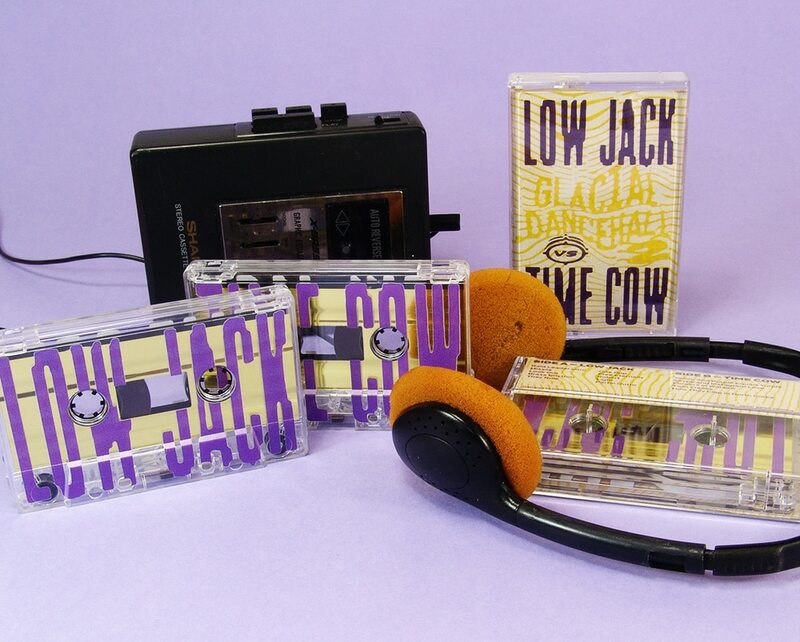 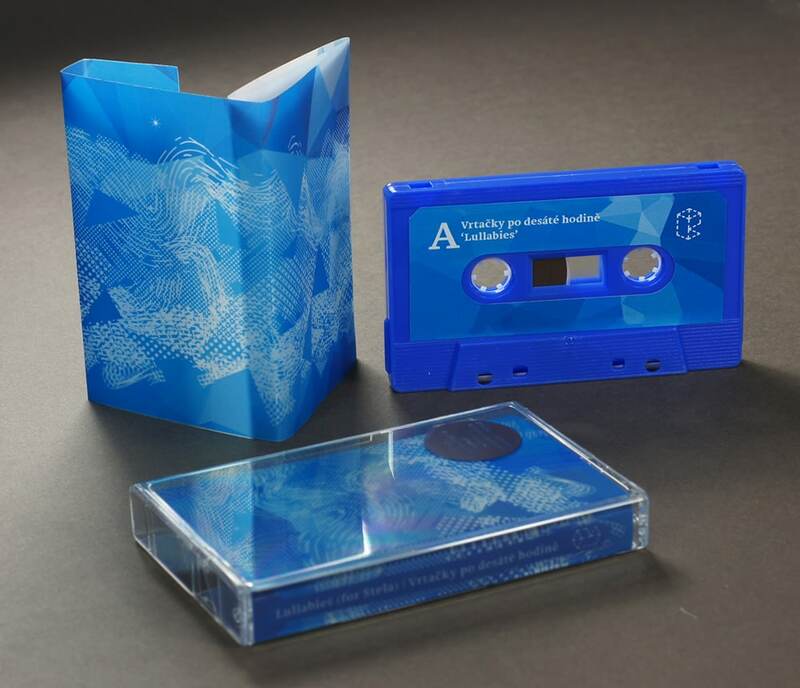 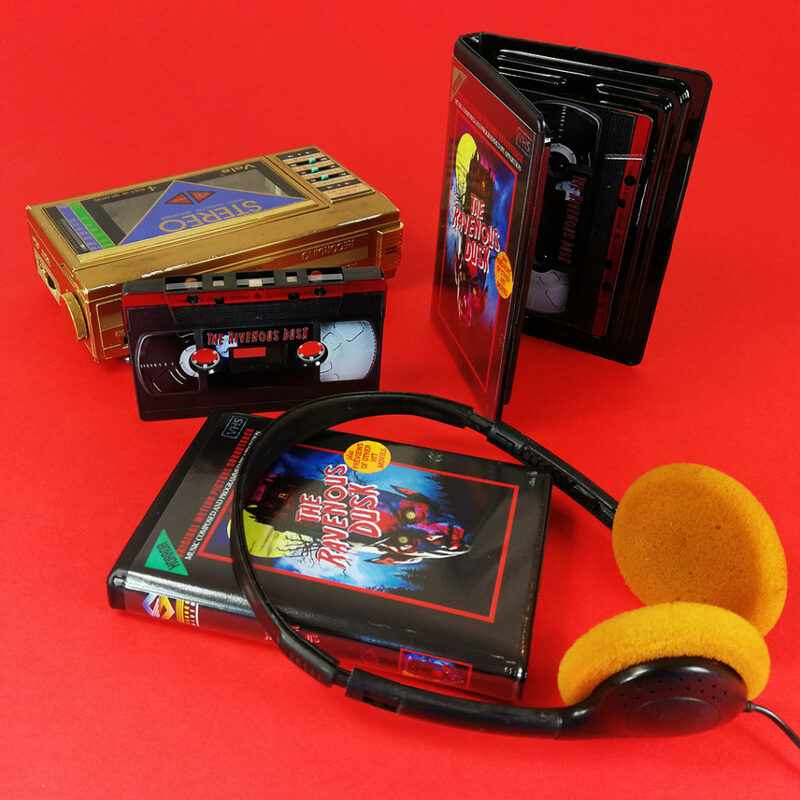 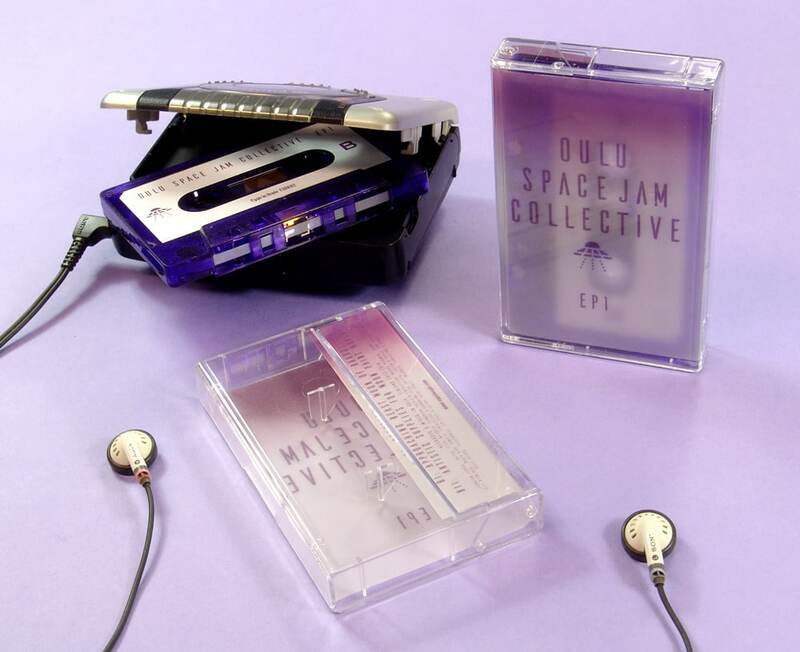 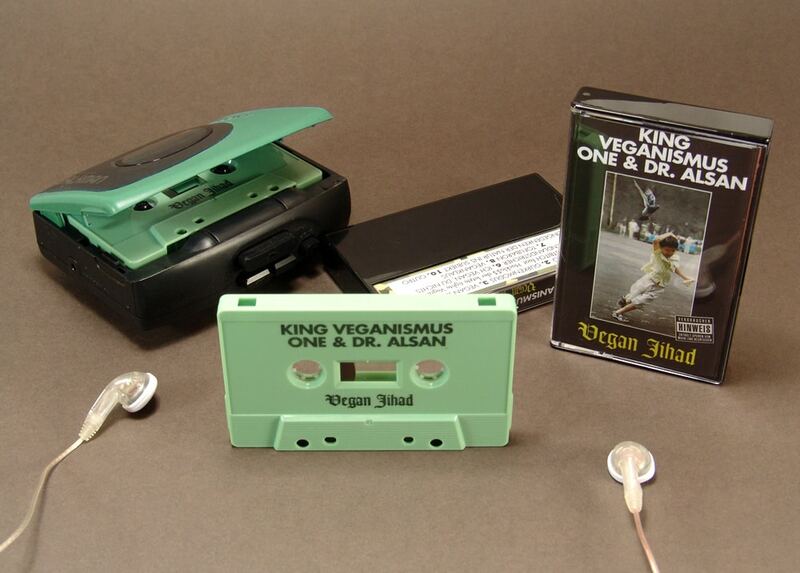 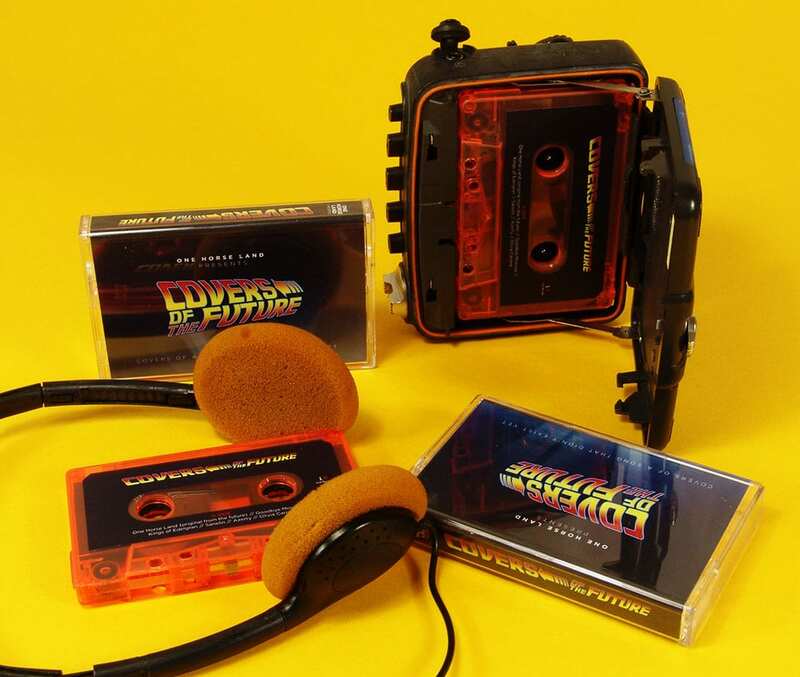 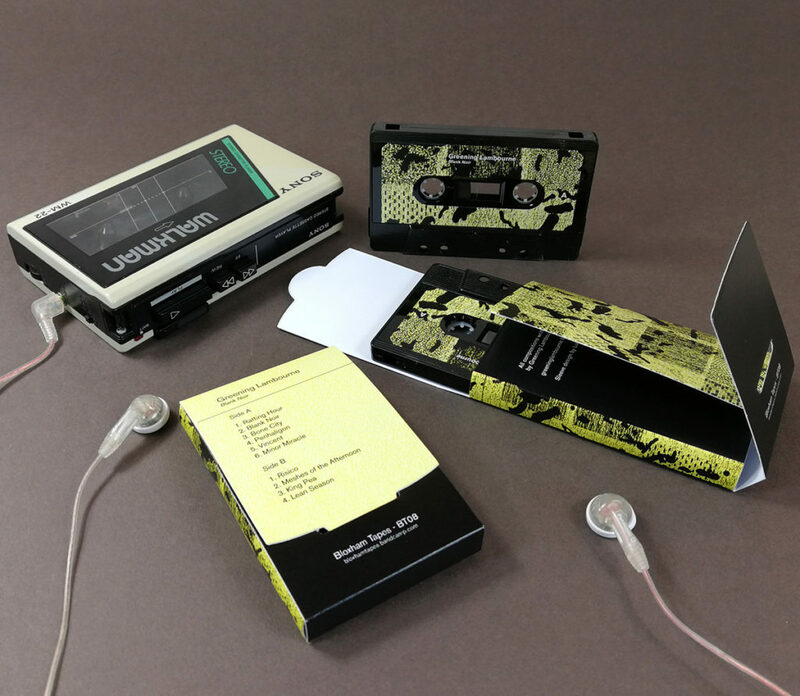 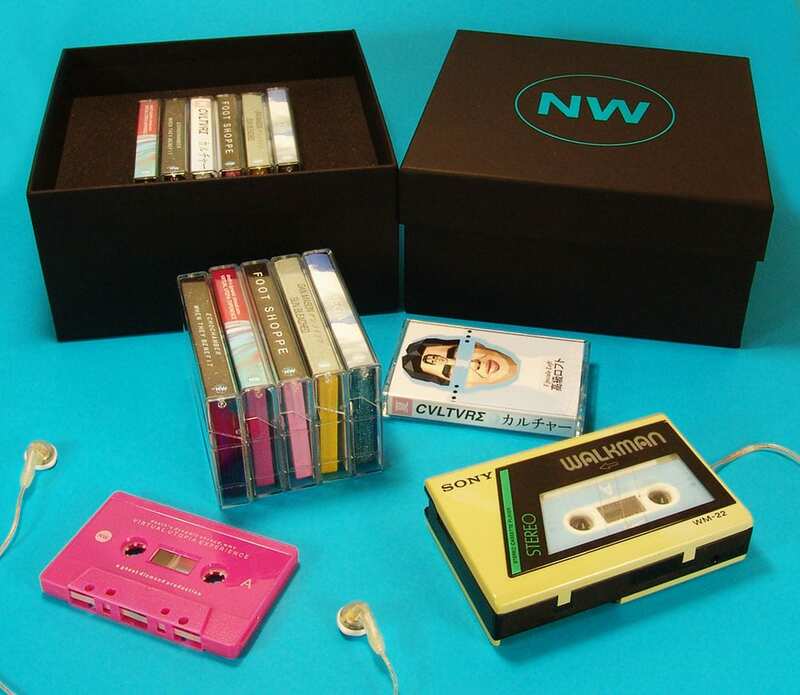 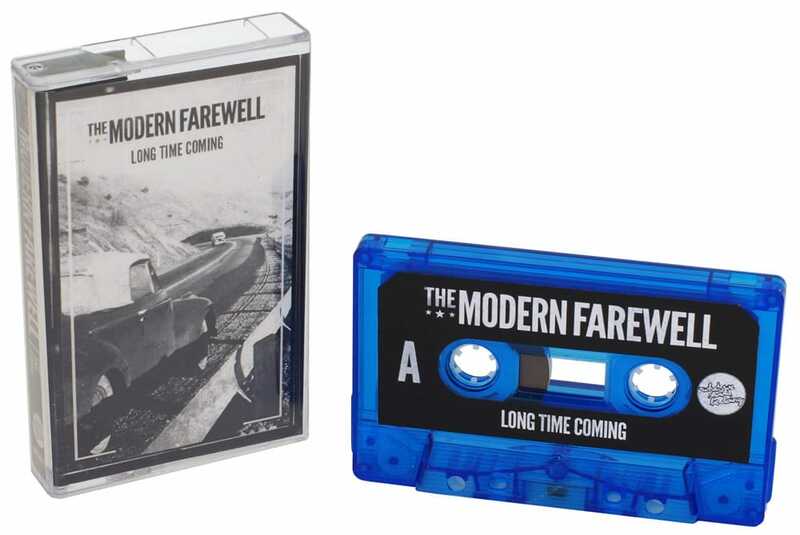 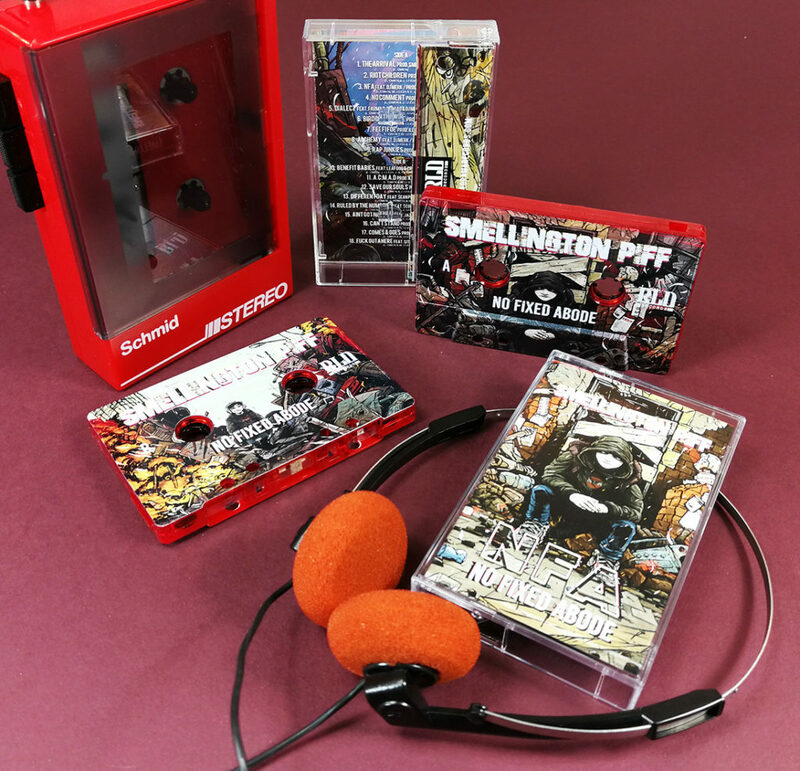 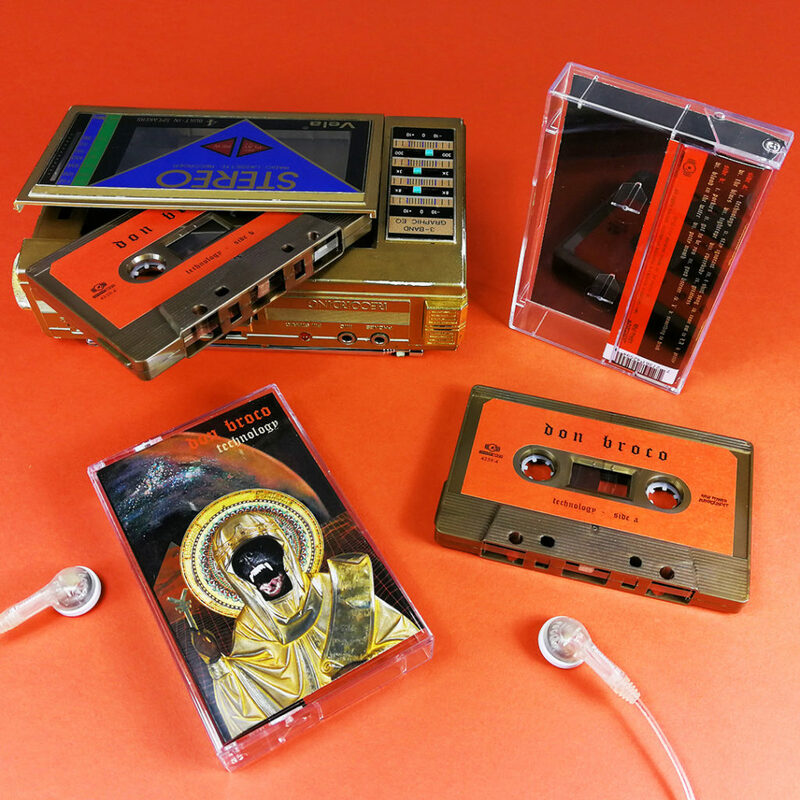 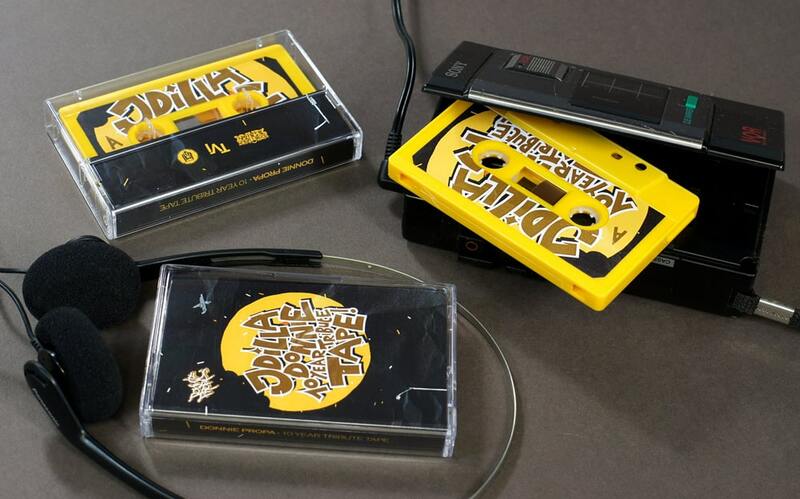 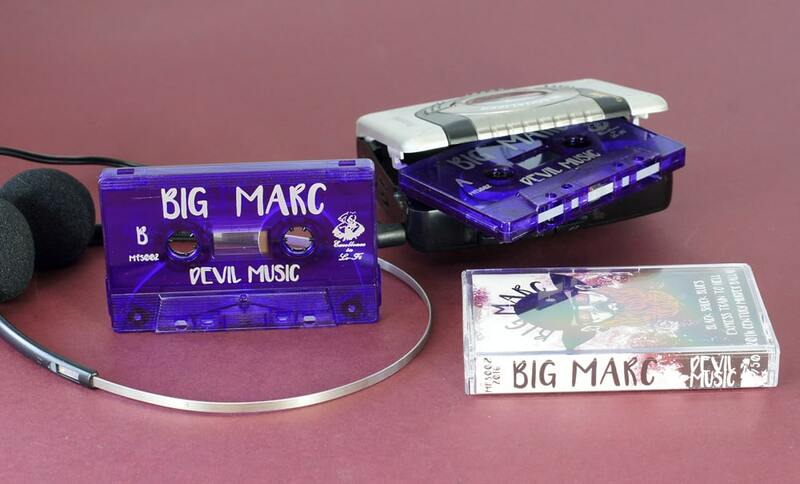 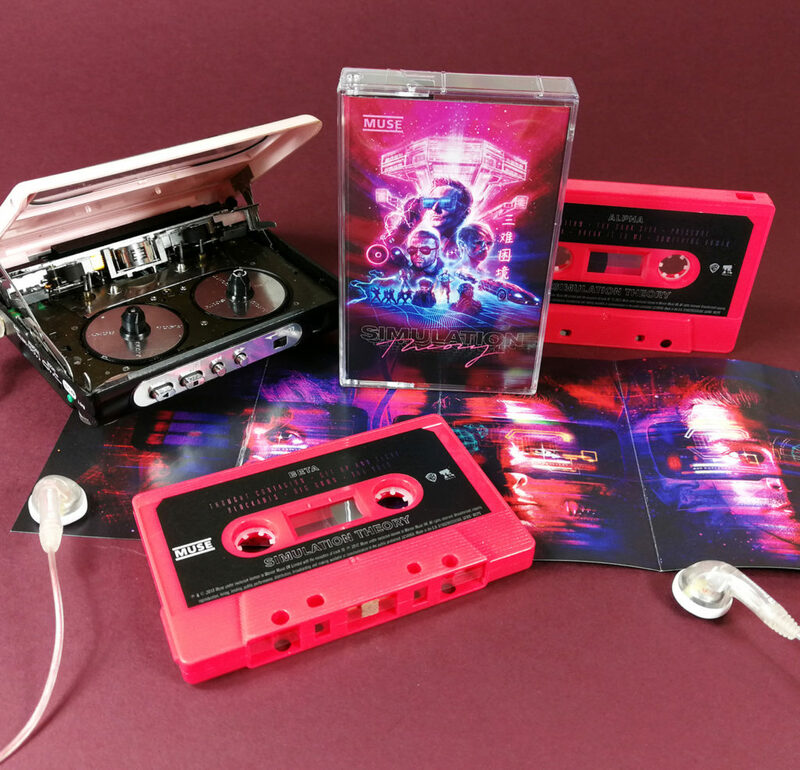 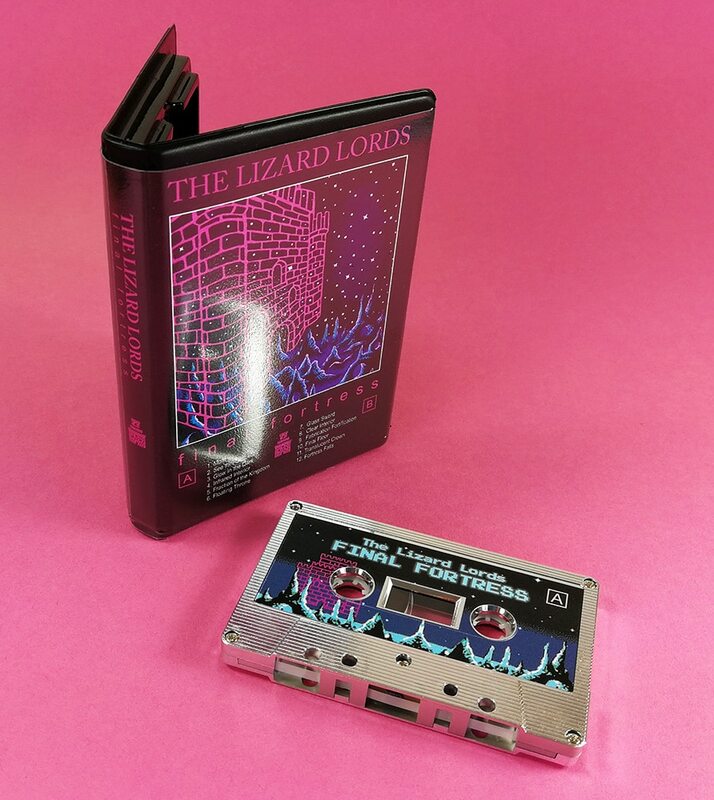 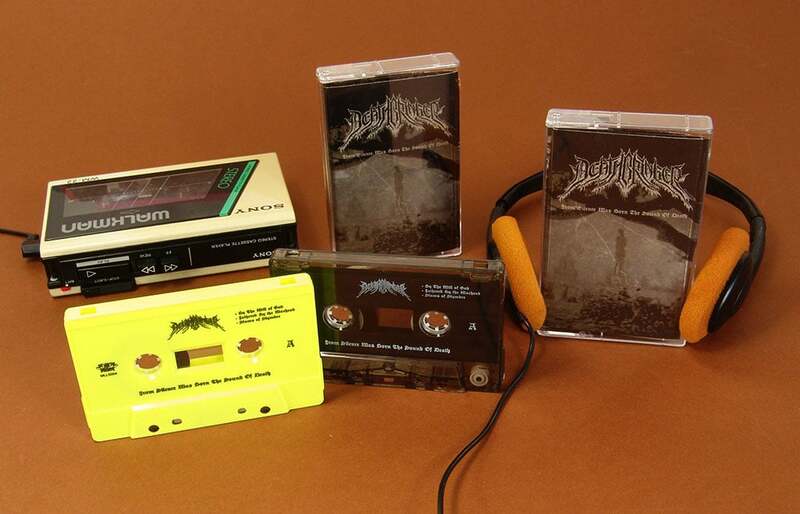 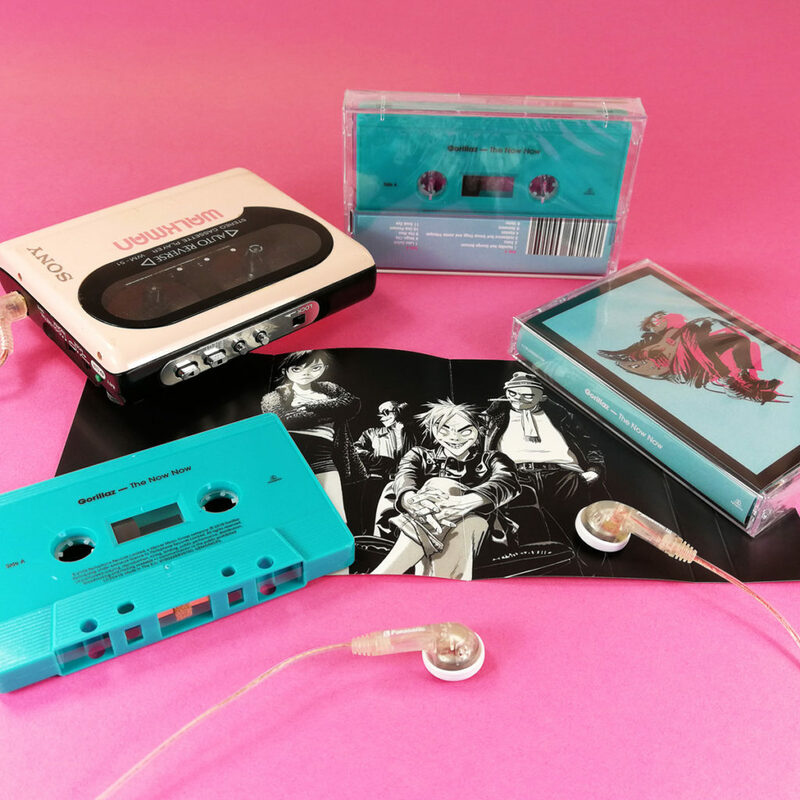 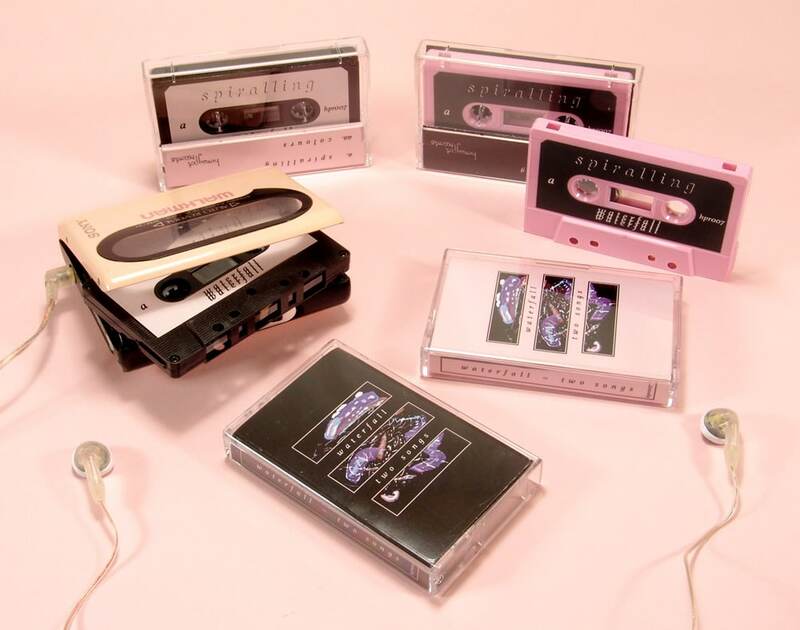 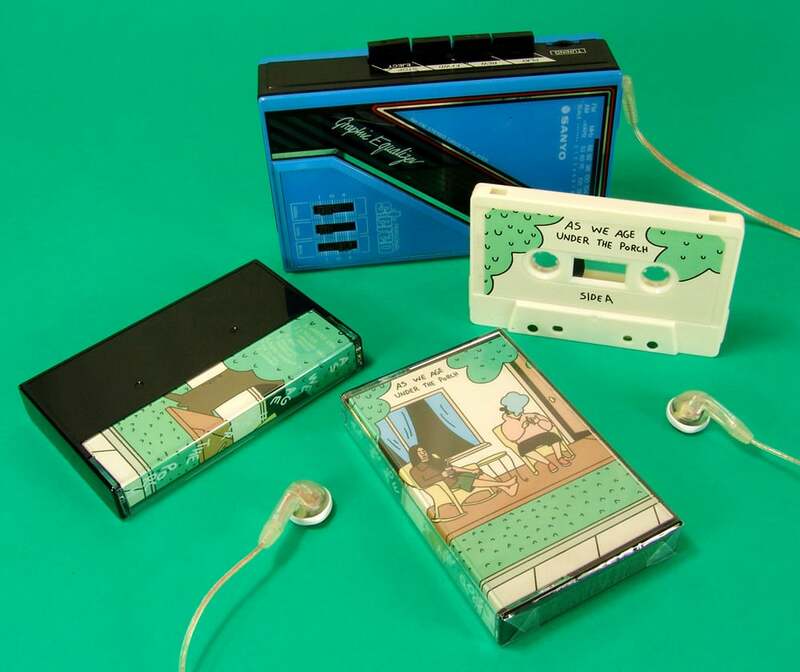 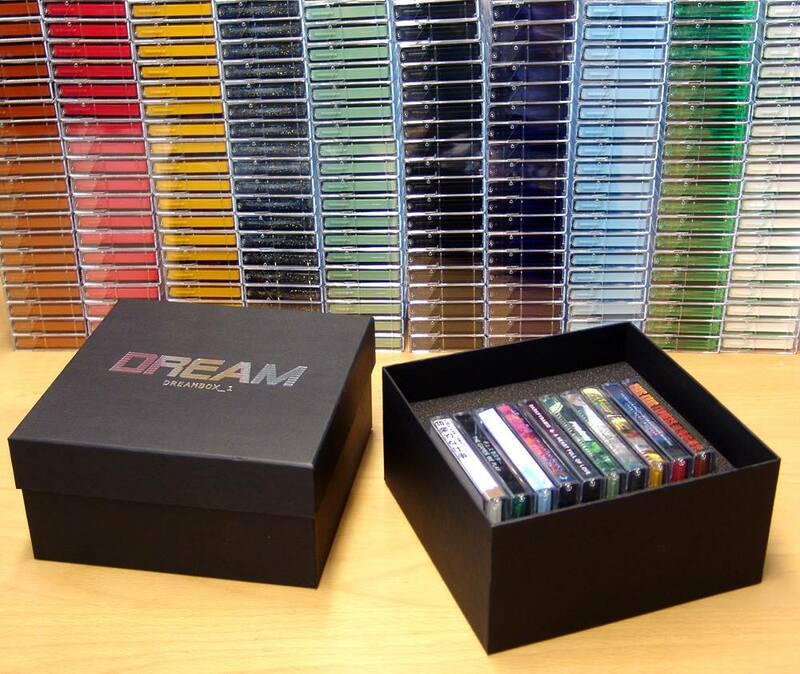 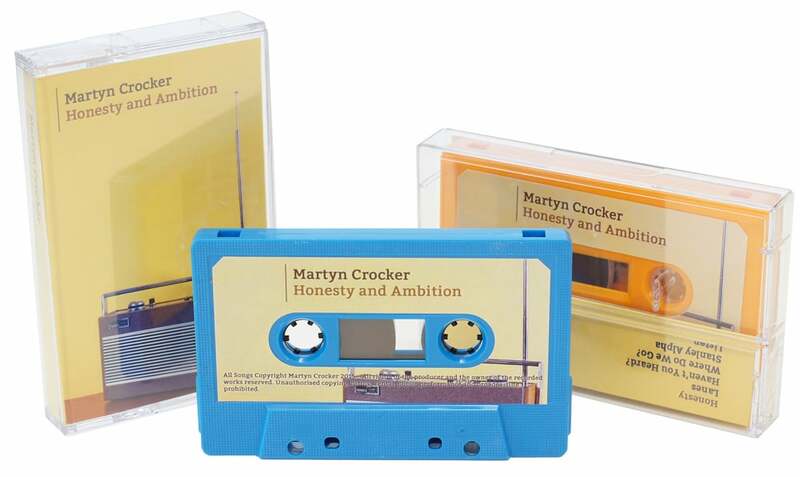 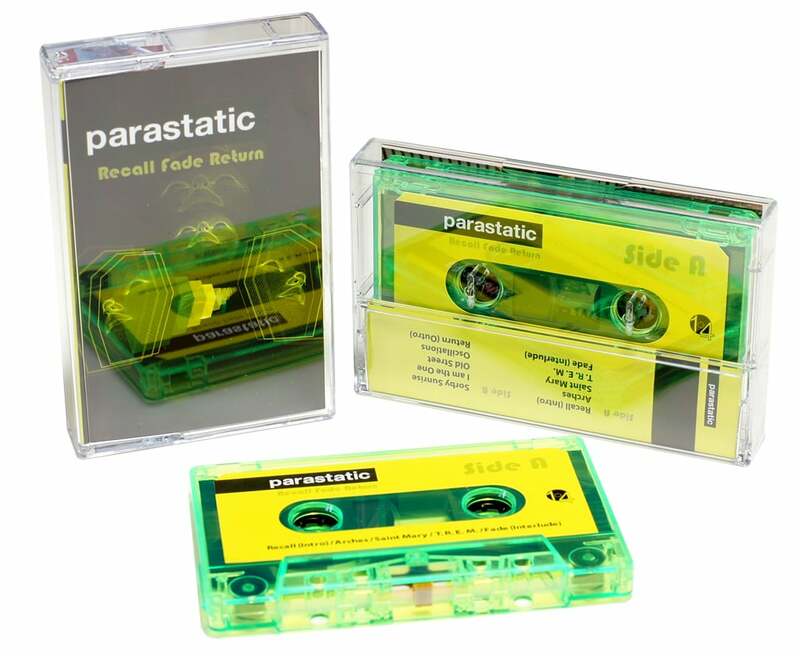 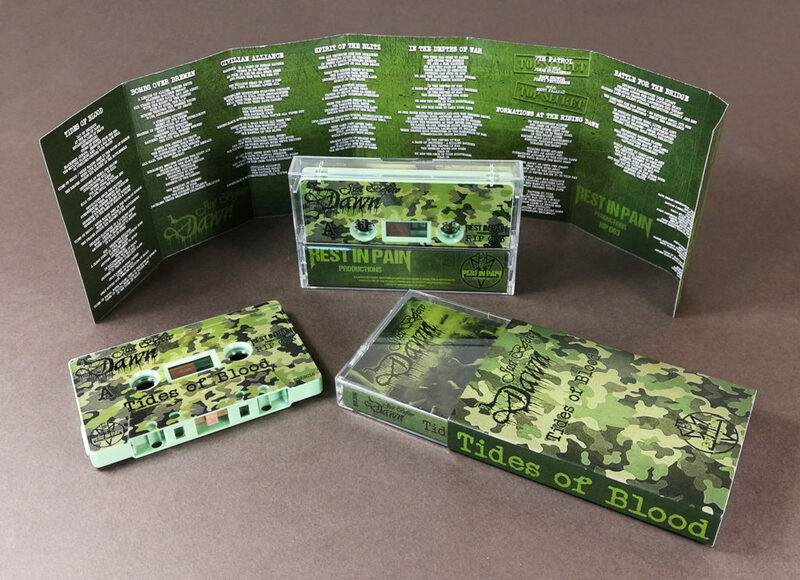 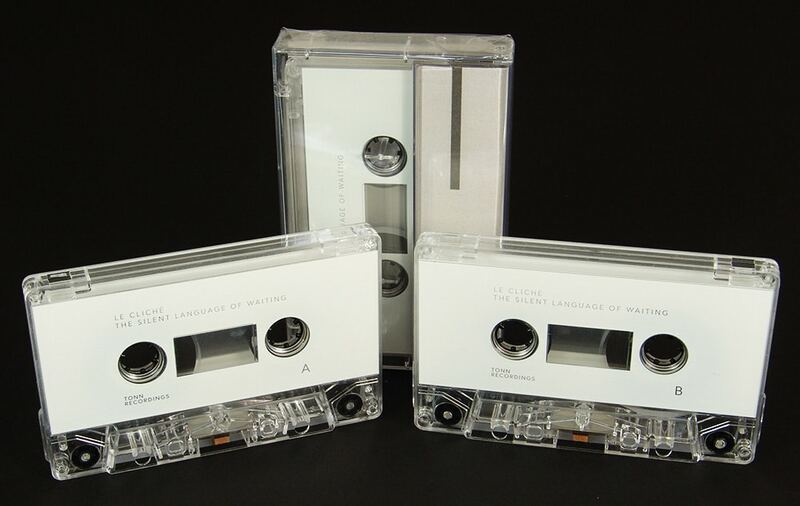 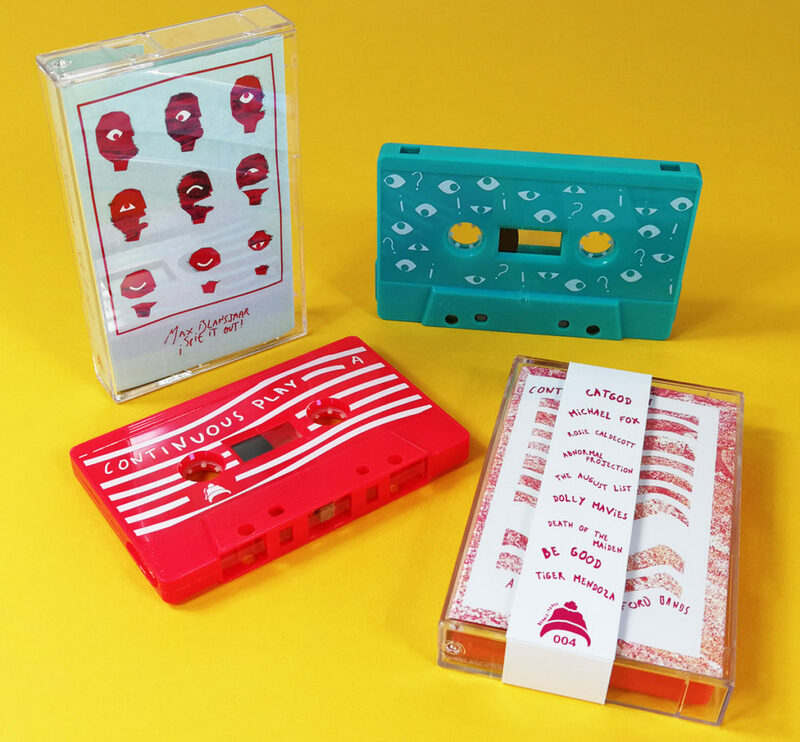 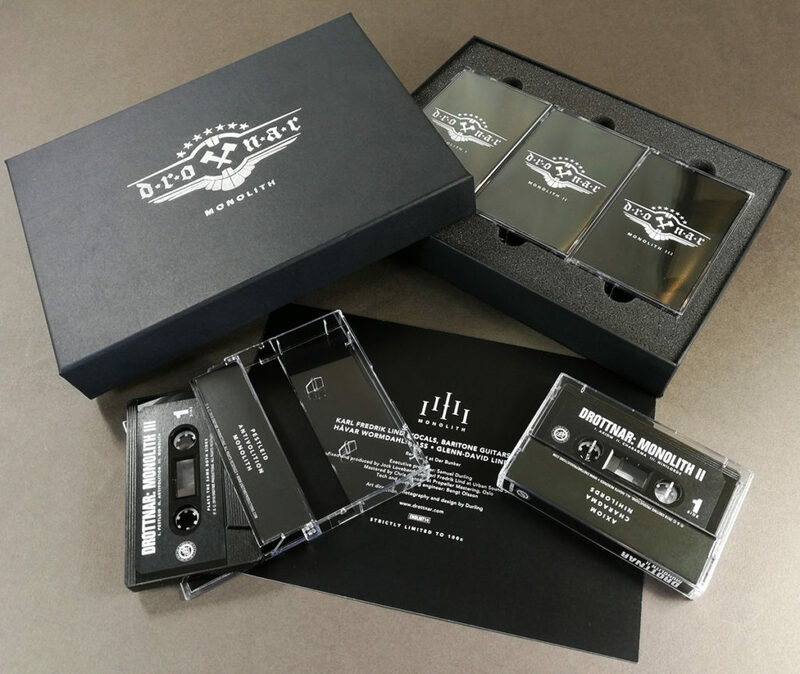 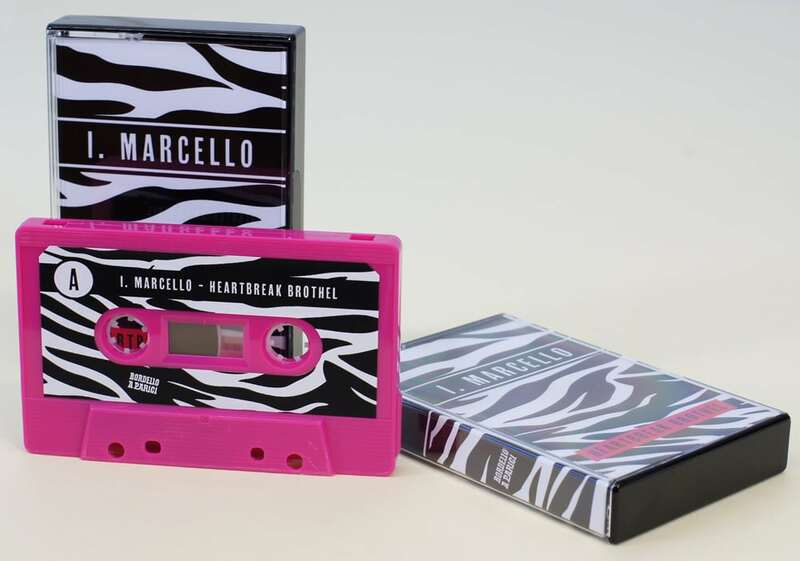 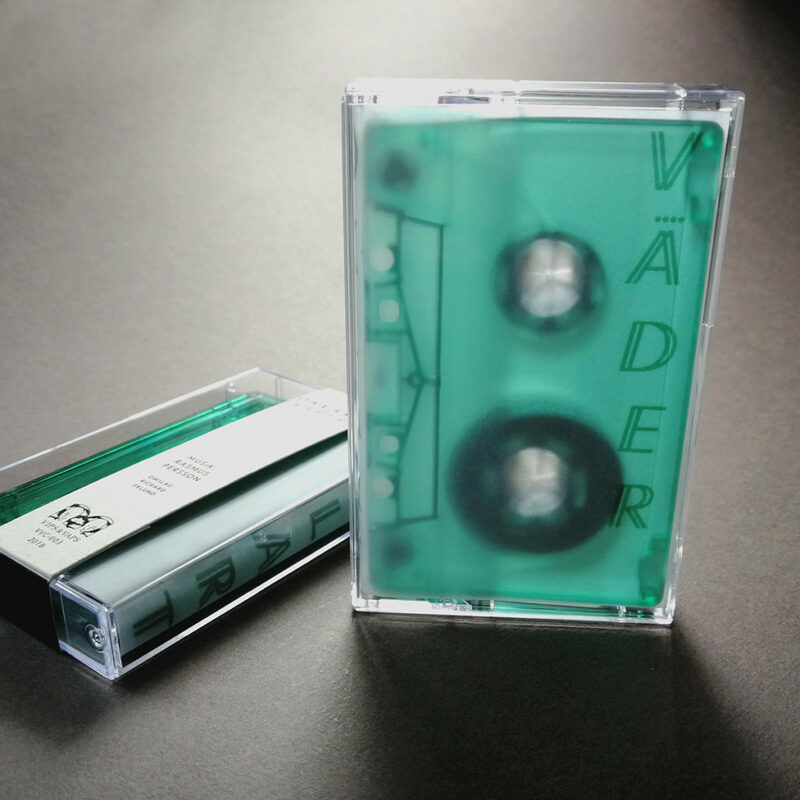 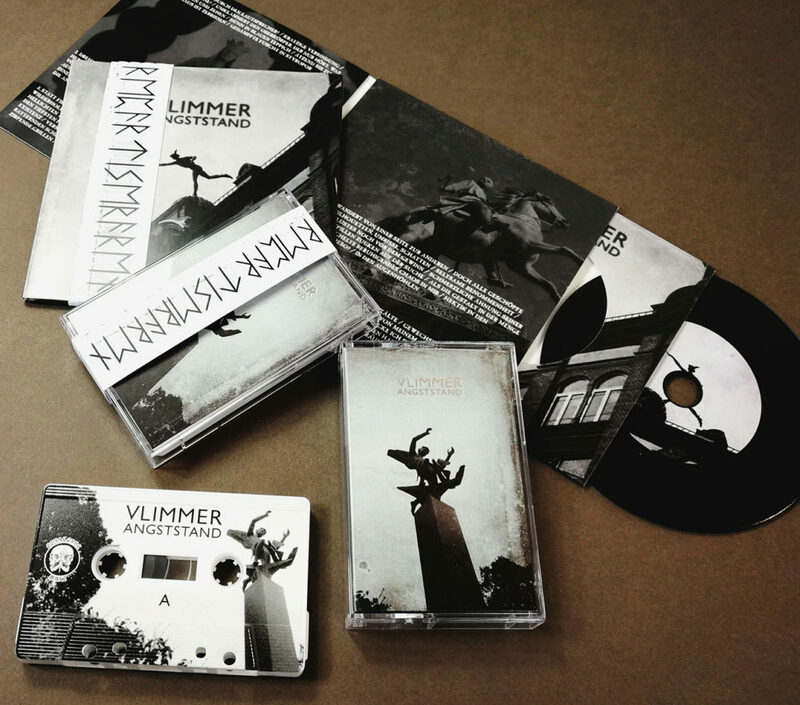 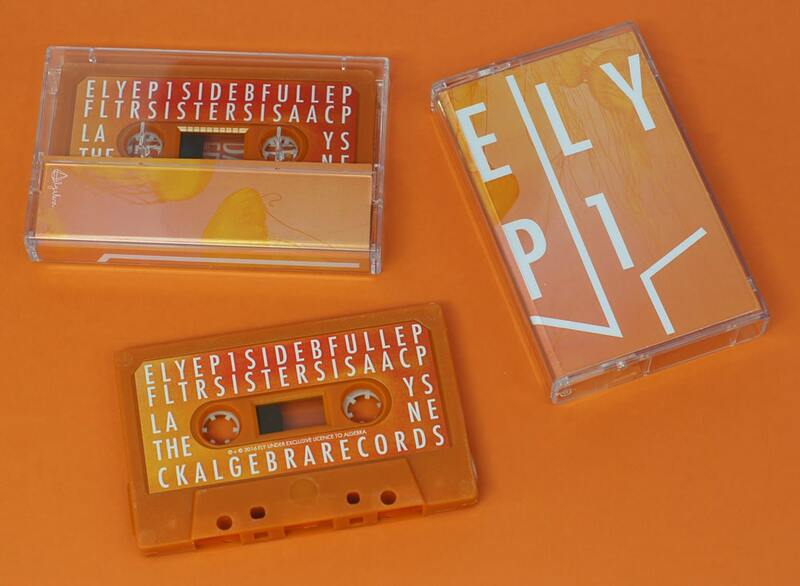 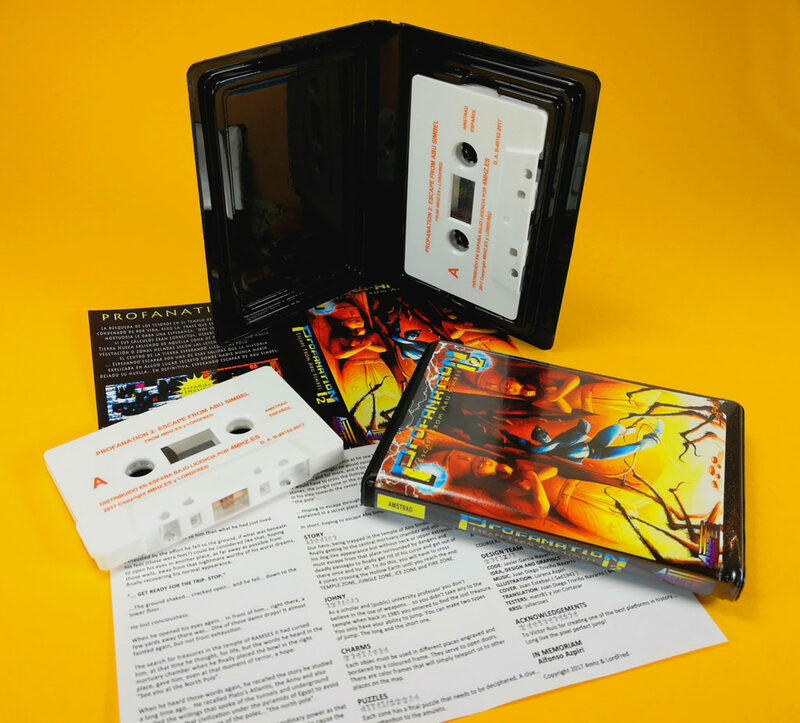 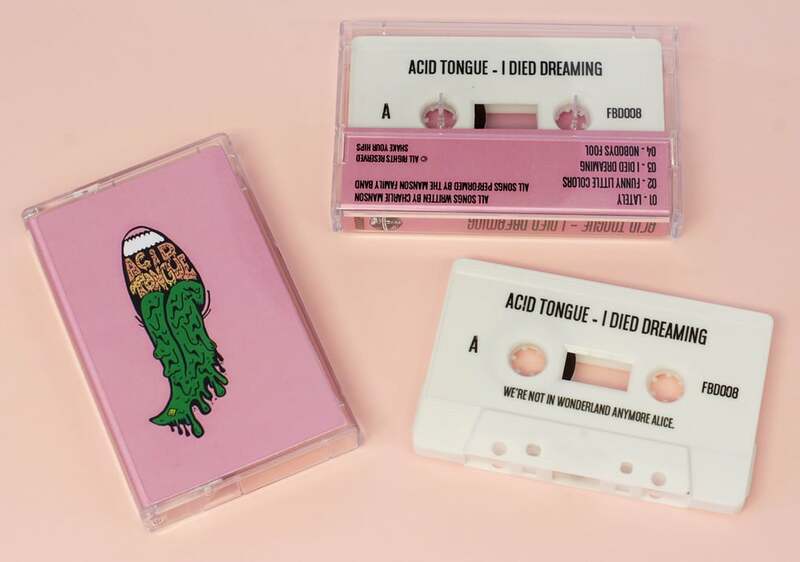 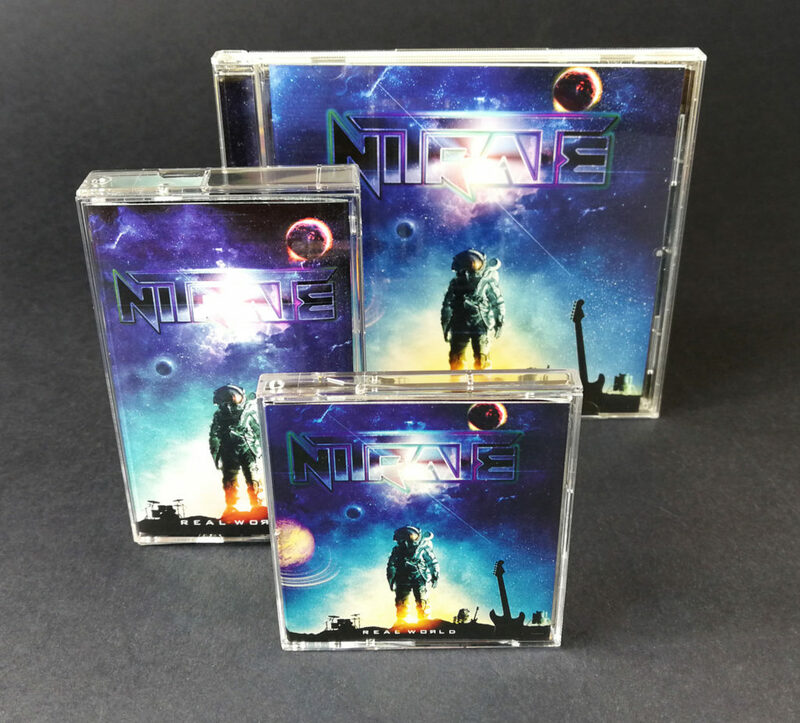 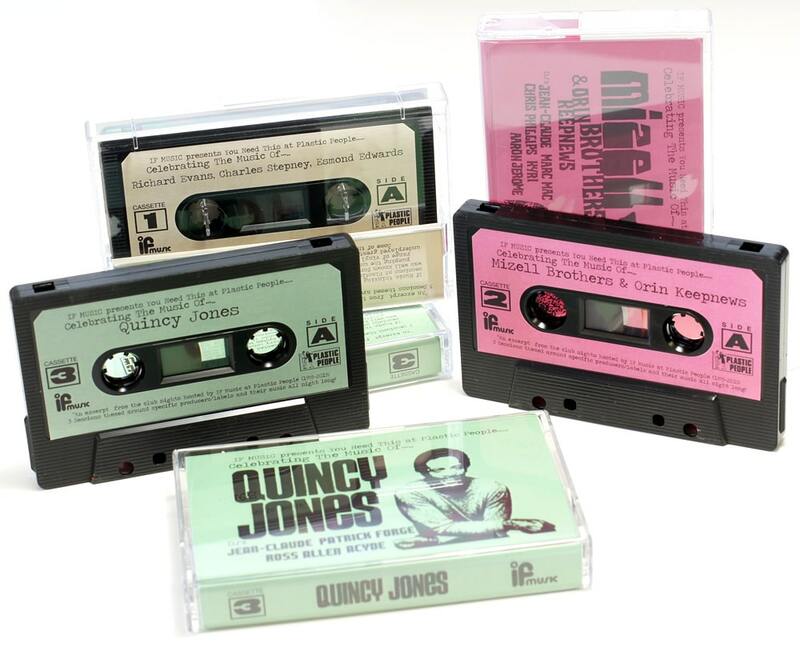 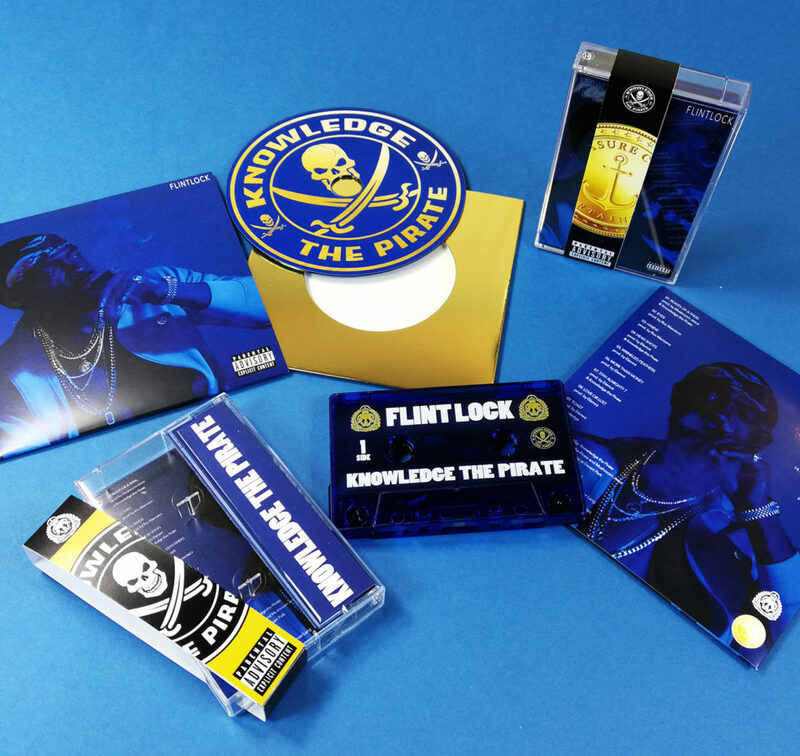 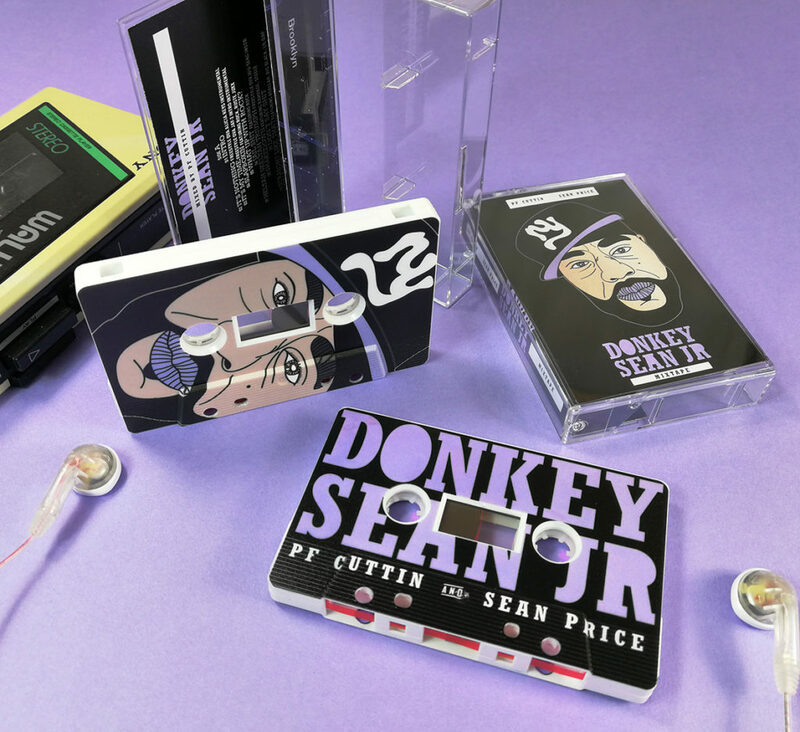 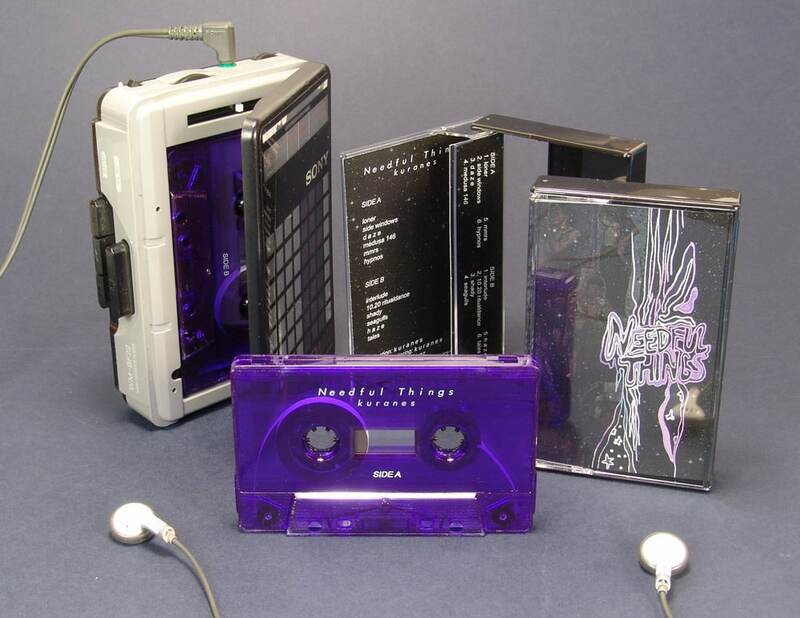 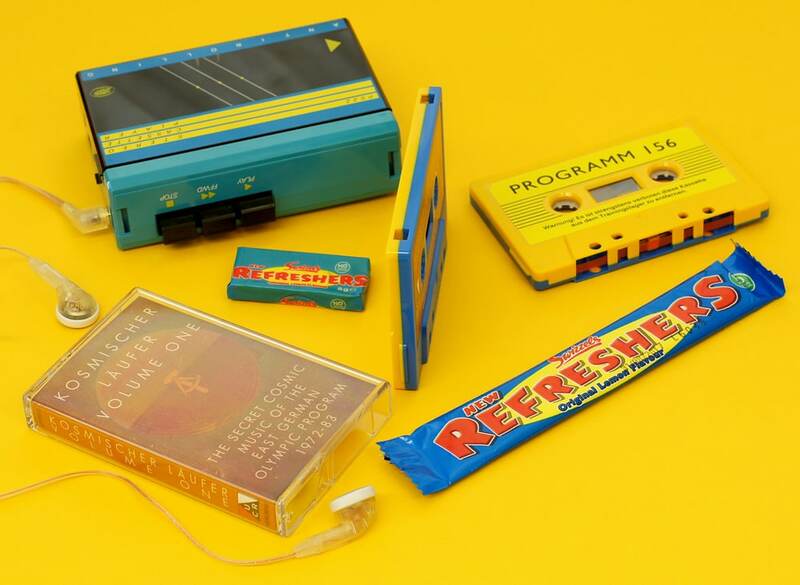 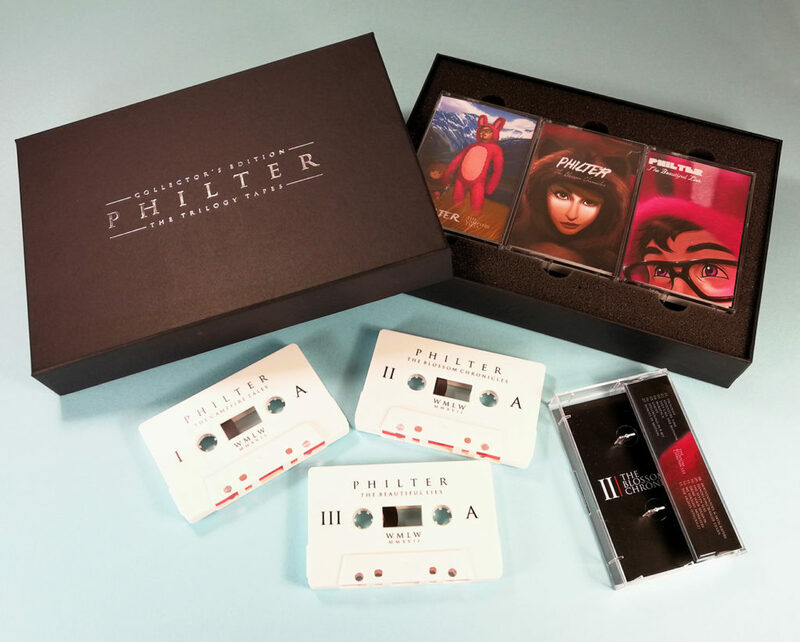 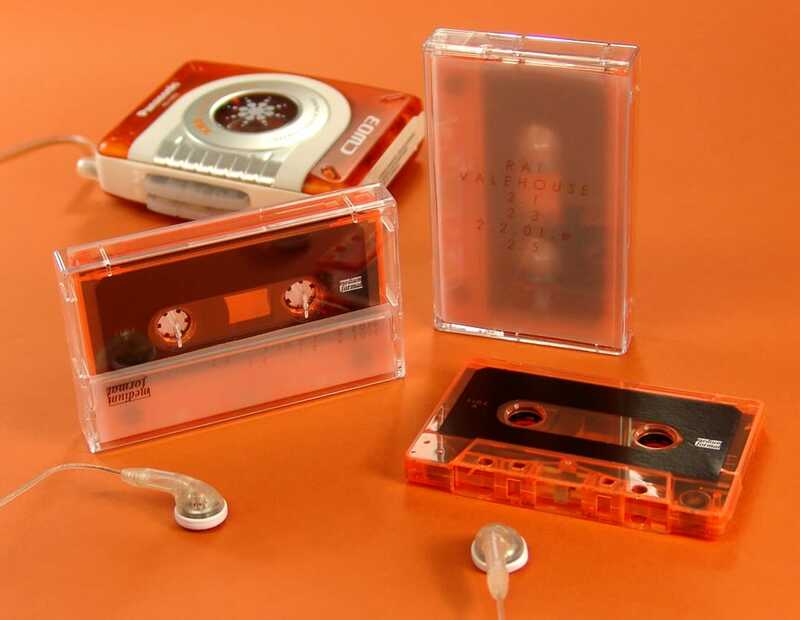 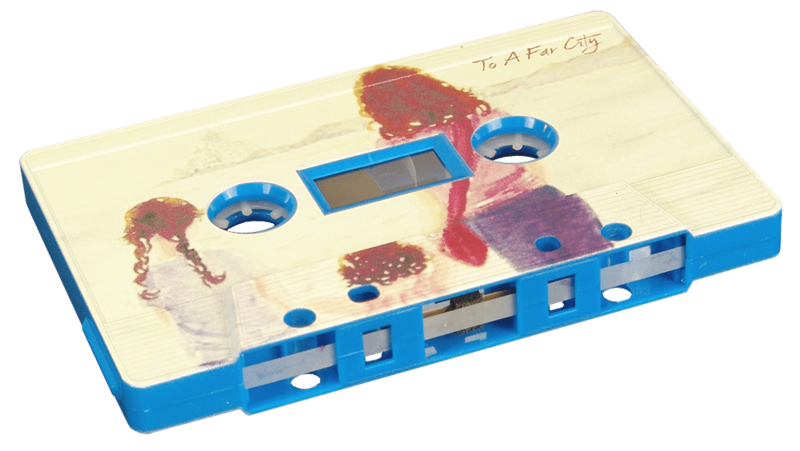 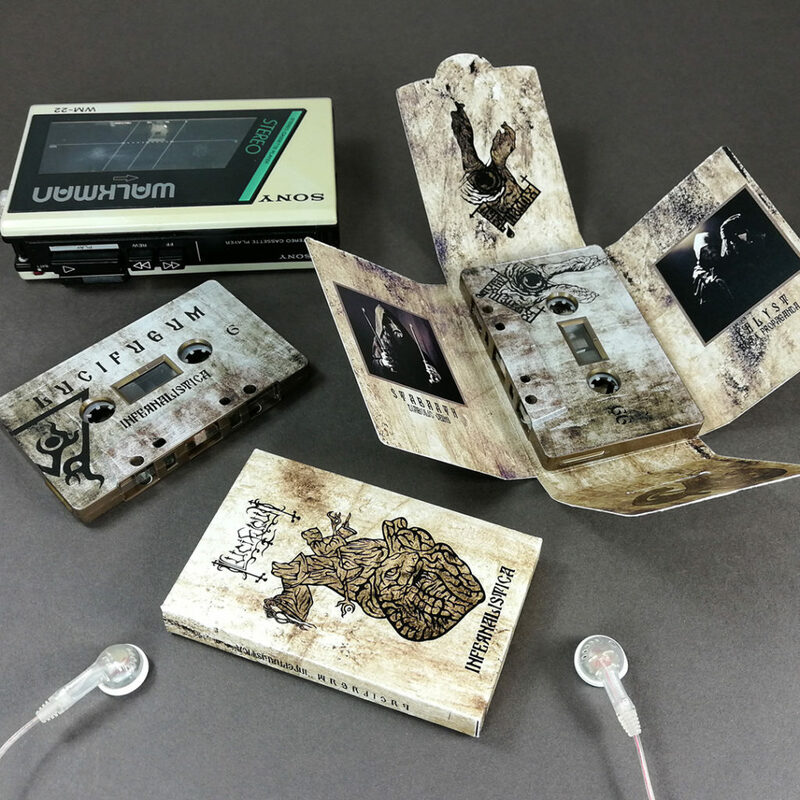 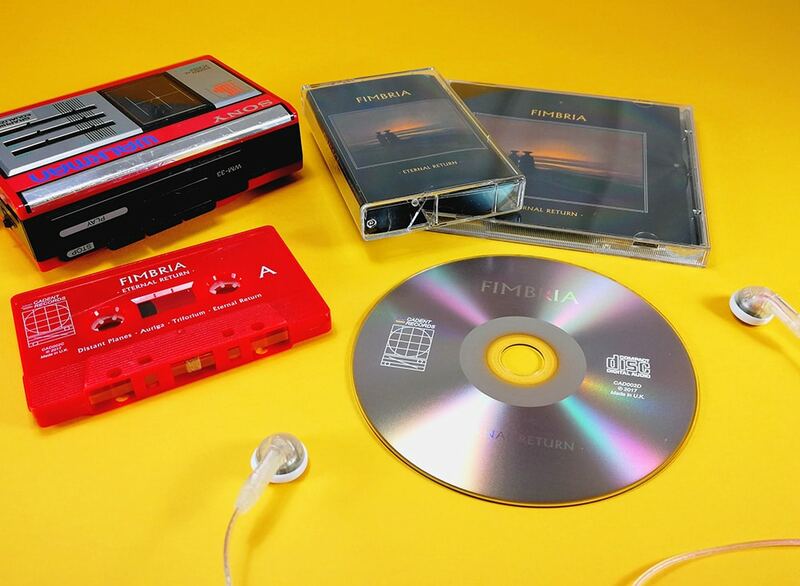 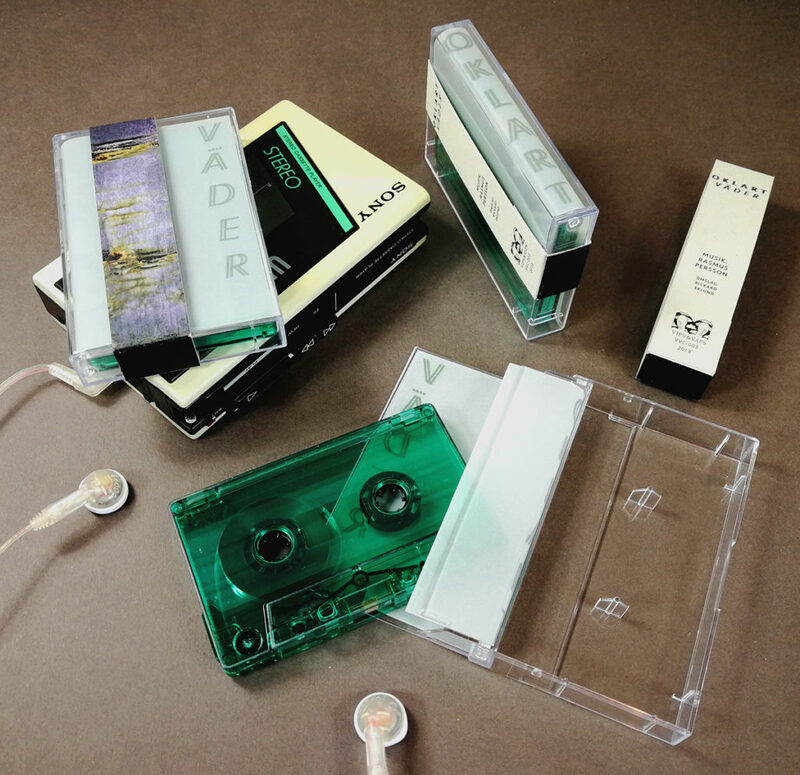 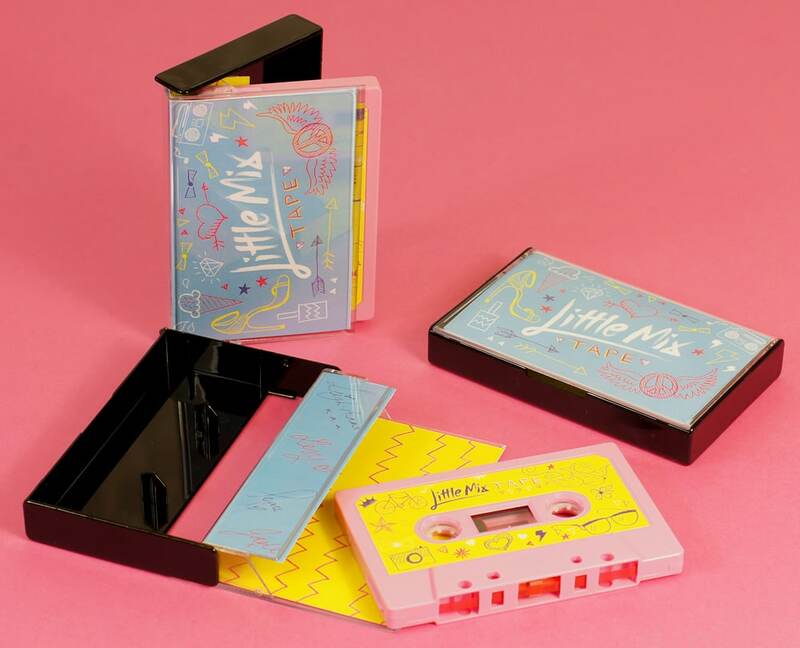 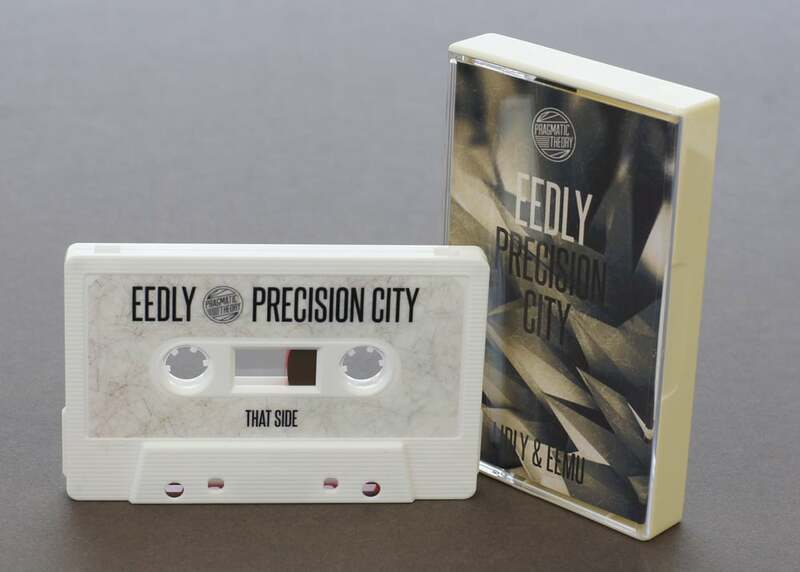 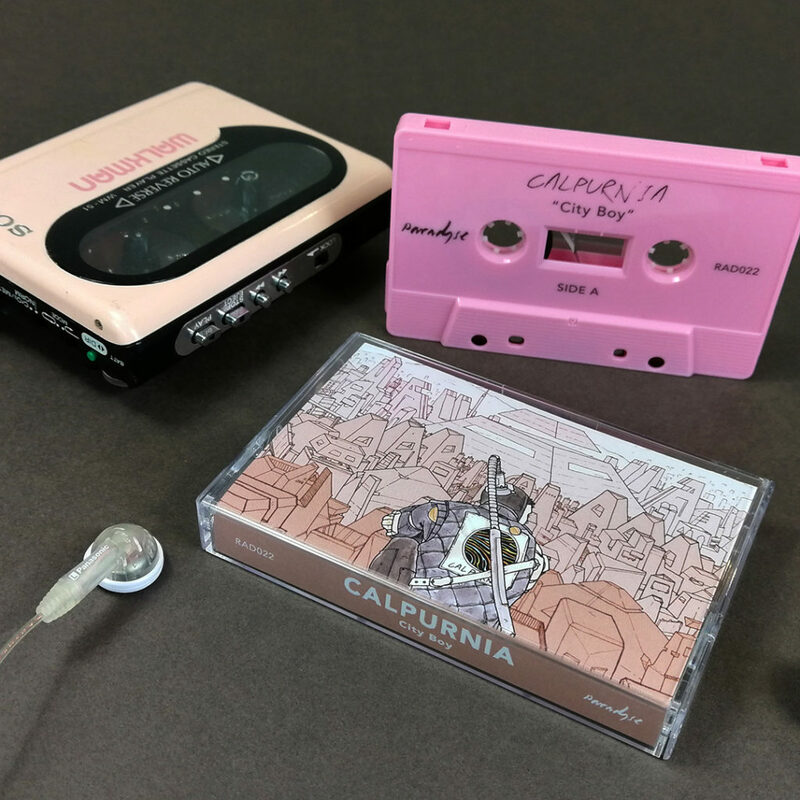 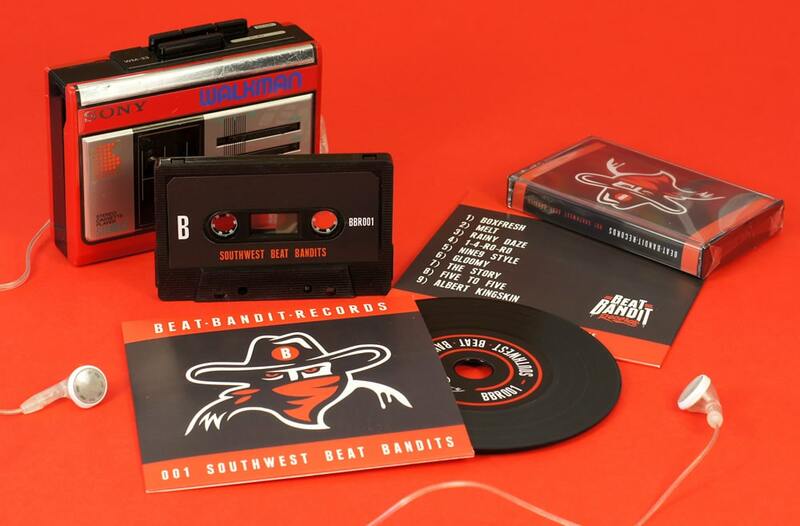 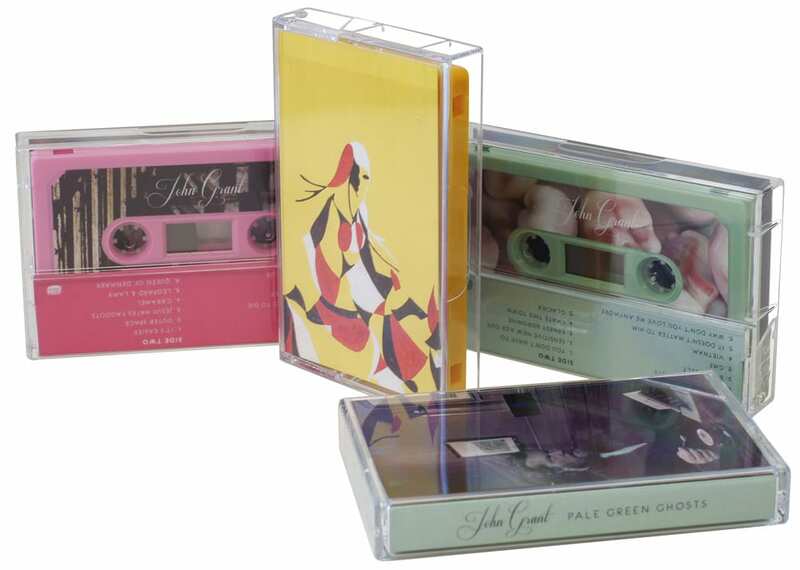 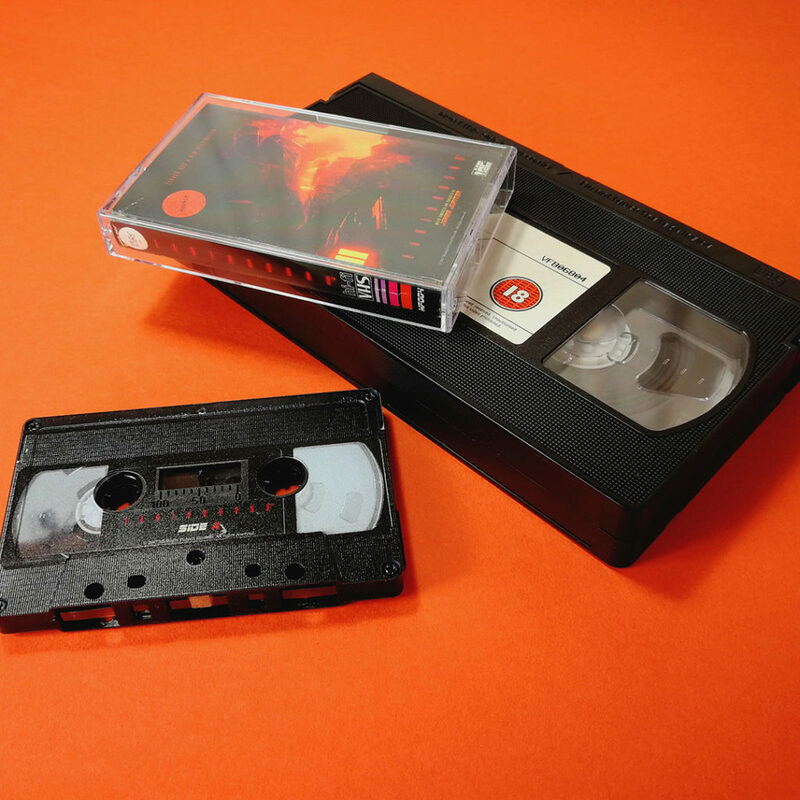 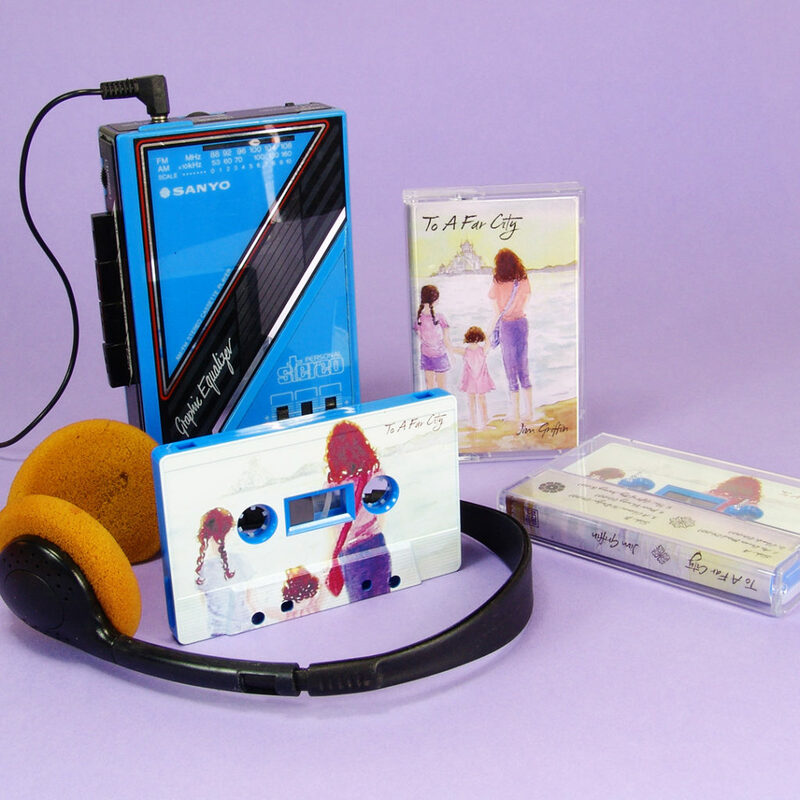 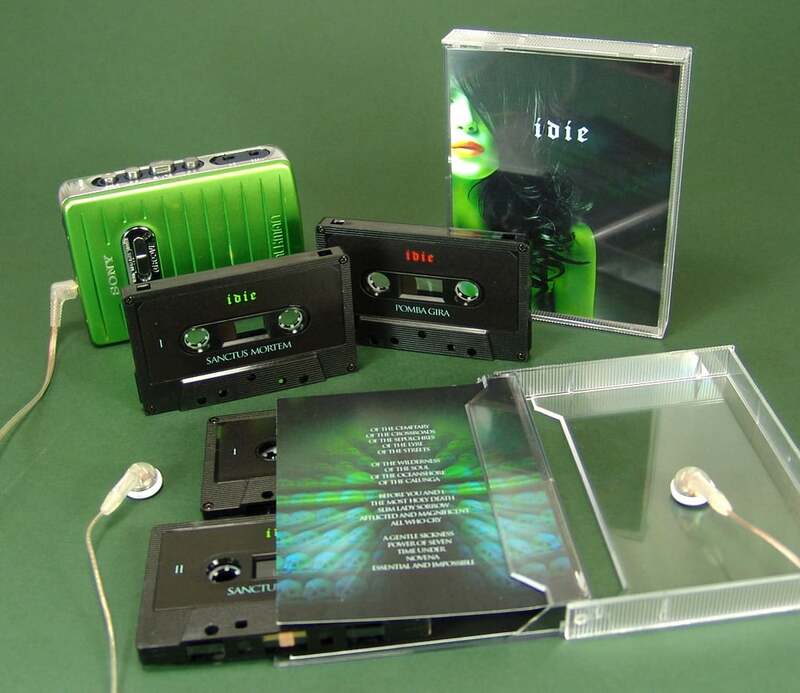 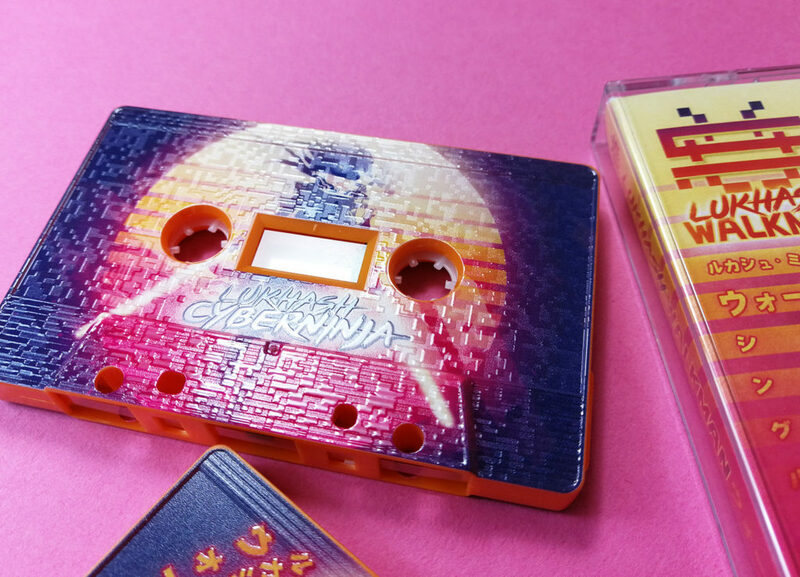 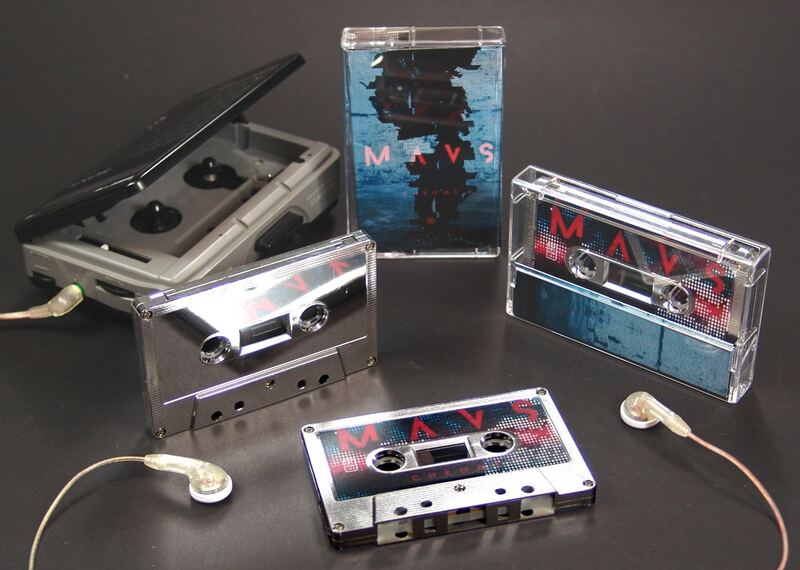 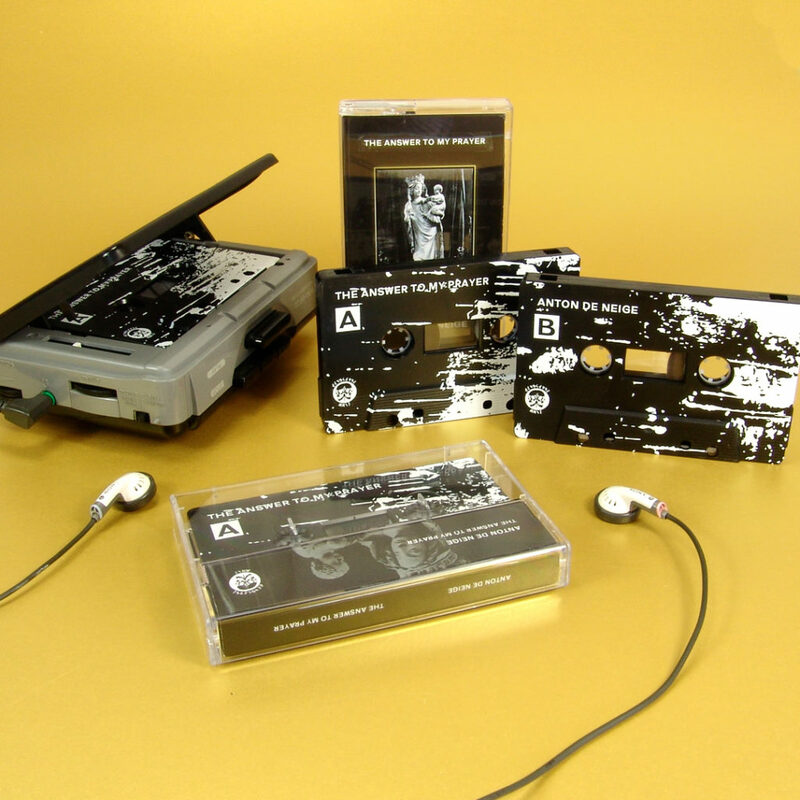 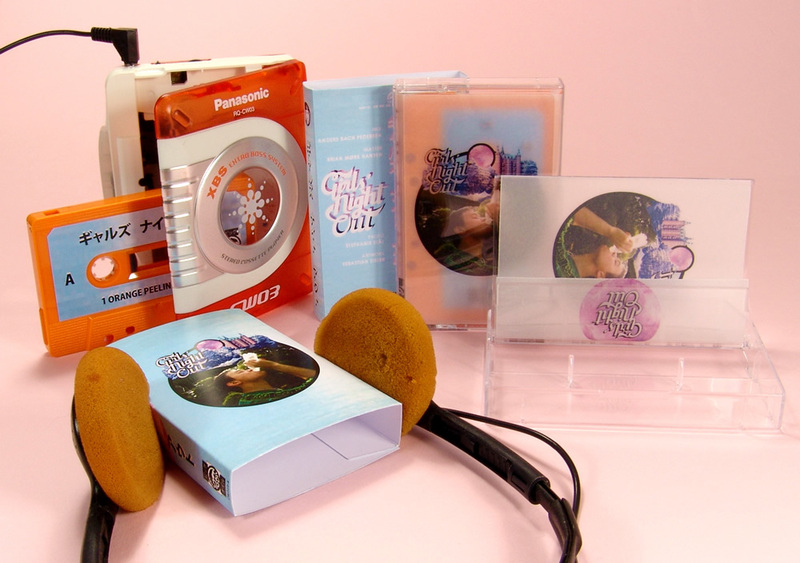 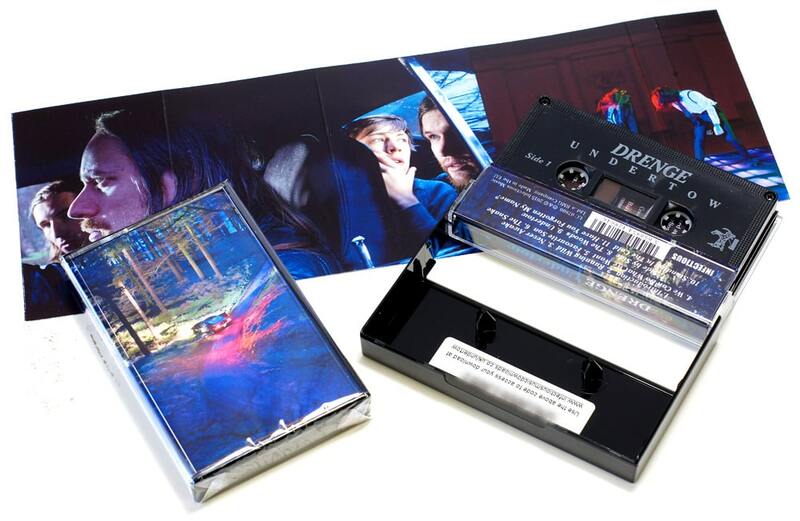 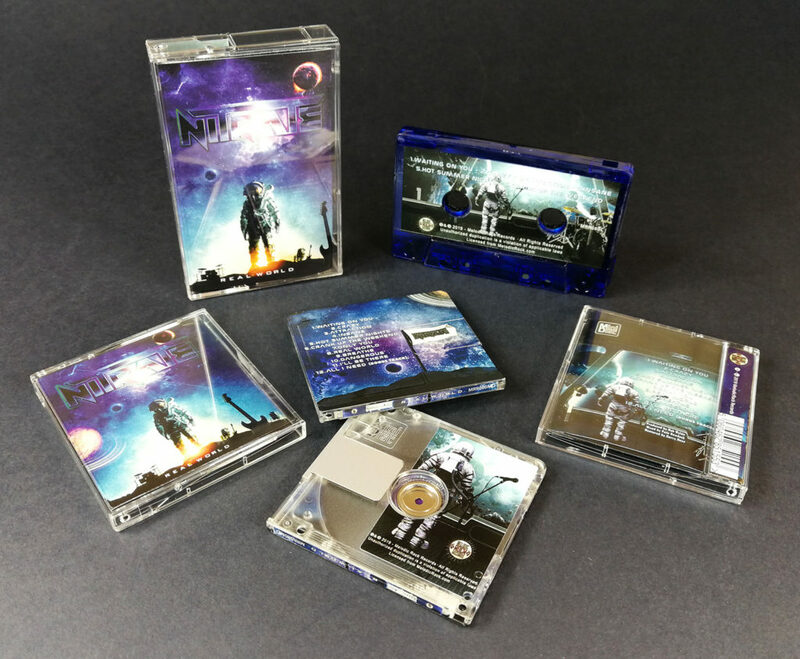 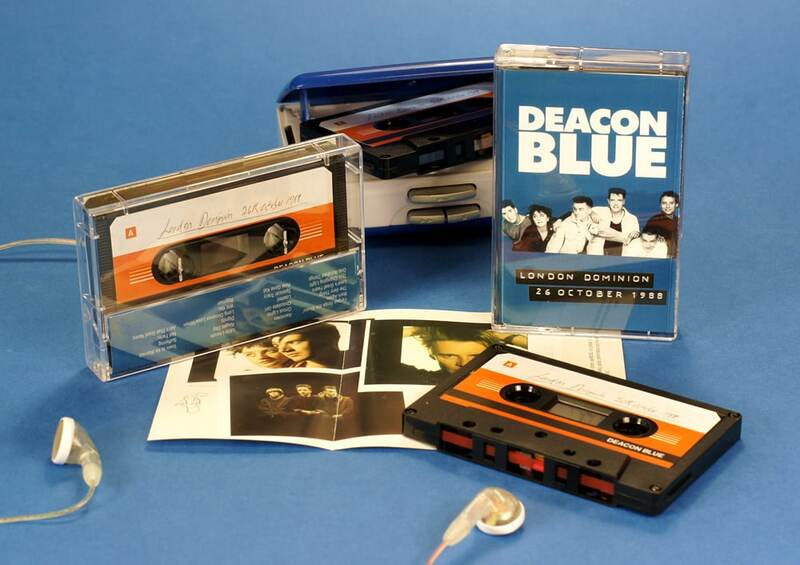 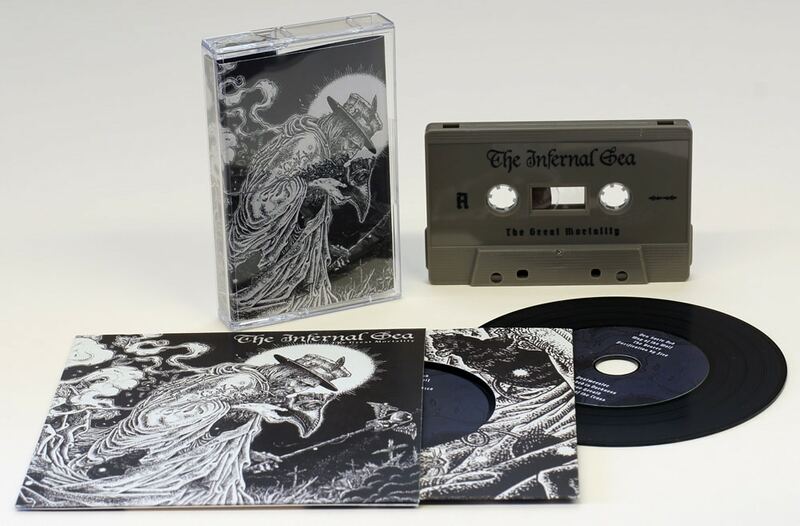 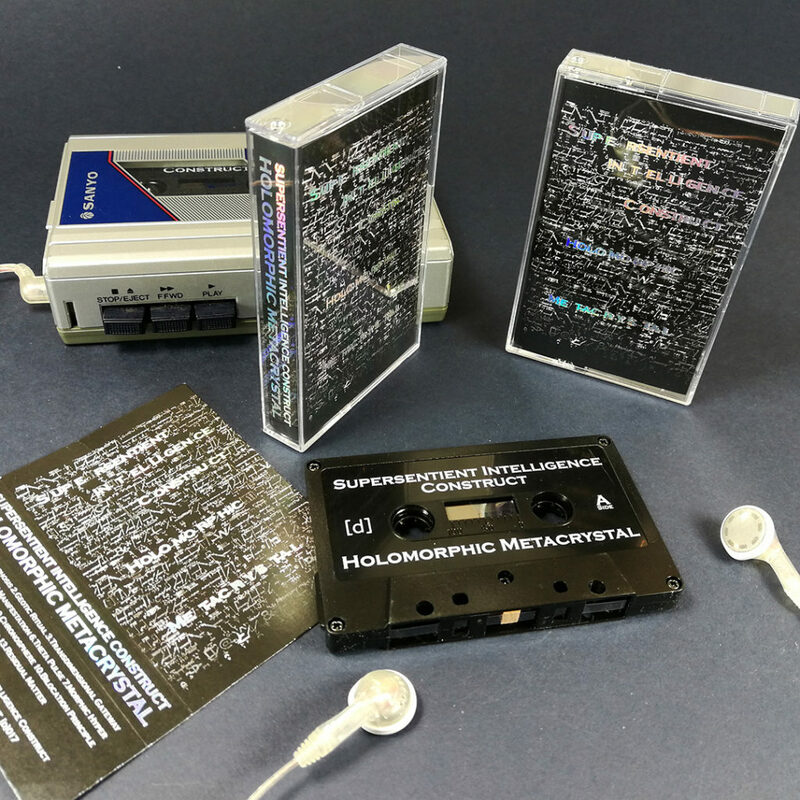 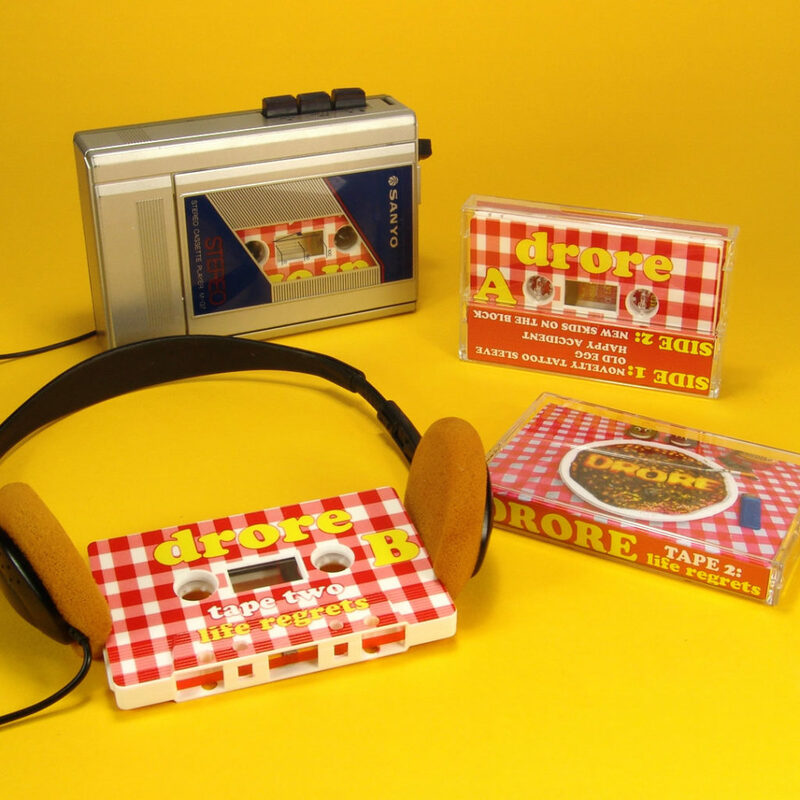 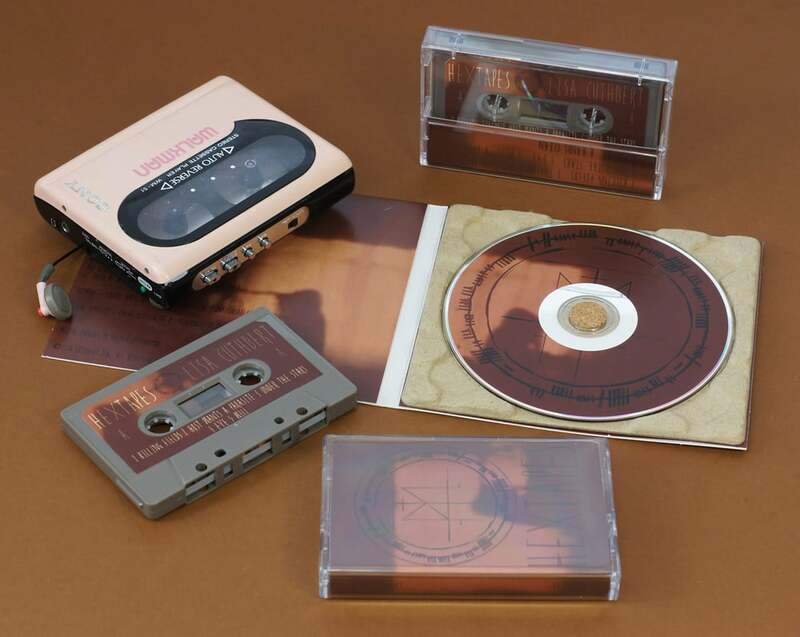 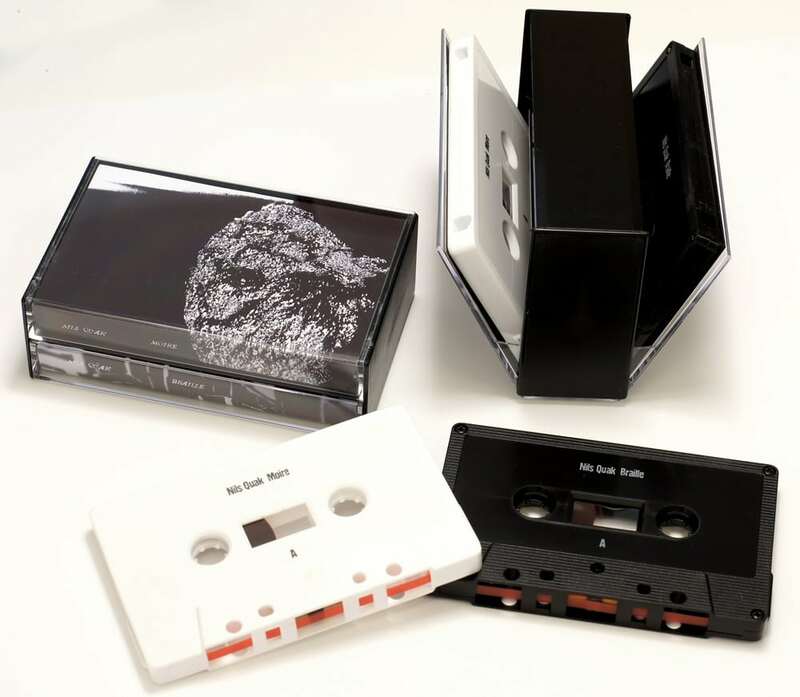 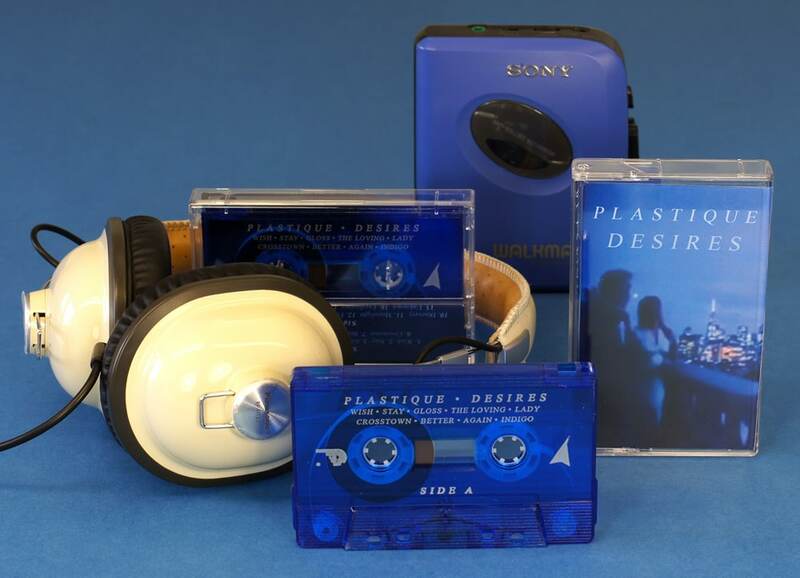 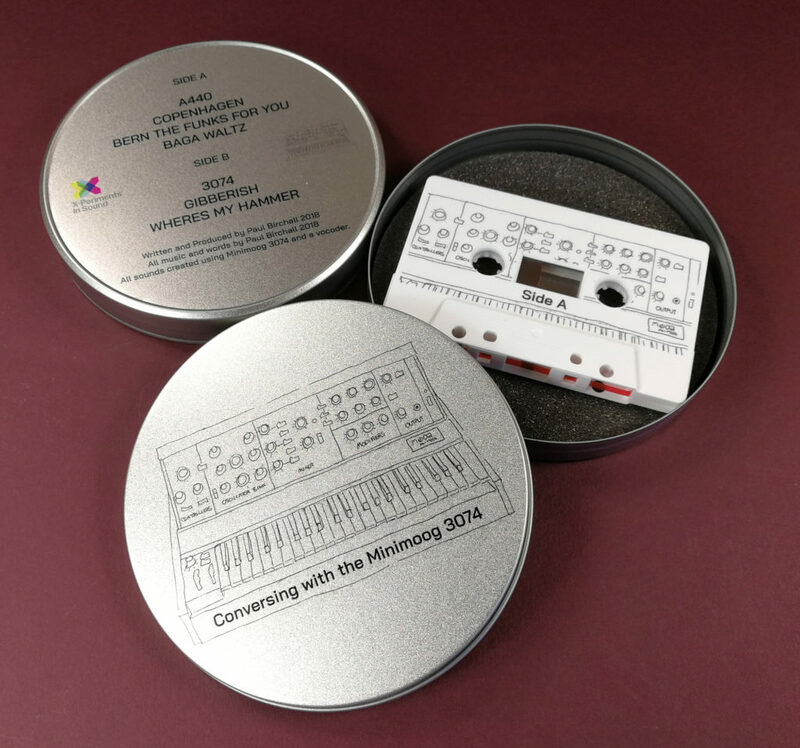 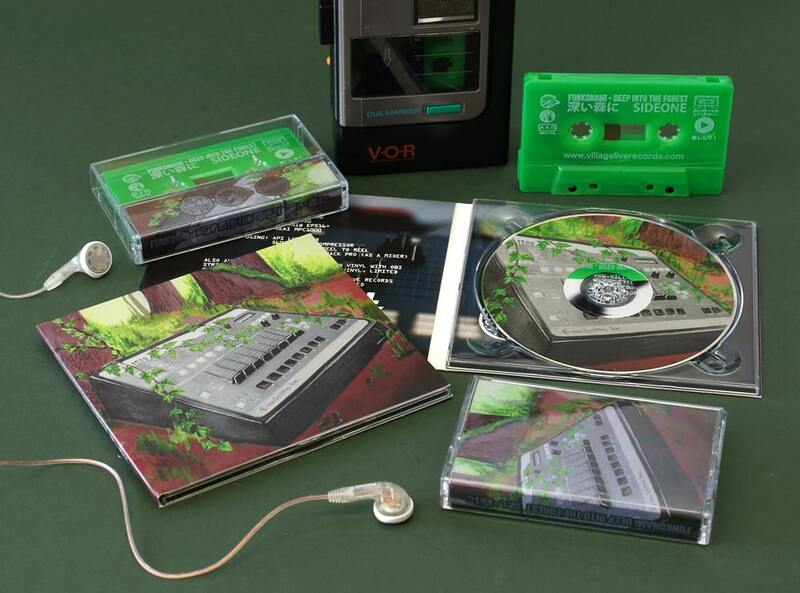 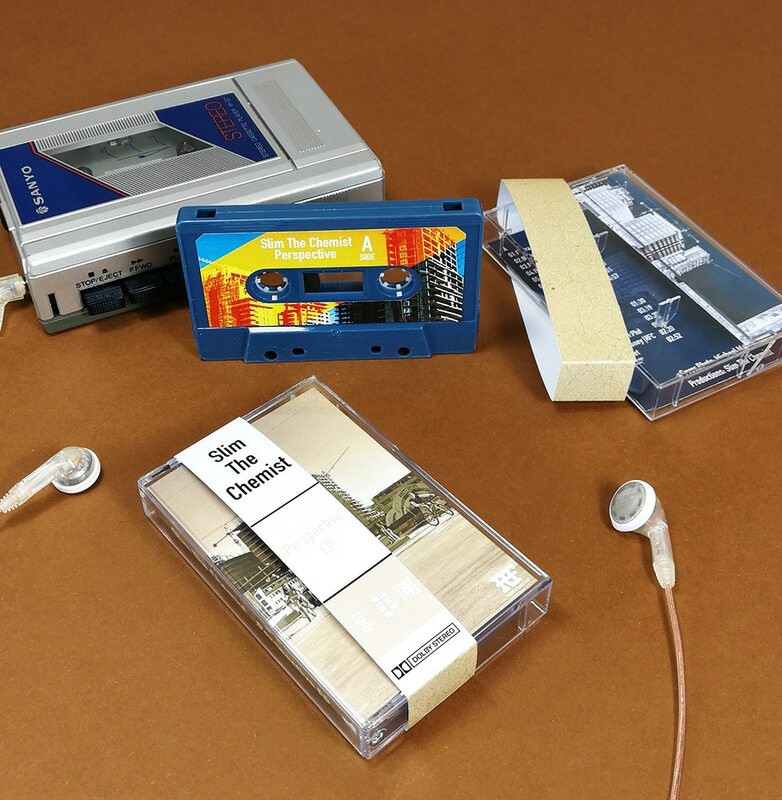 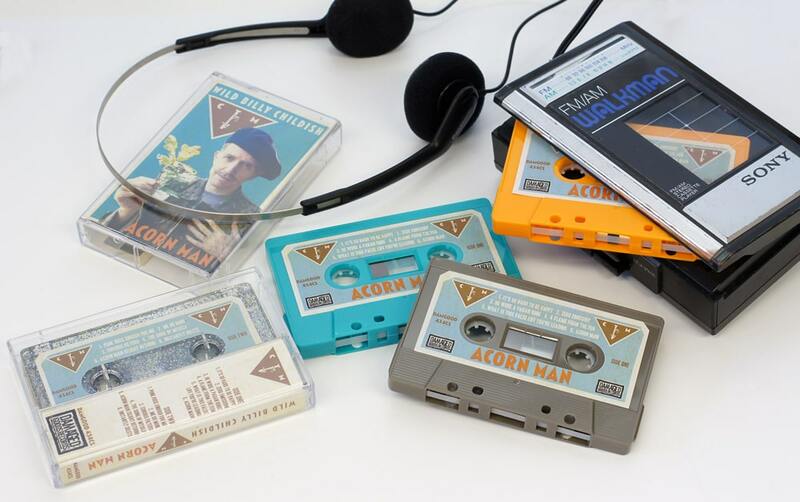 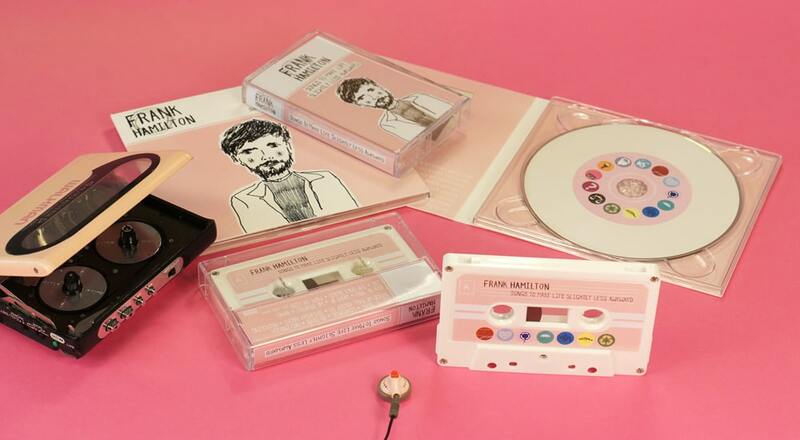 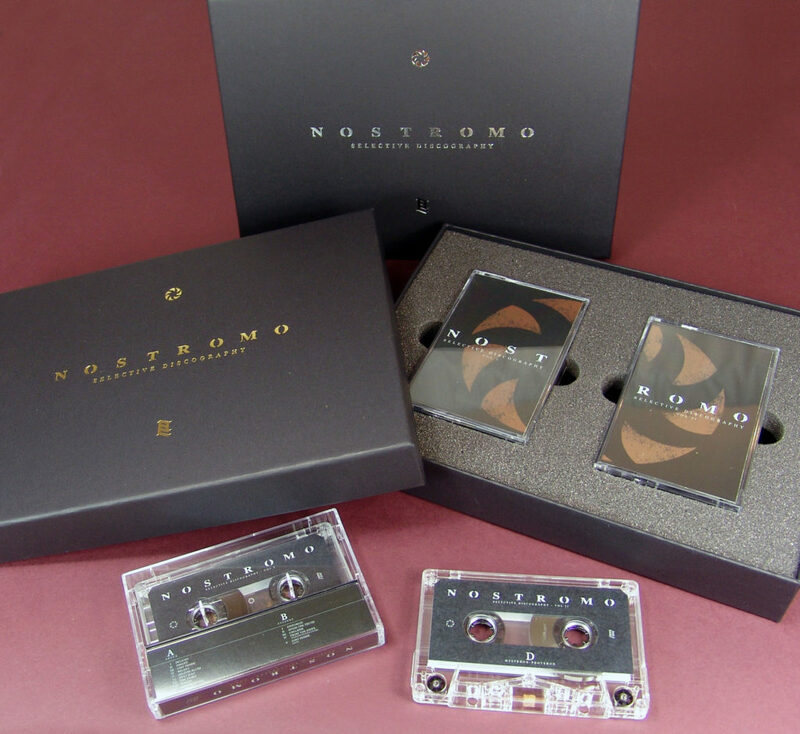 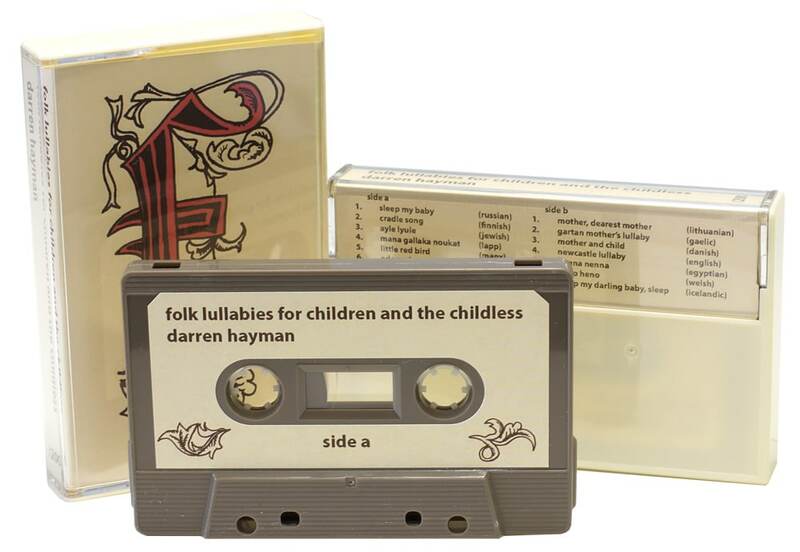 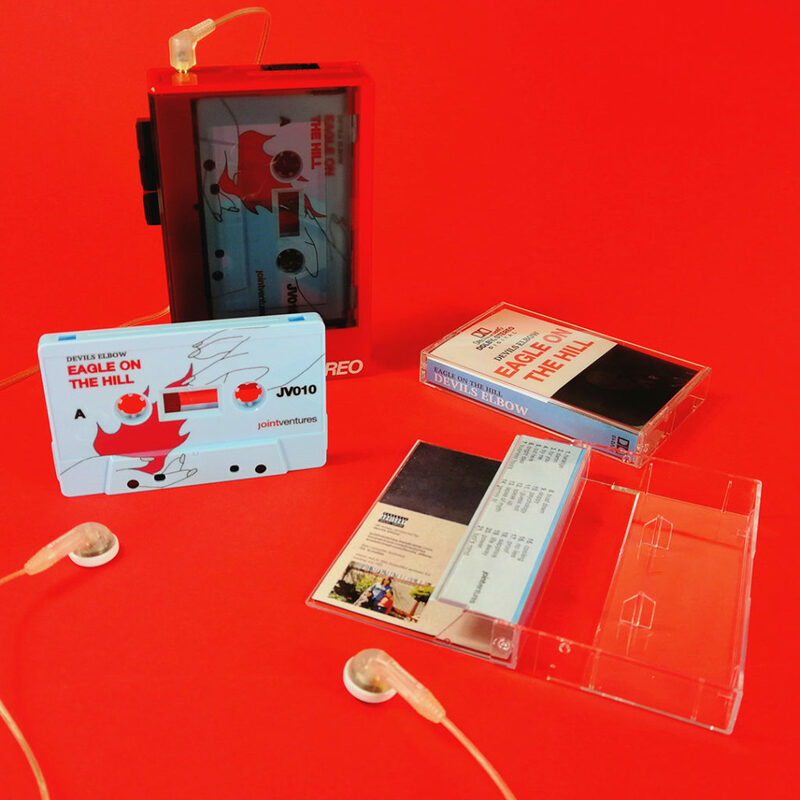 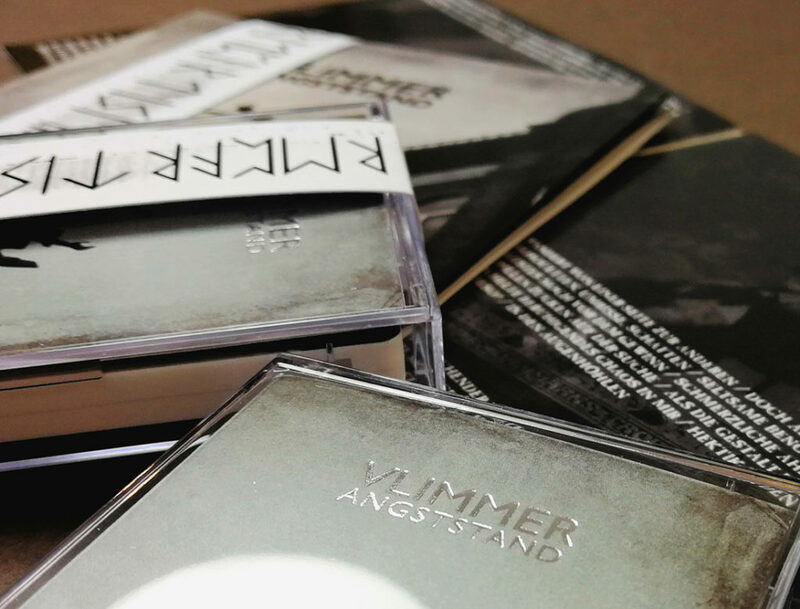 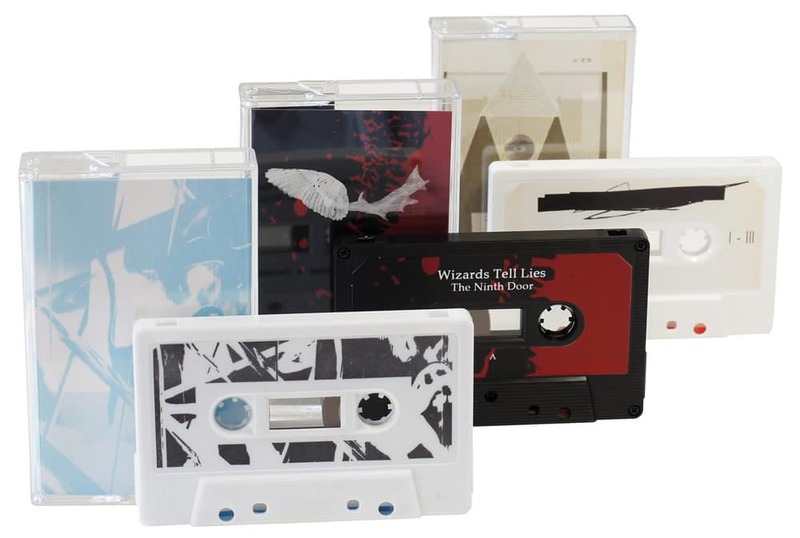 We can provide small runs of high quality cassettes in clear polycases with your own audio and artwork on for quantities of just 20 tapes or more. 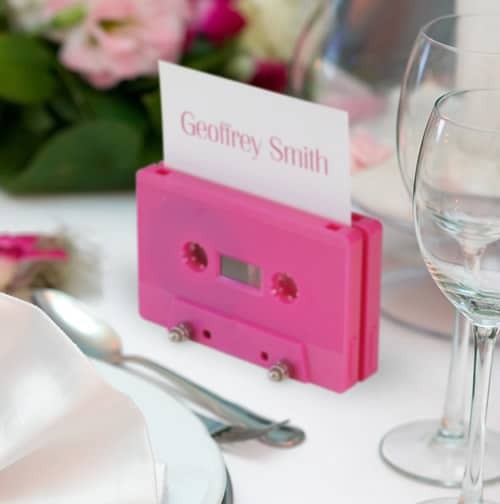 We have tape shells available in over 60 different styles or colours (just scroll down to view each one – they can also be mixed colours within a single order for no additional fee) and they are all priced the same. 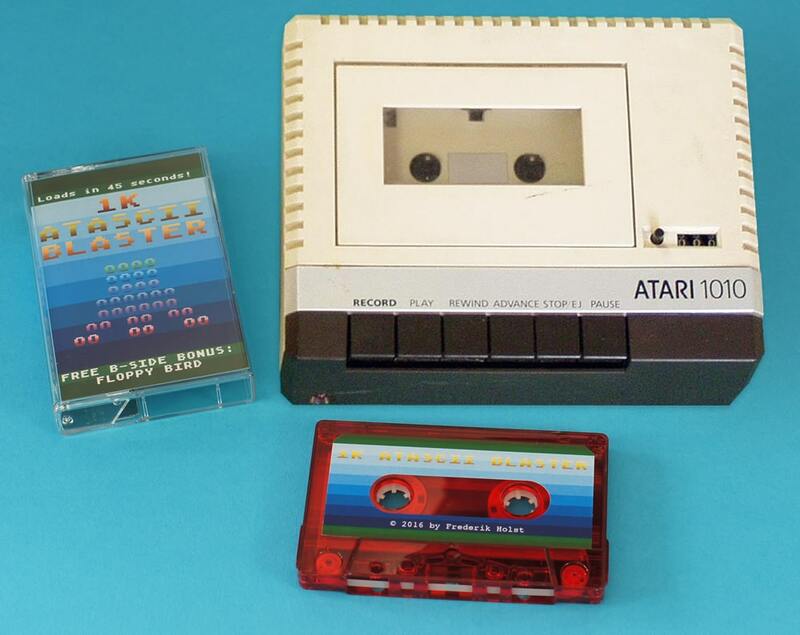 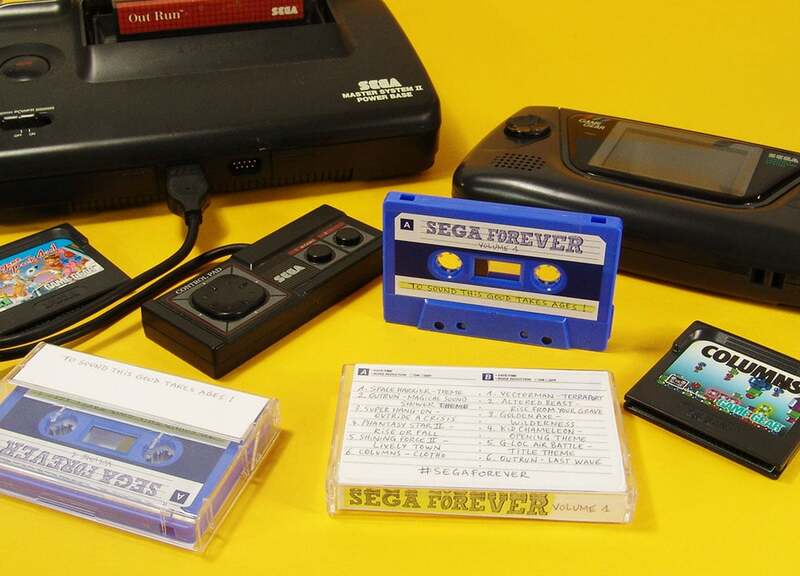 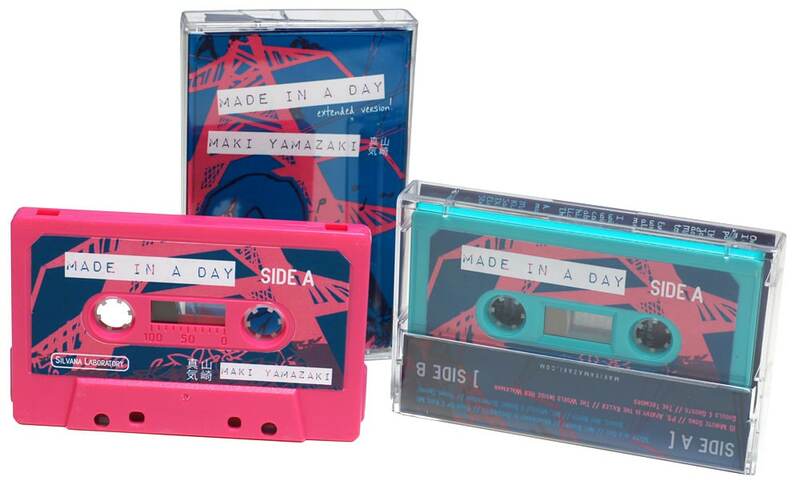 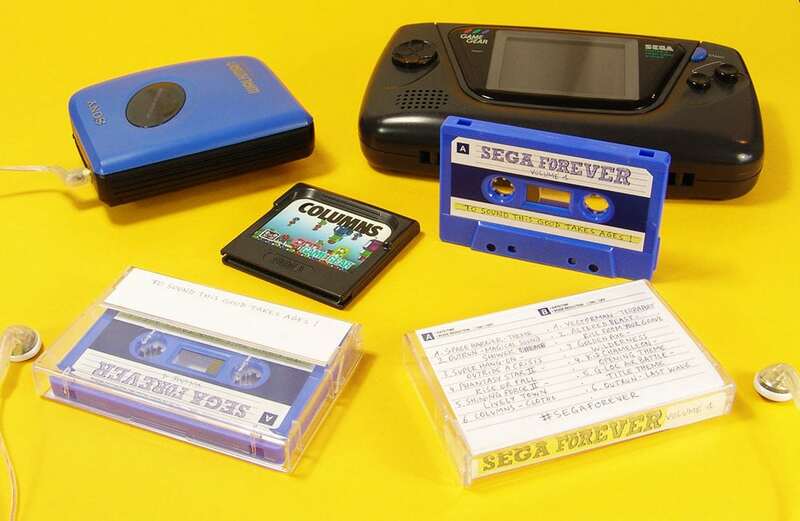 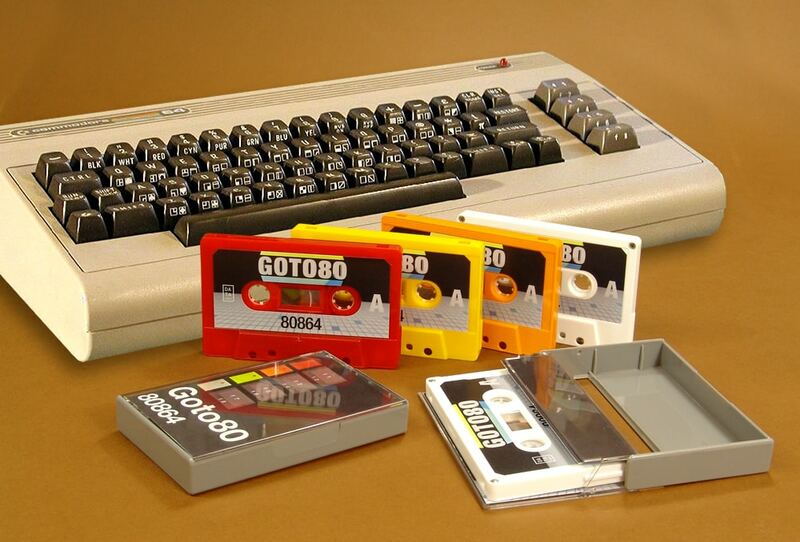 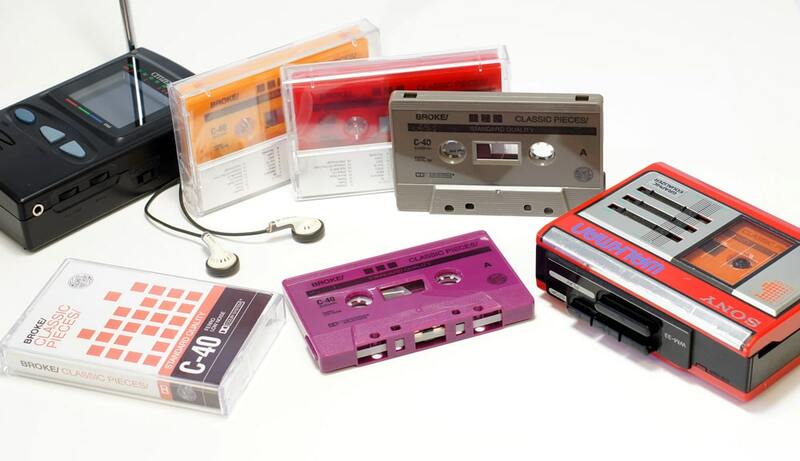 Over 60 different cassette tape colours available (see below), with play lengths up to 120 minutes. 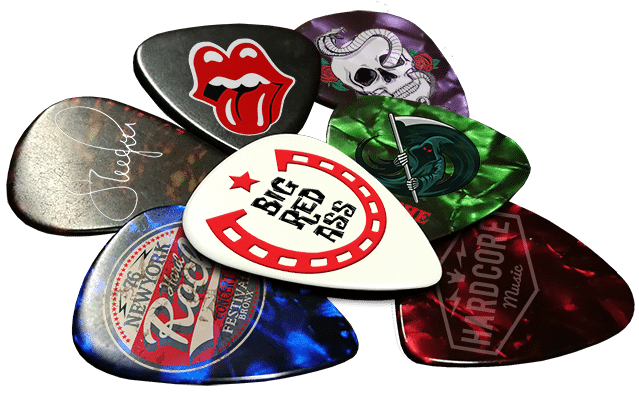 We have all the colours in the rainbow with over 60 different shell colours and one of the largest selections in the world. 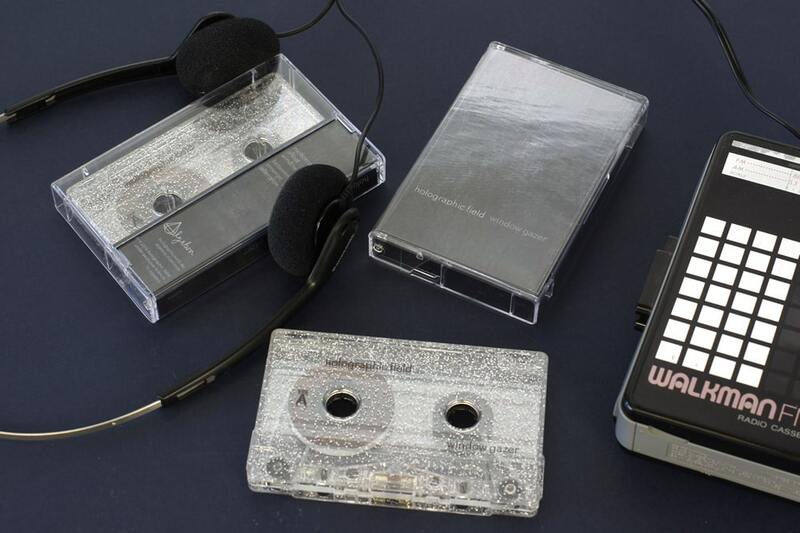 Please note that the exact tape shell style and shade can vary slightly depending on current stock and suppliers, if you have a very specific request then please contact us. 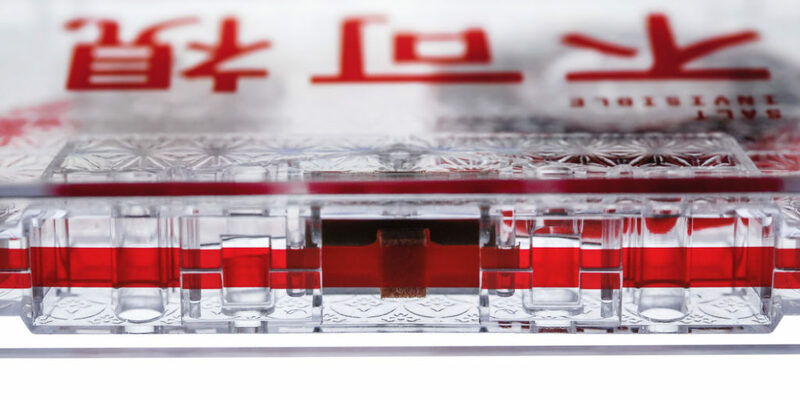 Further unit price reductions are available for larger quantities, please contact us with your requirements and we can quote. 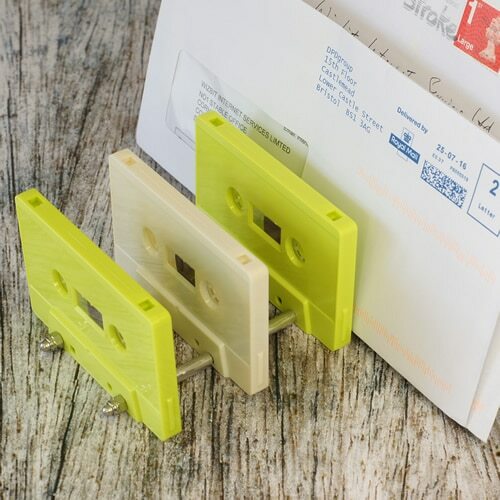 We can wind cassettes up to C120 (60 mins per side) but this requires a thinner tape that is now quite rare and would add £1.00+VAT per cassette. 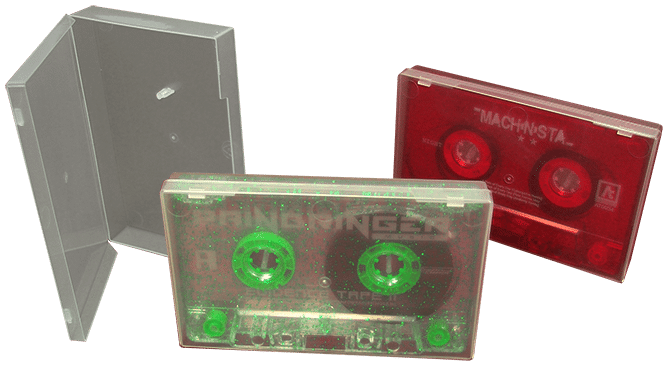 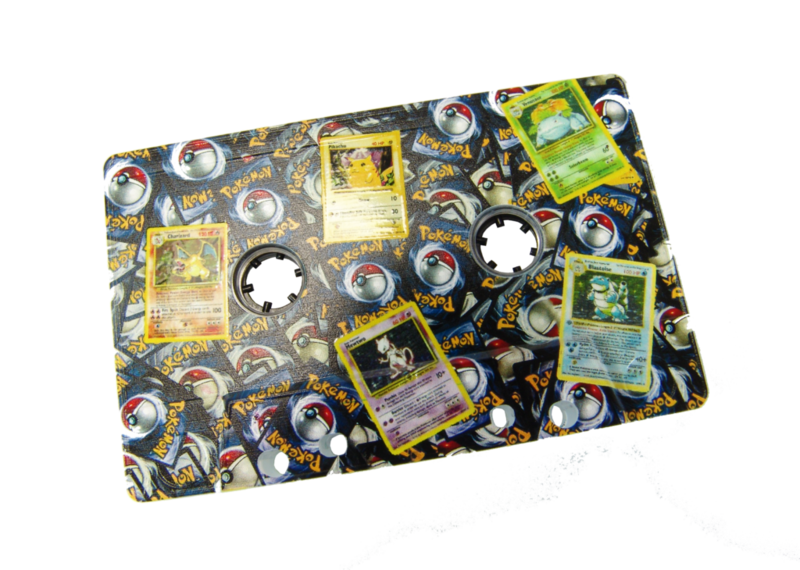 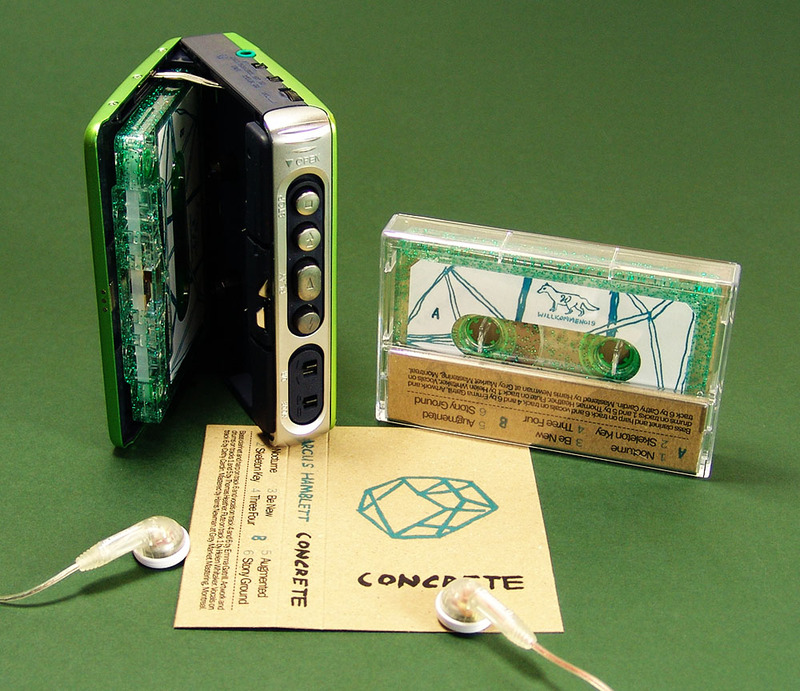 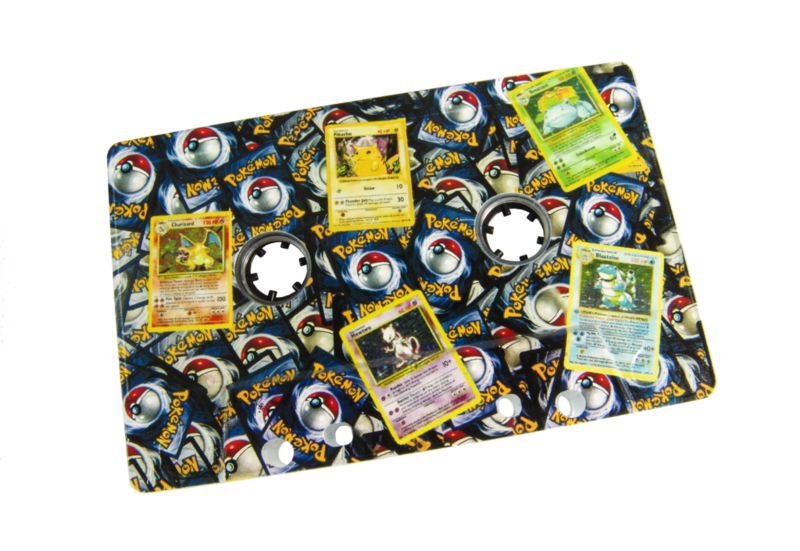 On-body cassette shell printing – new options! 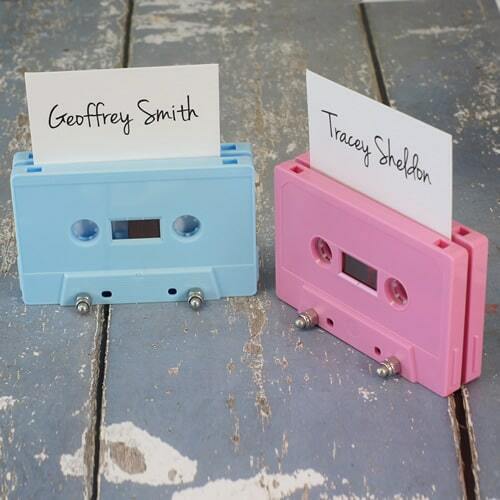 We can now offer full colour, white, black and even spot gloss on-body cassette printing with the same turnaround times as stickers and with the option of printing over the full surface of the cassette as shown in the example on the right. 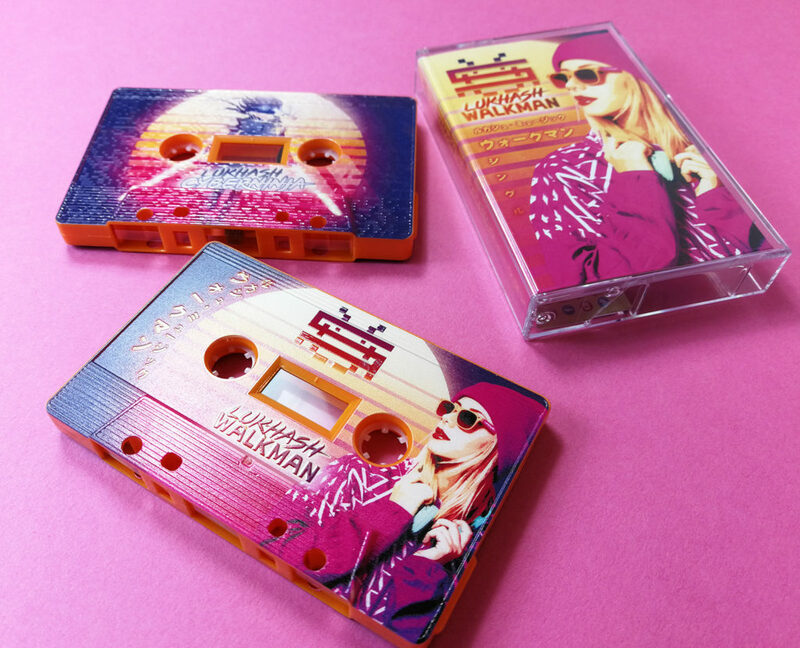 Our new in-house printer is a state-of-the-art UV LED printer that is very high resolution and prints incredibly hard and durable inks directly onto the tapes in vibrant colours.  There is a small additional fee for the on-body printing, but it is now priced per tape (rather than a fixed setup cost for printing plates), making it more economic for shorter production runs. 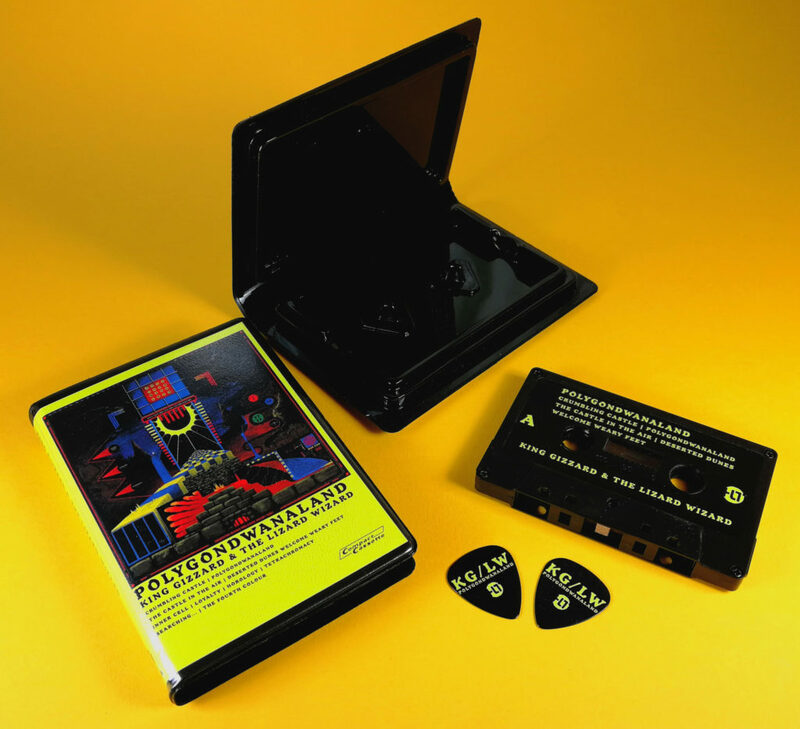 Produced for Frederik Holst and called '1K ATASCII Blaster' which fits all of the game data within 1kB! 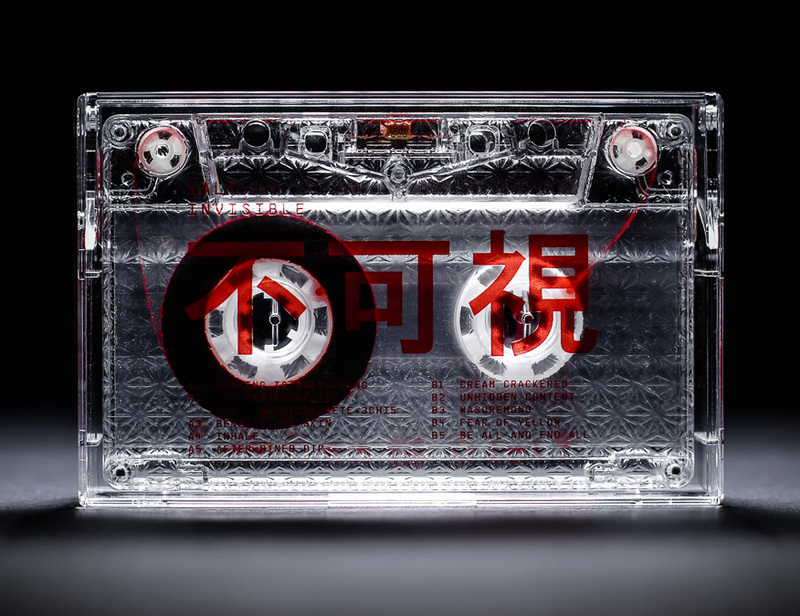 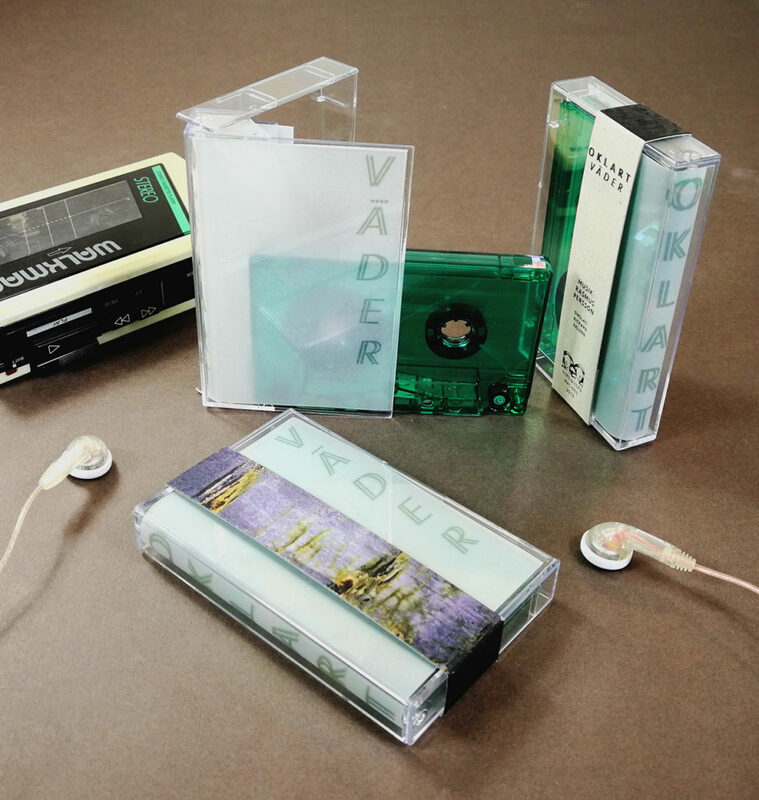 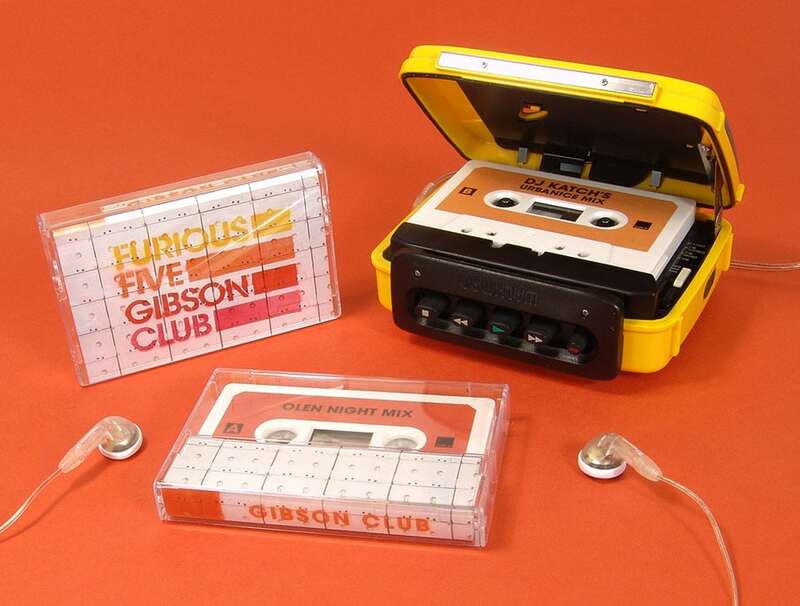 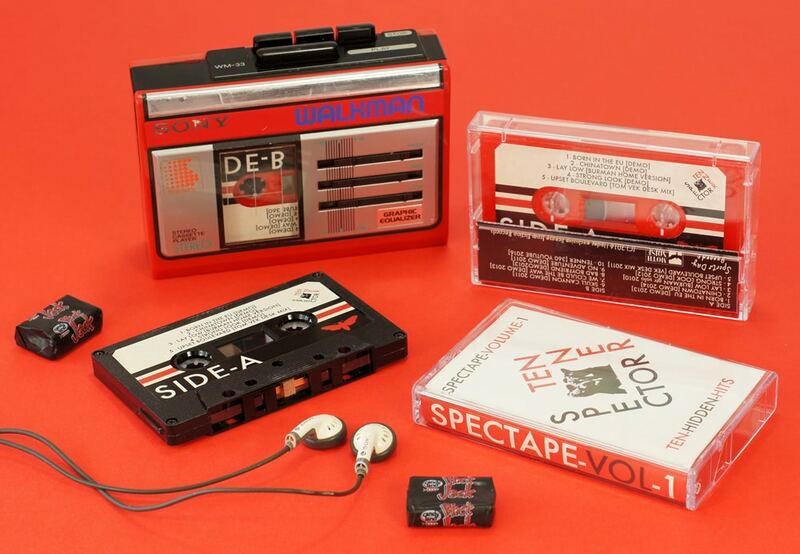 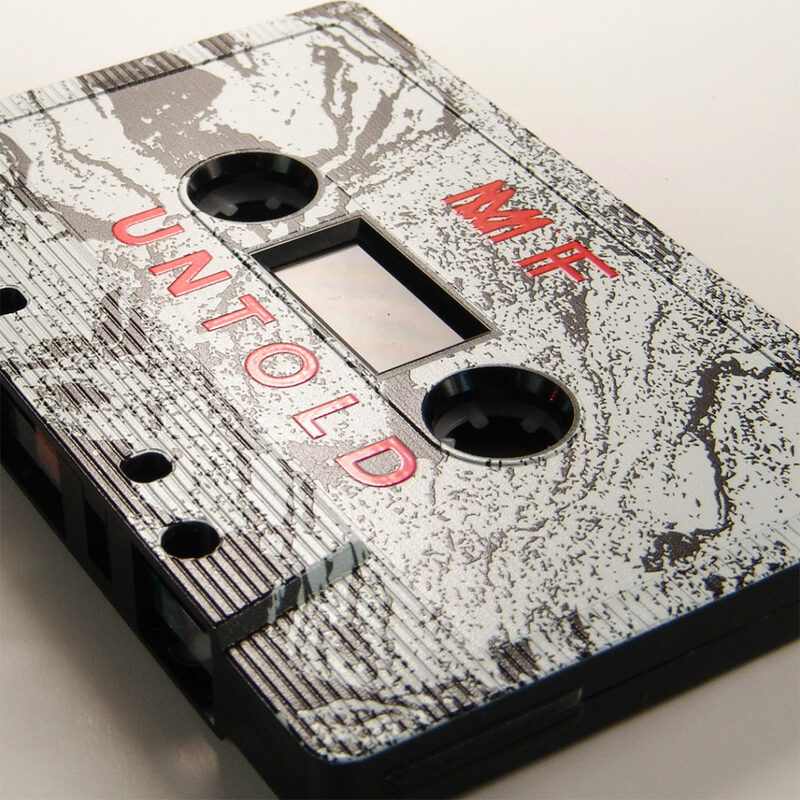 Clear cassette tapes with a full coverage UV-LED print over the entire surface - even the front window! 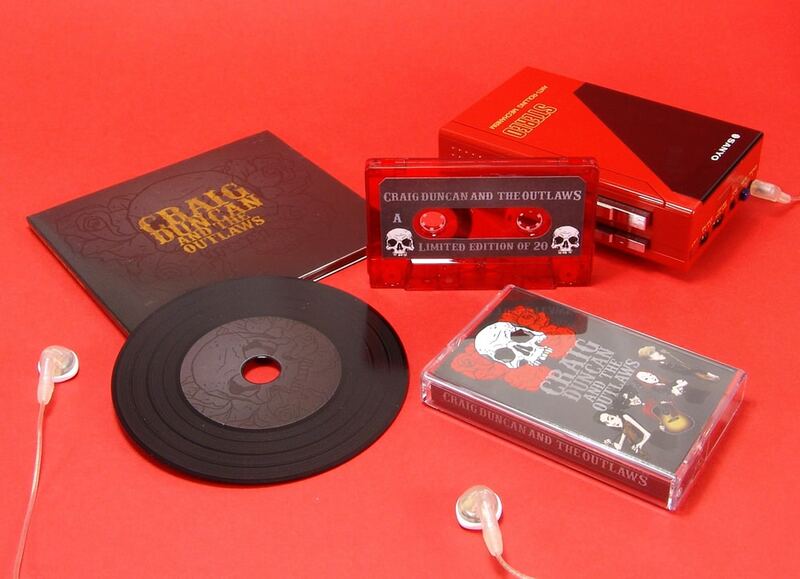 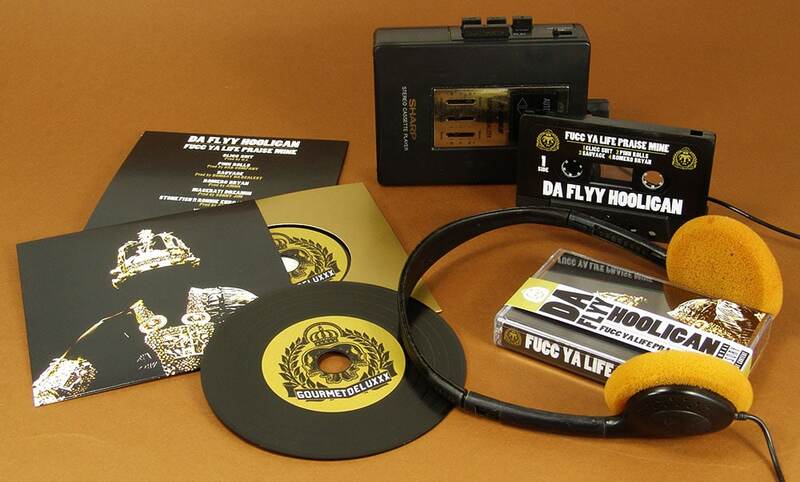 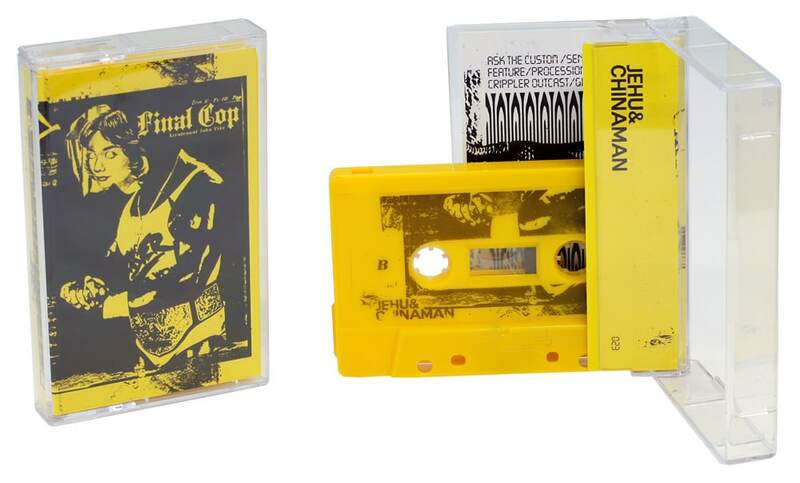 Produced for Big Ghost LTD and the instrumental release of the Ghostface Killah "The Lost Tapes" album. 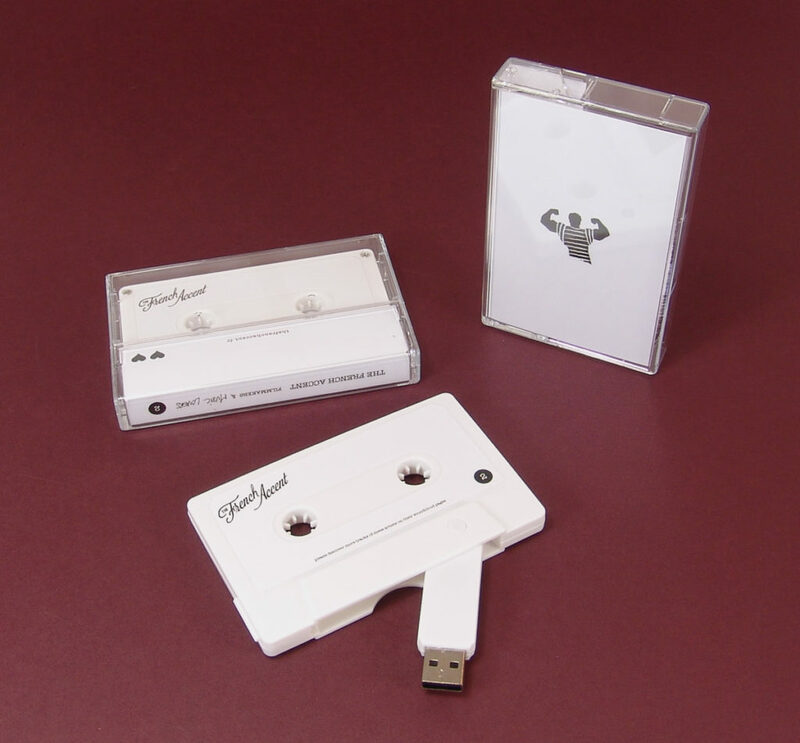 Released on the GourmetDeluxxx label. 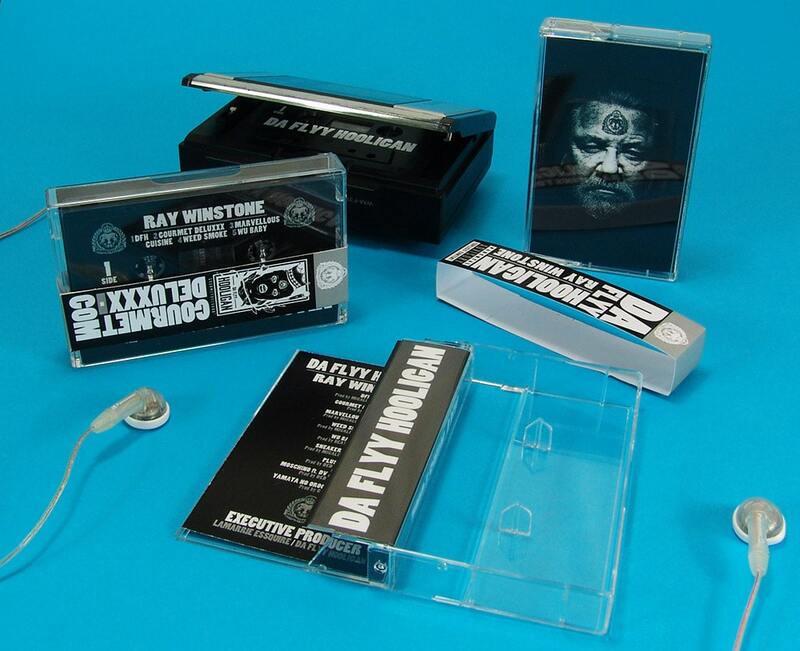 Produced for Da Flyy Hooligan and his 'Ray Winstone' release. 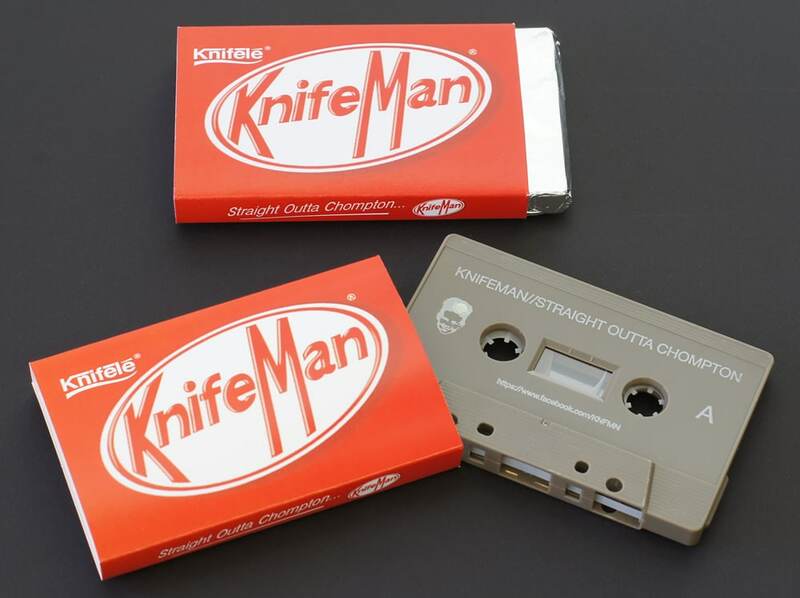 Cocoa brown cassette tapes in printed O-cards that the customer then wrapped in foil to look just like a KitKat! 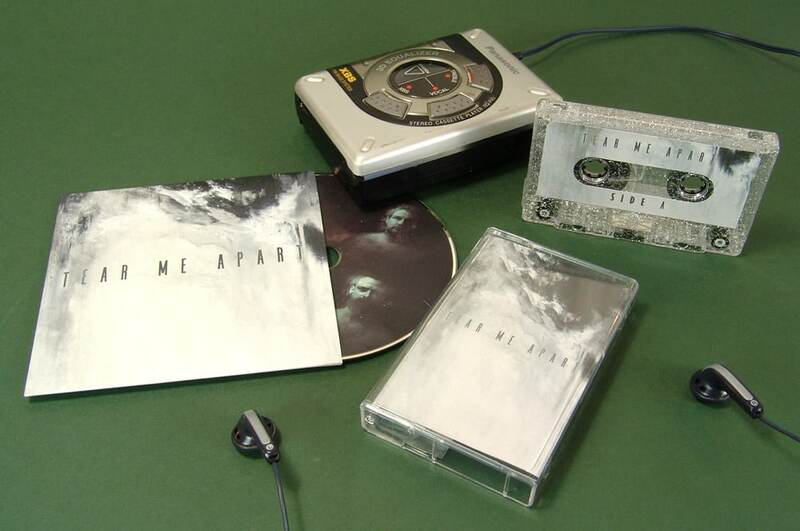 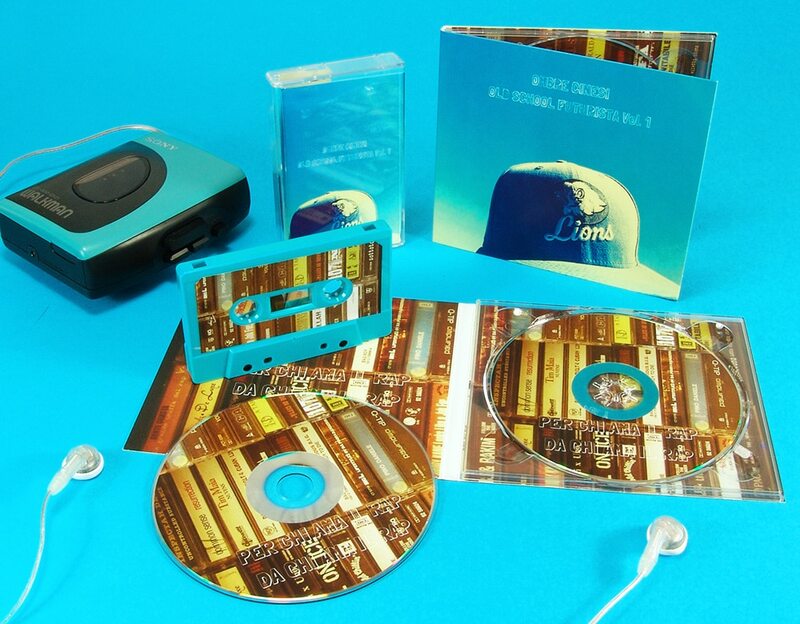 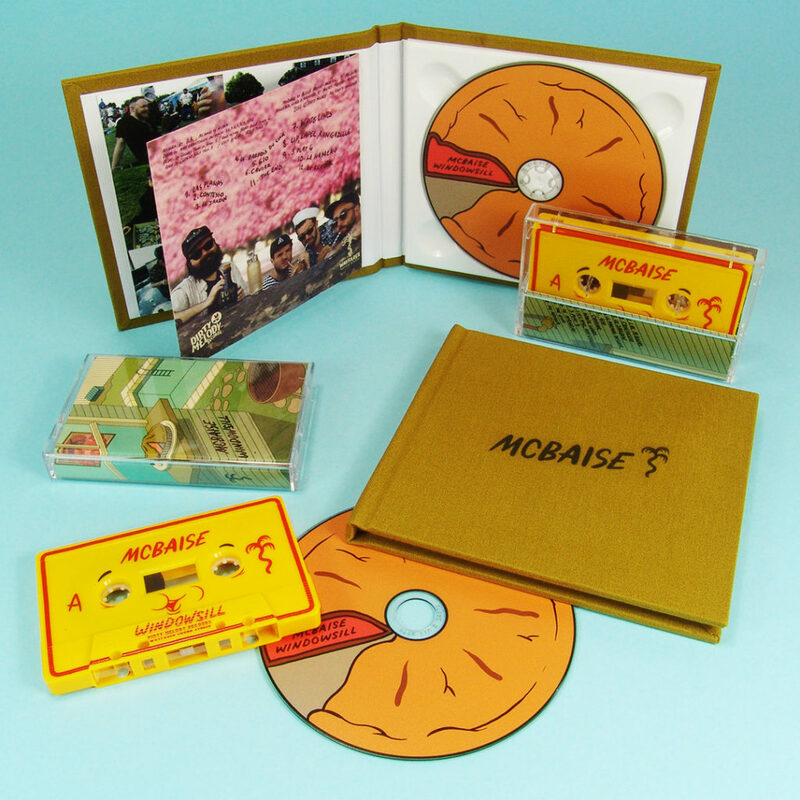 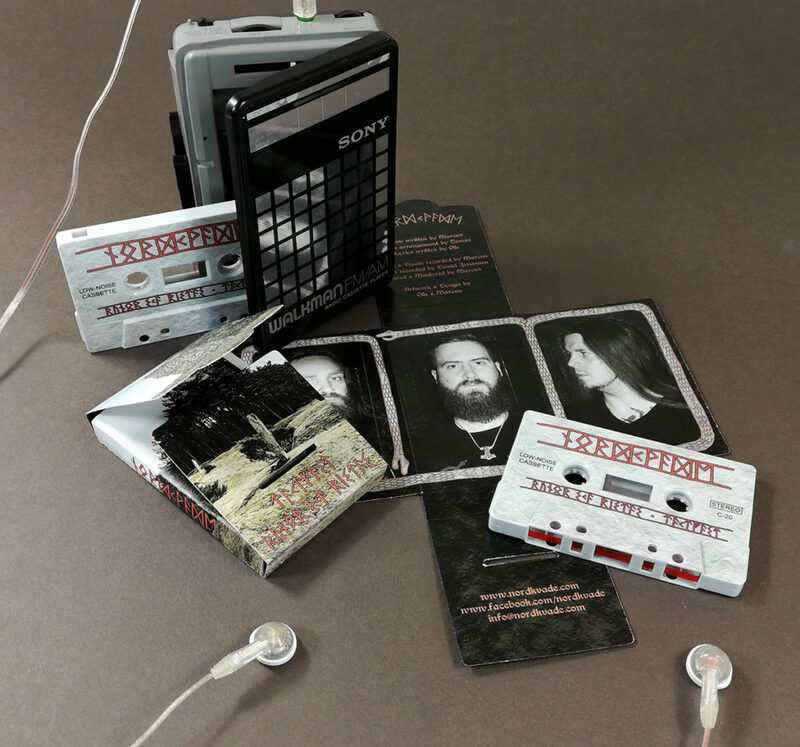 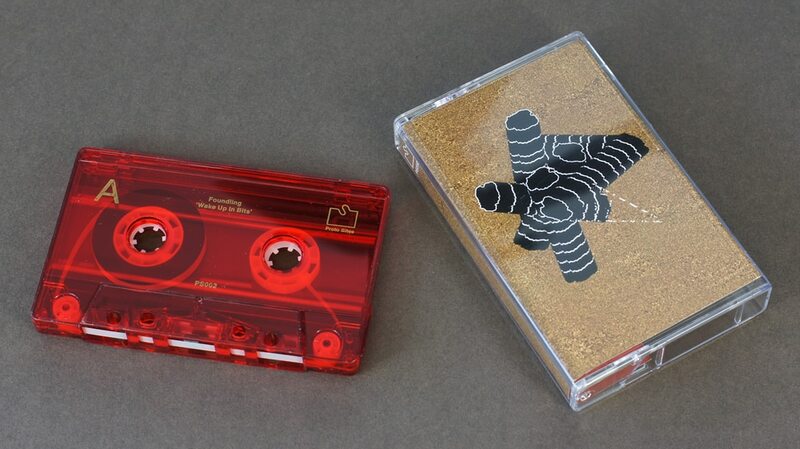 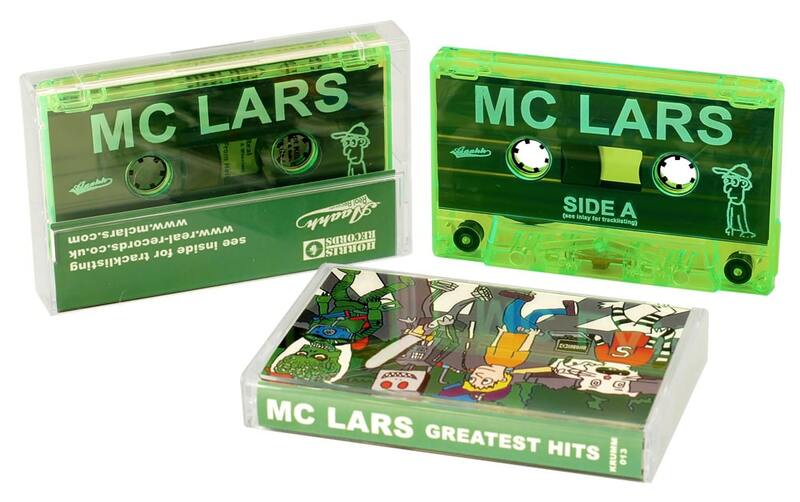 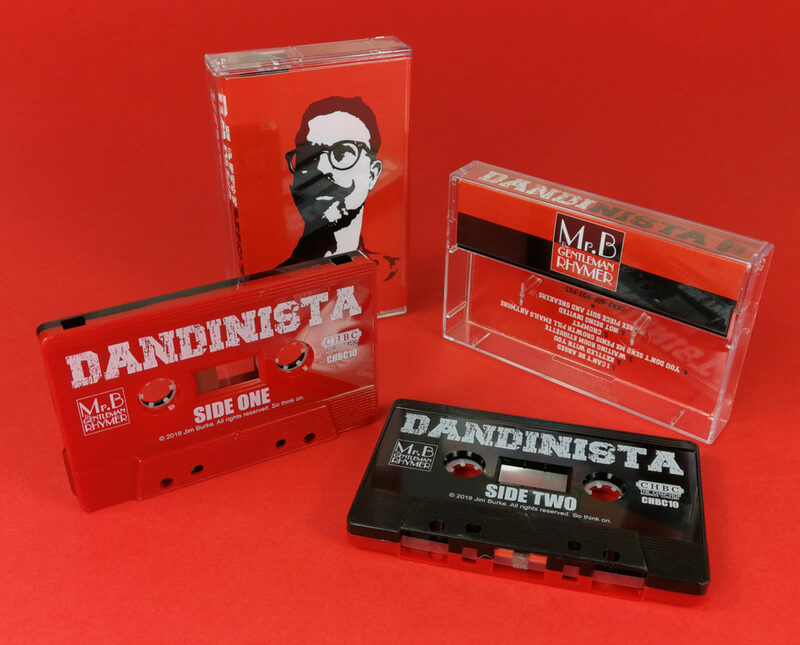 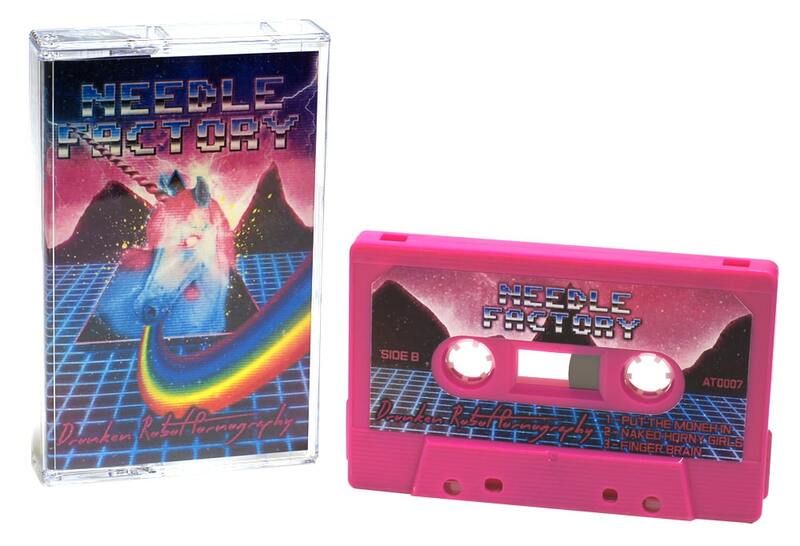 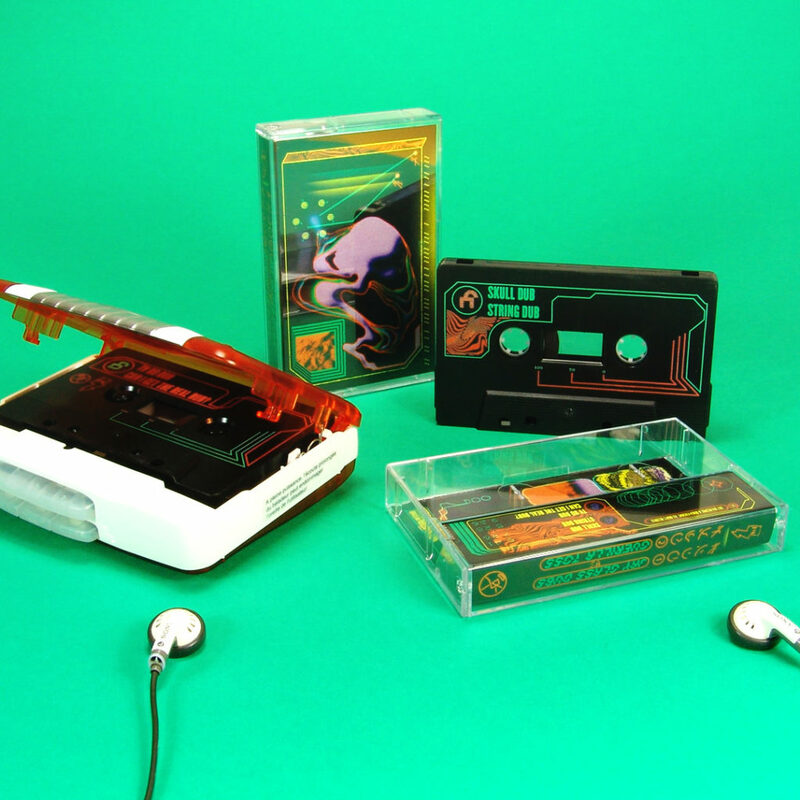 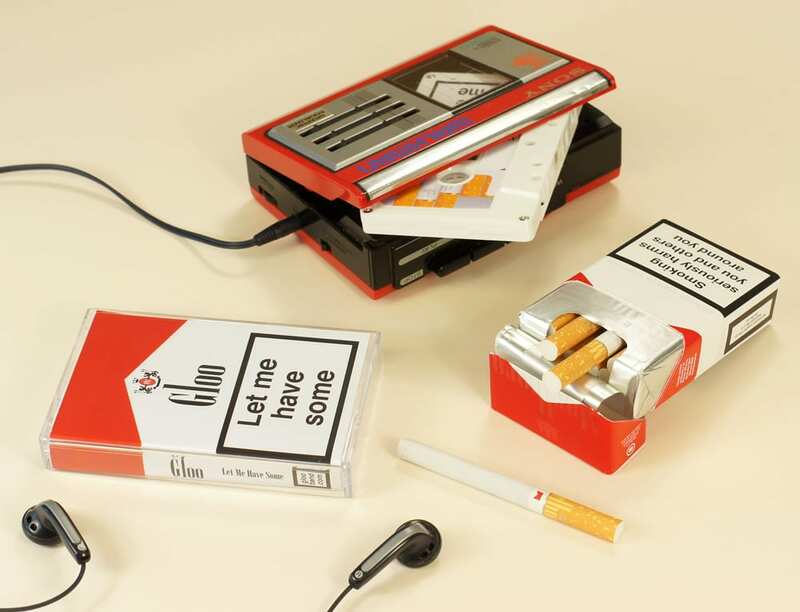 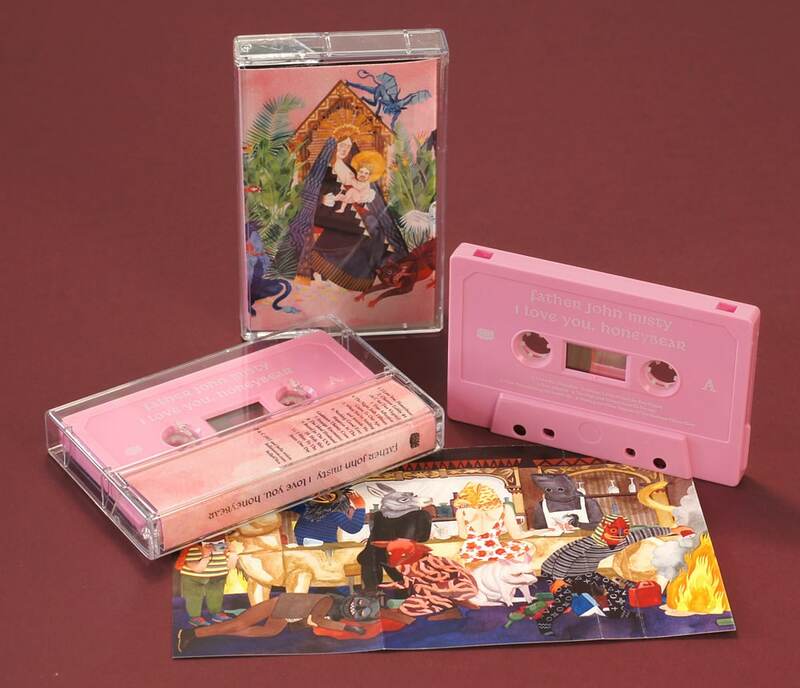 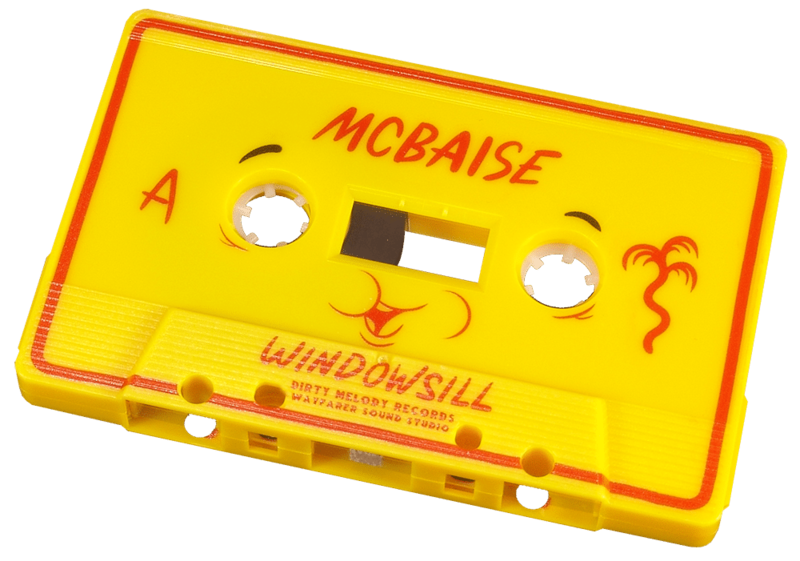 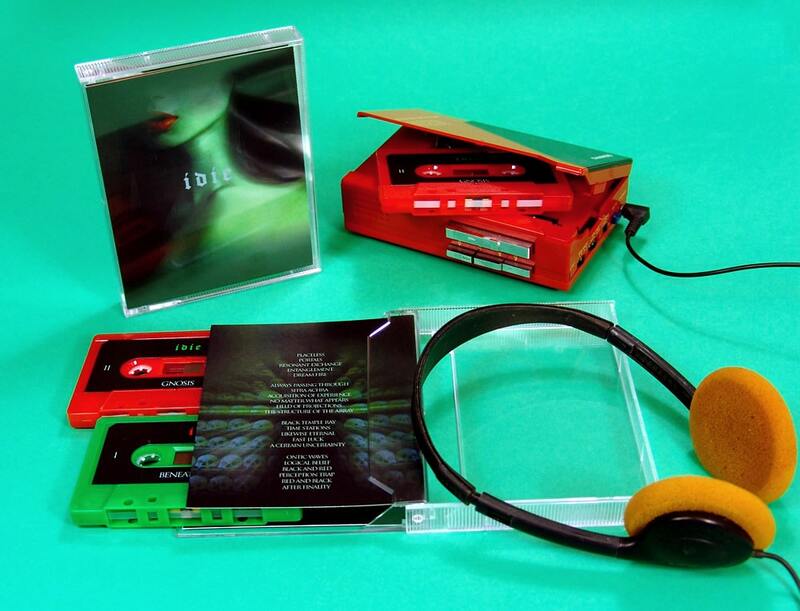 Produced for Mcbaise and their 'WINDOWSILL' album release on cassette, CD and vinyl. 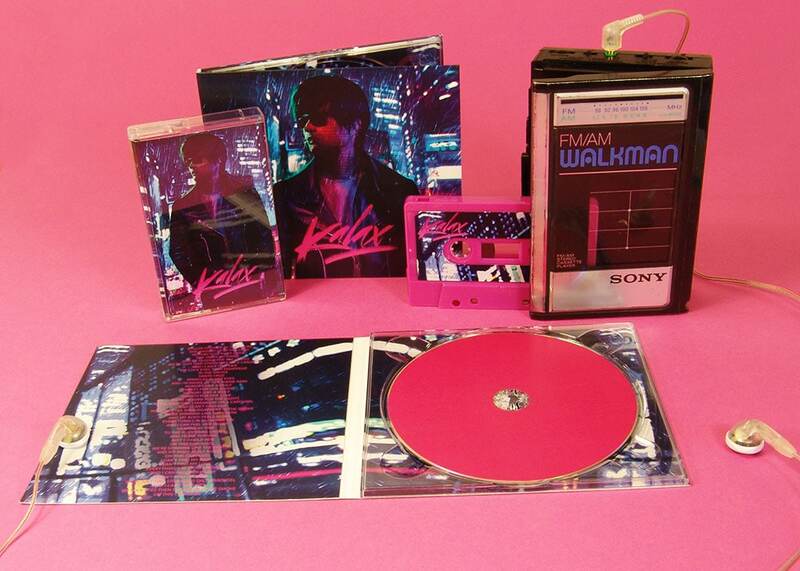 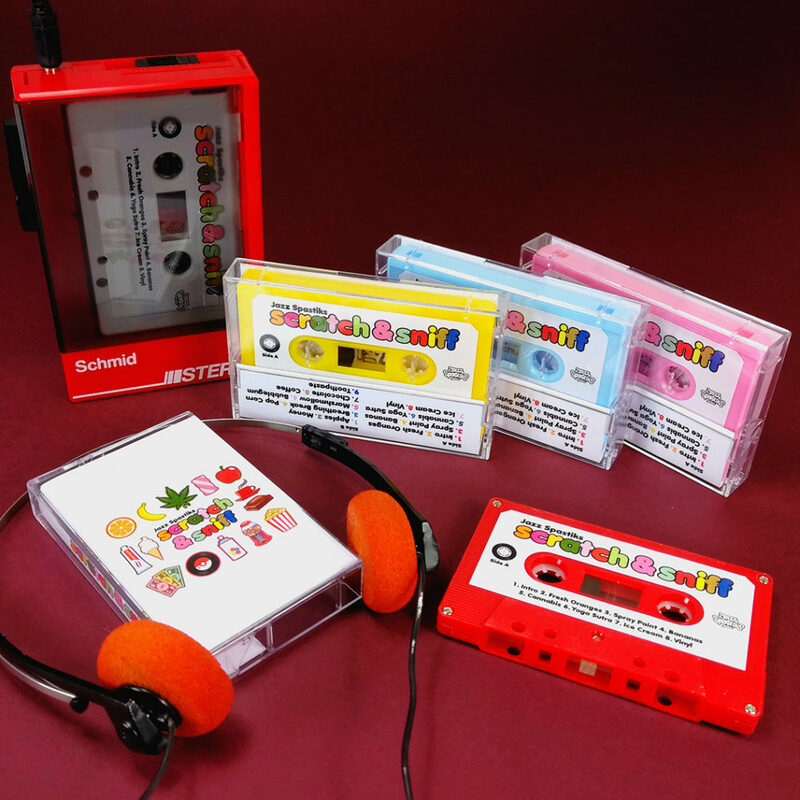 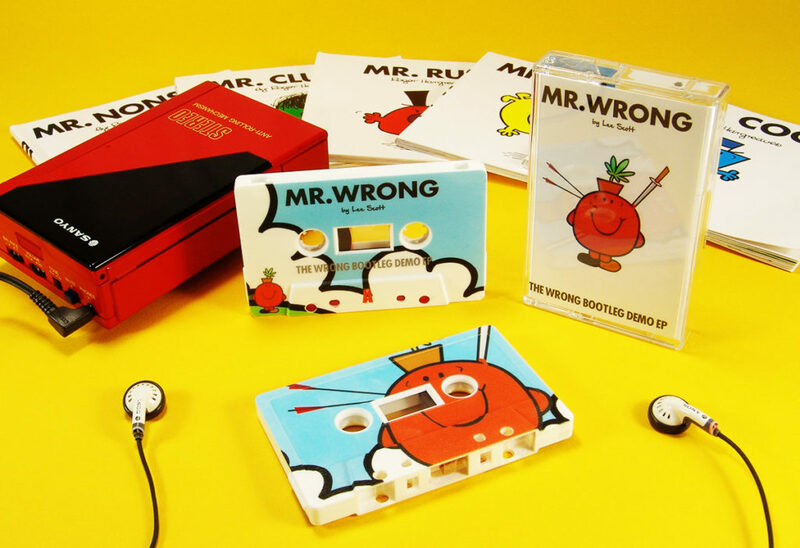 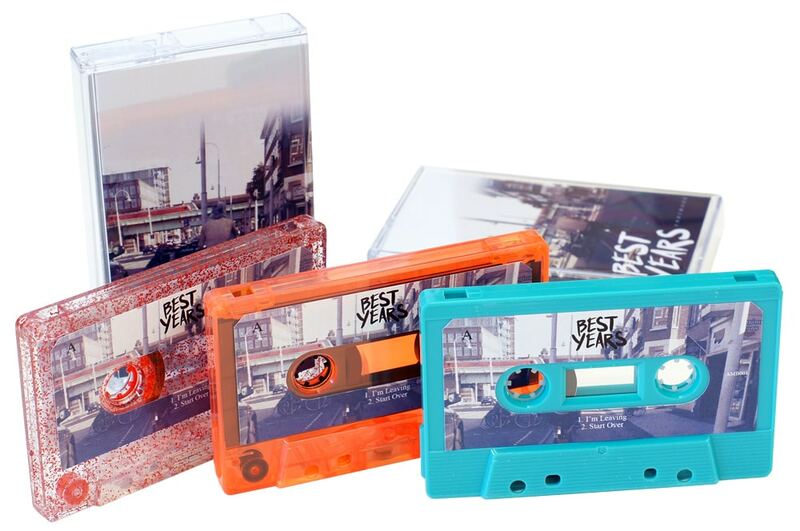 Colourful cassettes with book containing a unique scratch & sniff scent for each track! 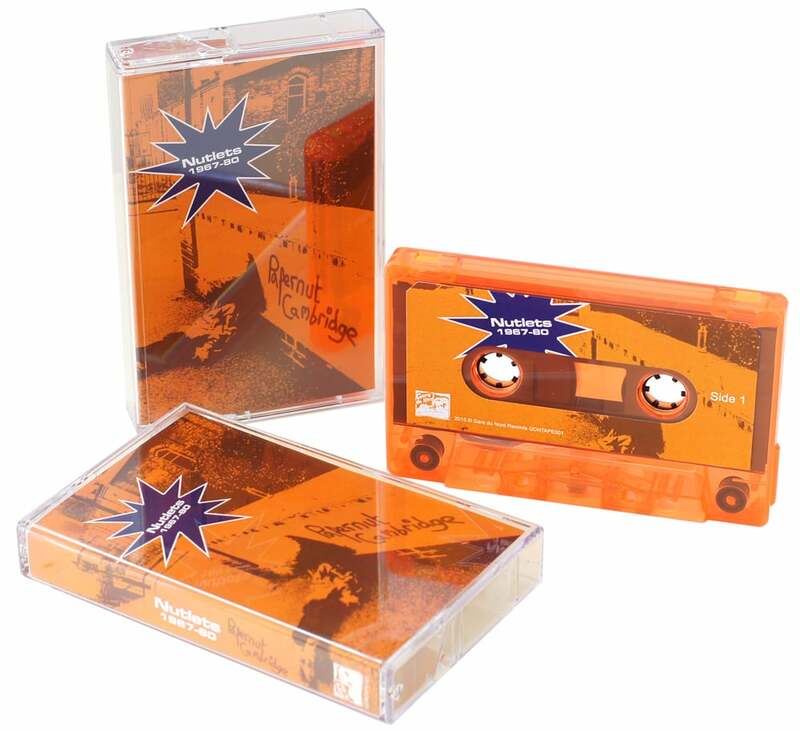 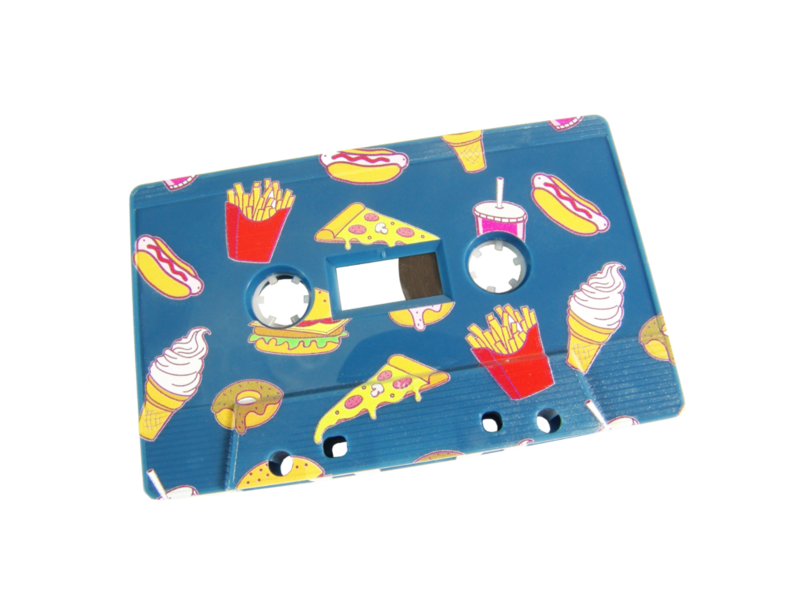 If you would like your cassettes in a clear wrap for a glossy protective finish that is ideal for retail environments or presentation purposes then please add £0.10+VAT per tape for a shrink wrap. 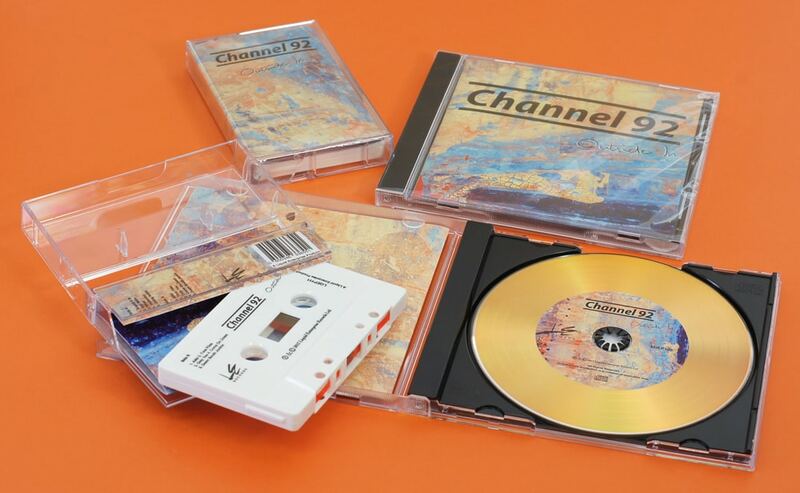 The yellow areas show the artwork area to be printed. 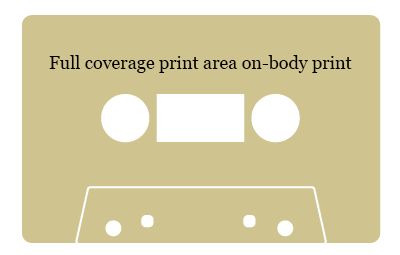 Please select between standard printing or full coverage printing when downloading a template (the prices vary depending on coverage, please see our on-body printing pricing table). 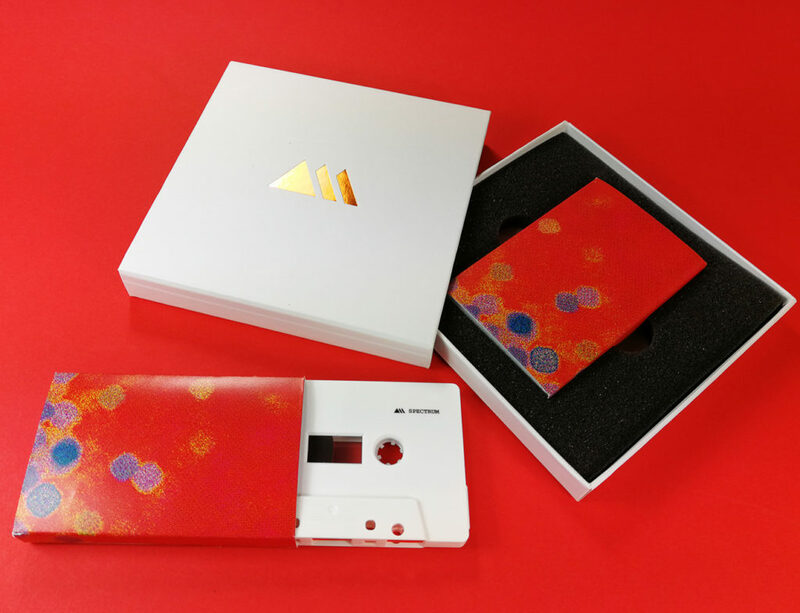 Generally if printing on anything other than white, cream or grey tapes, we will add a white base layer beneath colours so that the colours come out accurately and are not affected by the shade of the tape shell behind. 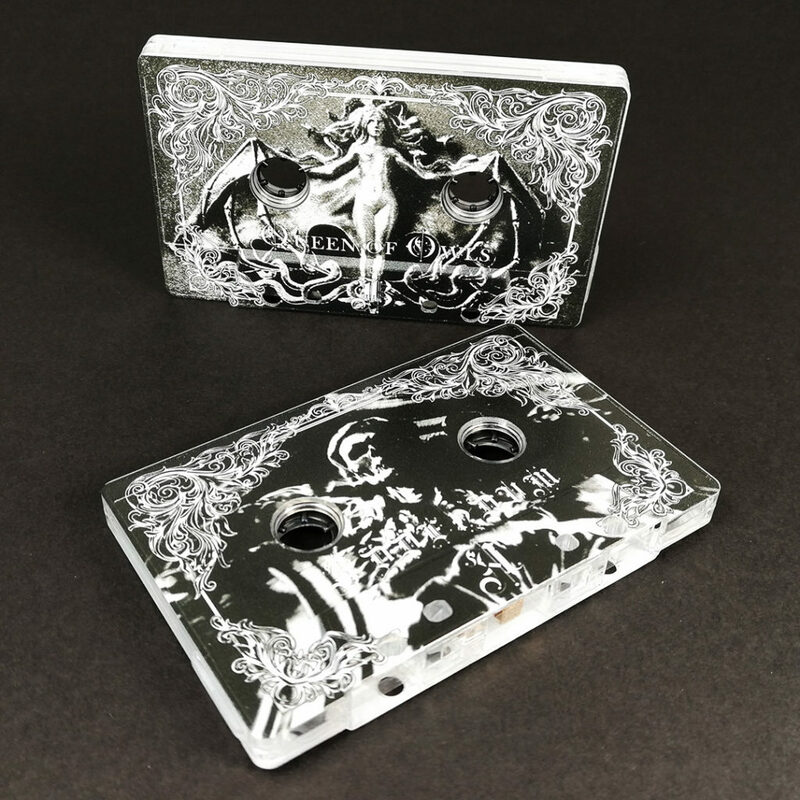 If you would only like a partial white layer or would only like your artwork to be printed in white then please supply a separate copy of the artwork for the white layer only (with white print in the file name so that we can easily identify it as being a white print), with the white area to be printed using a solid black colour (essentially white colours are never printed in artwork and for us to print a white base layer we load up a specific file with the black in the file representing the white layer to print). 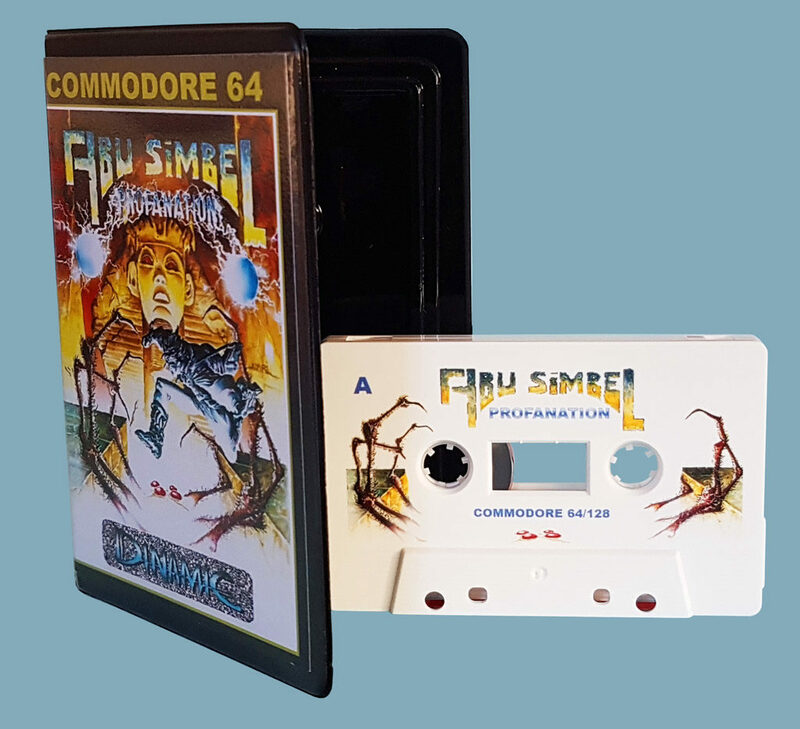 The same is true if you would like a spot gloss layer applied, please supply another copy of the file with gloss print in the file name with the black area showing where the gloss should be printed. 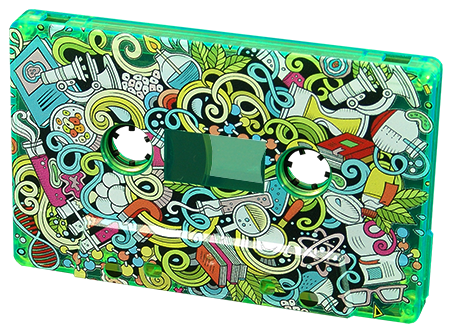 This may mean that if some areas are just printed white, some areas are full colour and some bits have a spot gloss then you would need to supply three different artwork files per side, one for the white, one for the colour and black areas and one for the gloss areas. 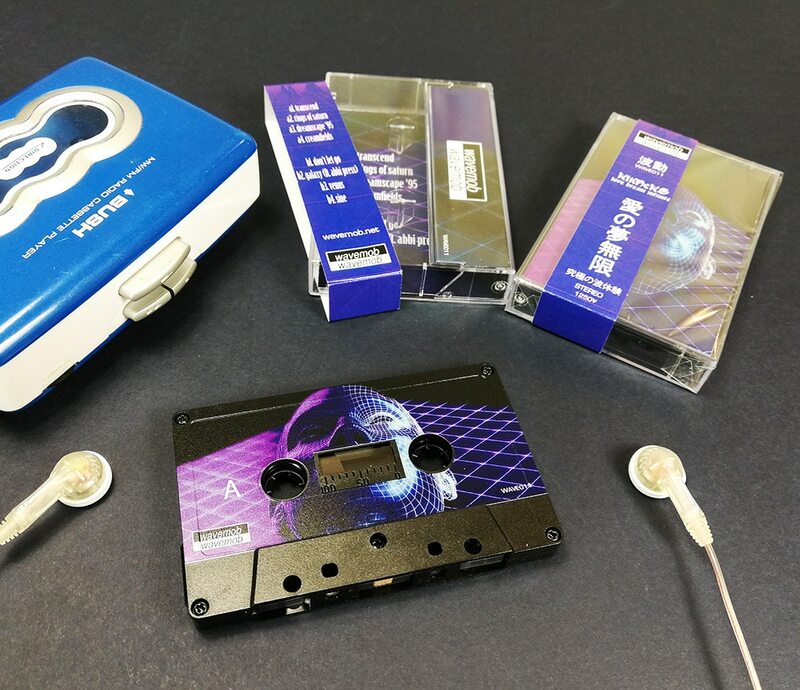 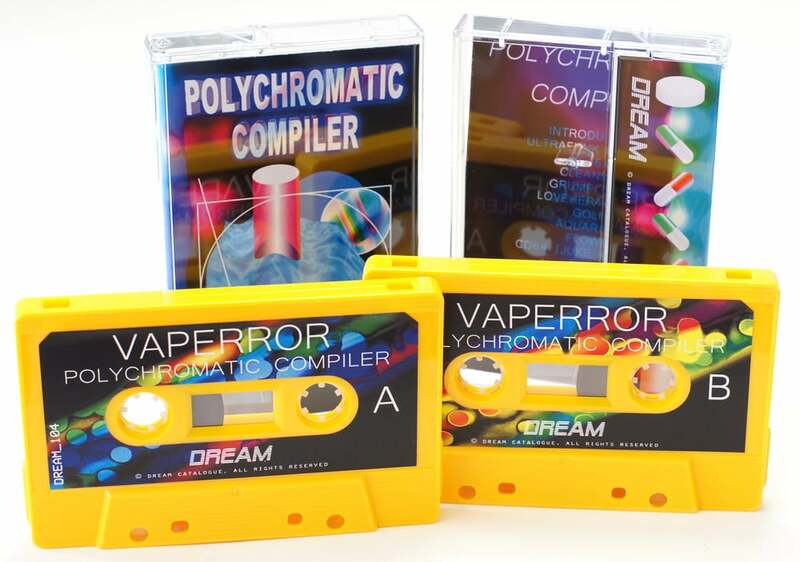 Unfortunately we are currently unable to wind tapes with higher quality chrome 'Type II' tape as the world has basically run out of it and it hasn't been produced for many years. 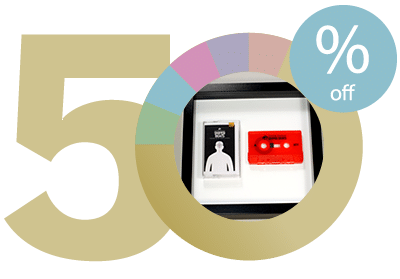 We ran out of stock in early 2019. 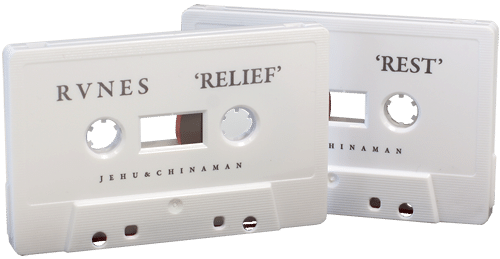 Our current tapes are however being wound with a higher quality and thicker 'super ferric' tape that is close to chrome in terms of quality. 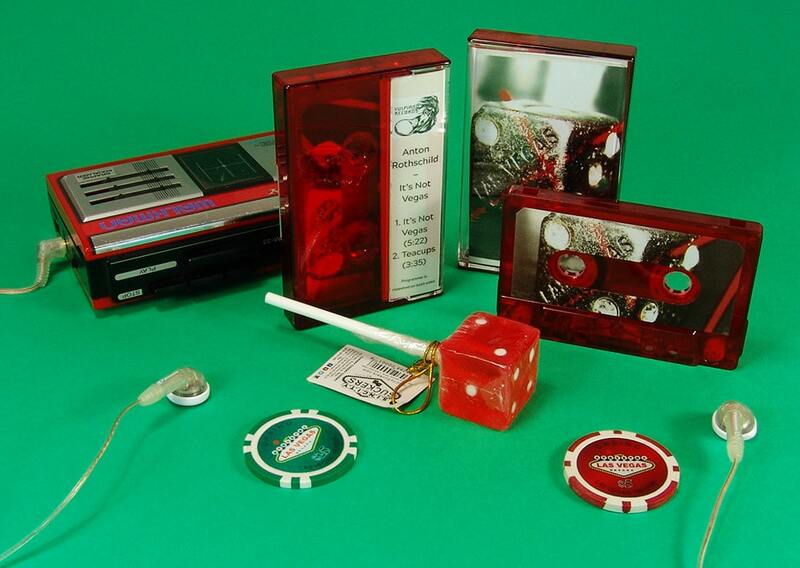 If chrome reel does end up being manufactured again then we will of course start adding it as an option. 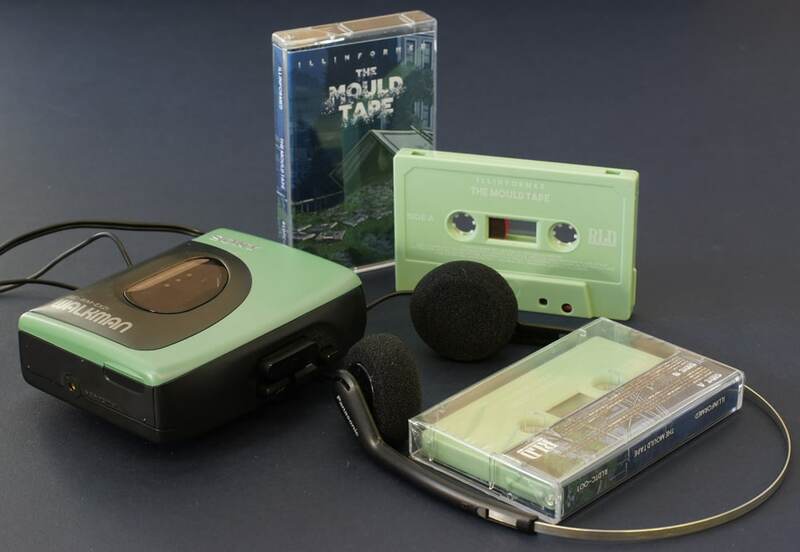 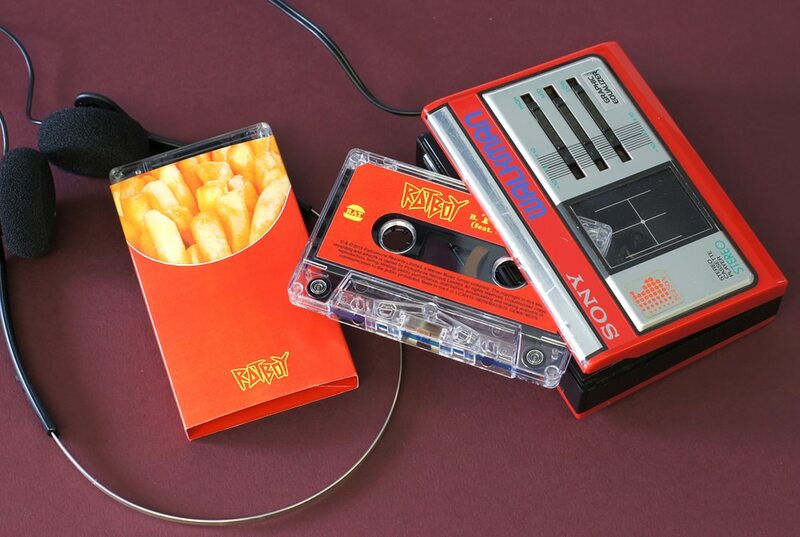 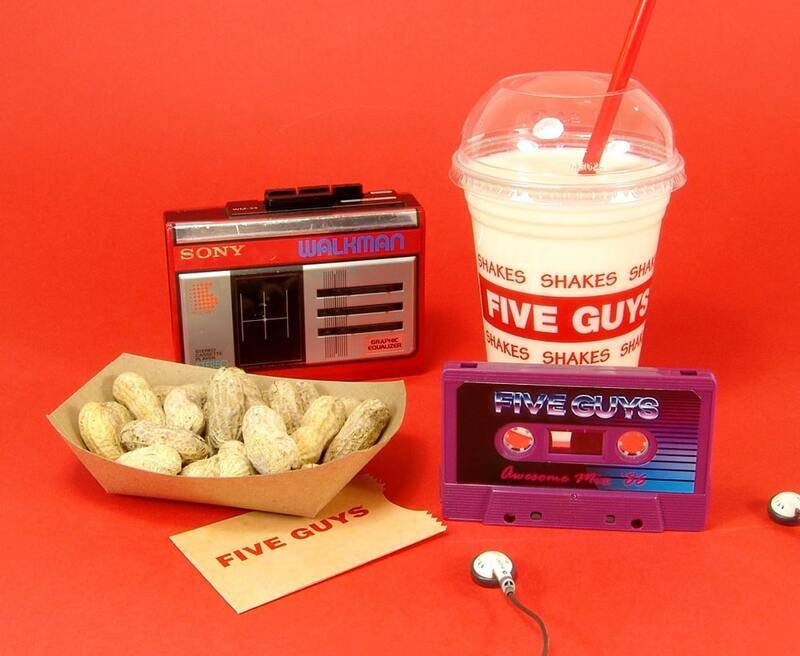 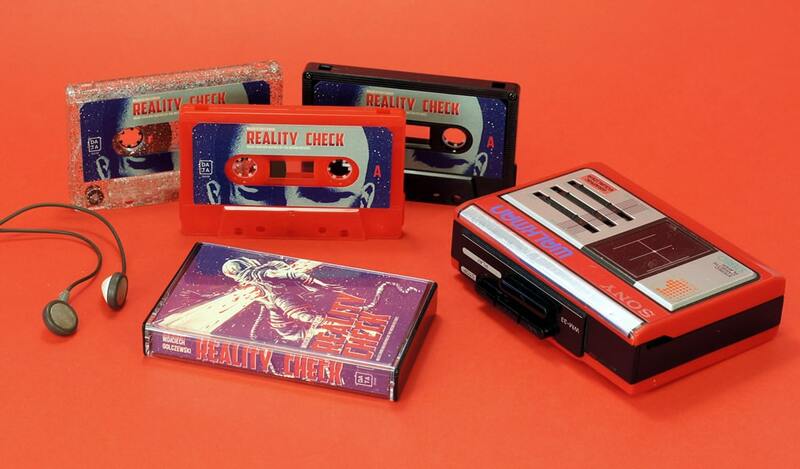 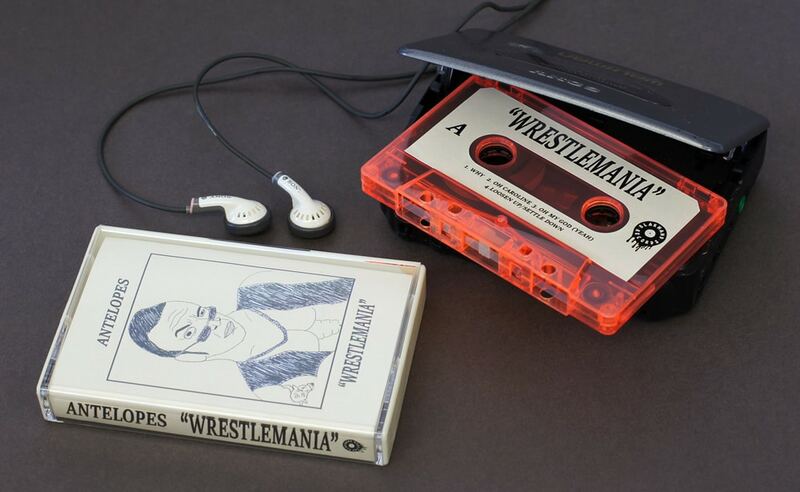 How are the cassettes recorded and what is the quality like? 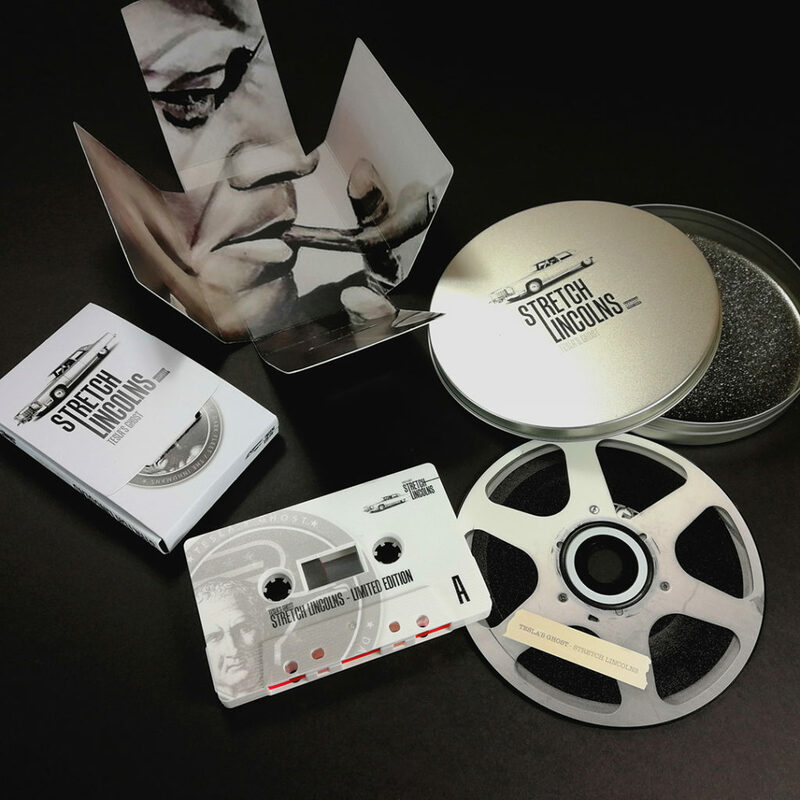 We record all of our tapes in real-time from a master CD for the best sound quality. 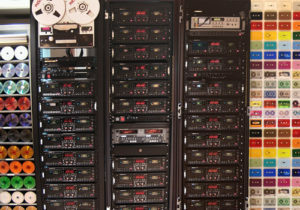 We run twenty eight active decks, allowing us to record over fifty tapes at a time and the decks are regularly serviced and calibrated to keep them in the best recording condition. 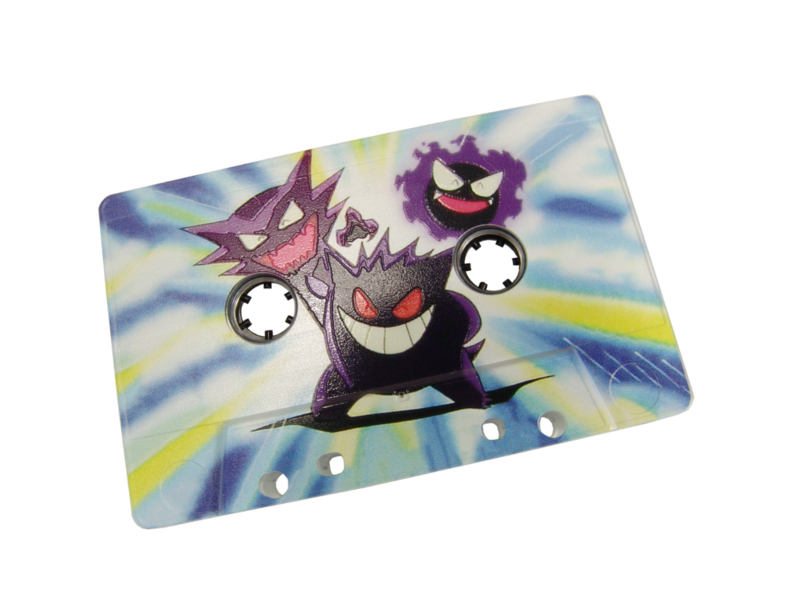 Click here to find out more about the setup and some the technical specifications that we work to. 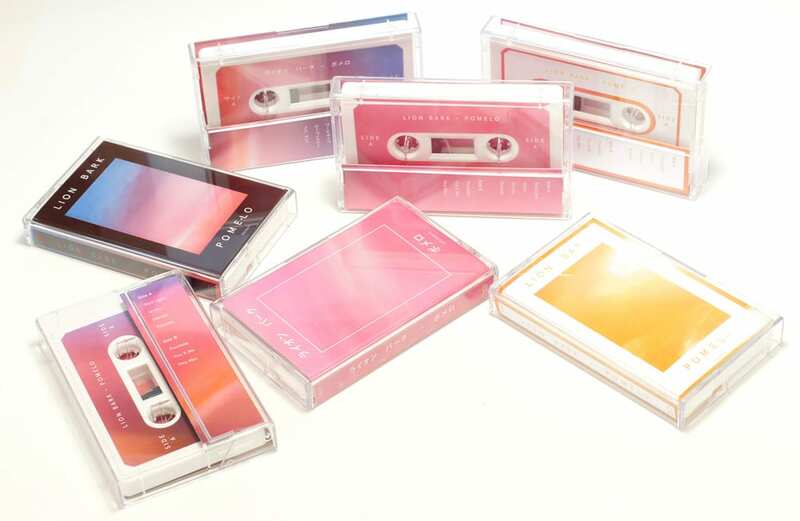 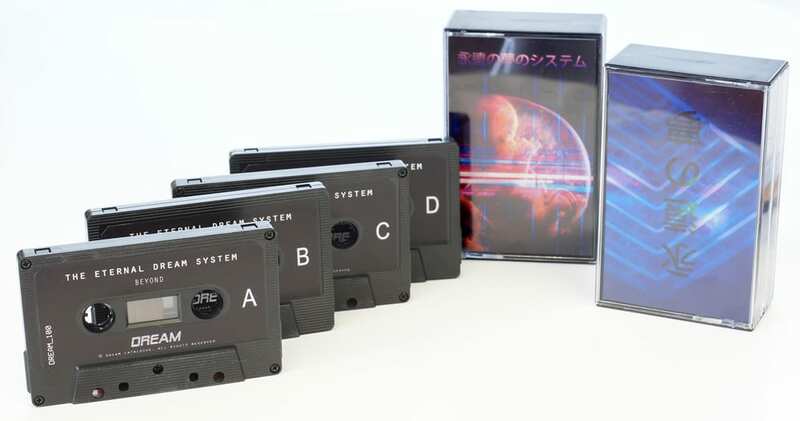 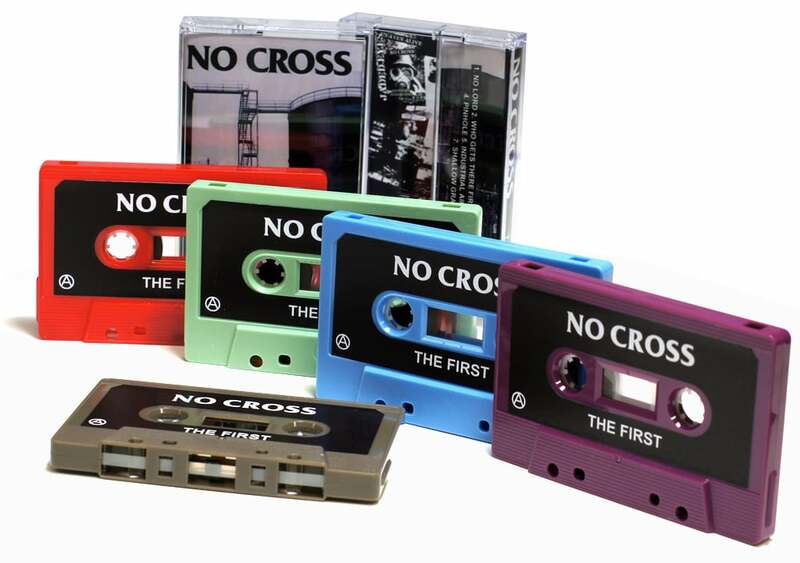 Blank cassette production worldwide is very limited and stocks of our coloured tapes can be restricted and cannot be guaranteed, so please check before ordering as some are discontinued styles that may not be available again. 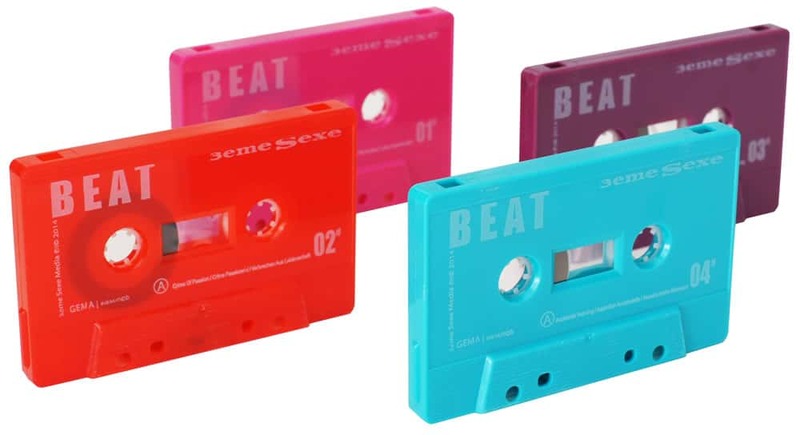 However conversely, some new batches are produced from time to time, so we may be able to source alternative styles or other colours if required. 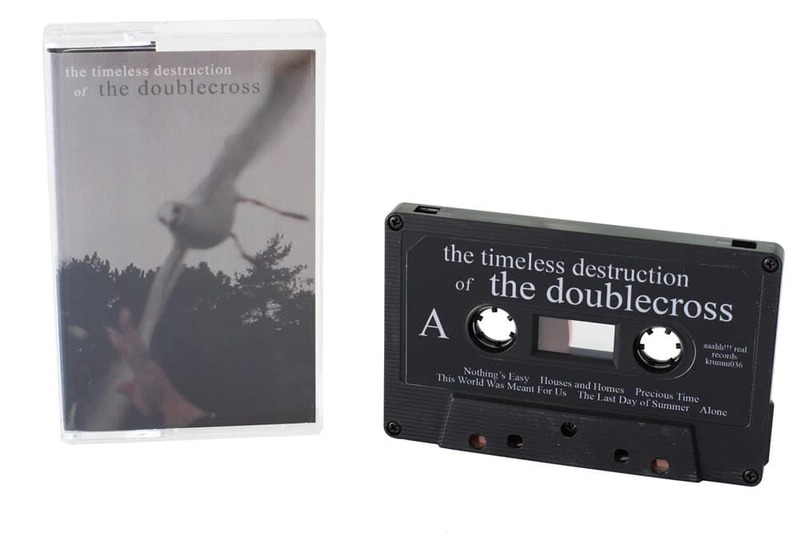 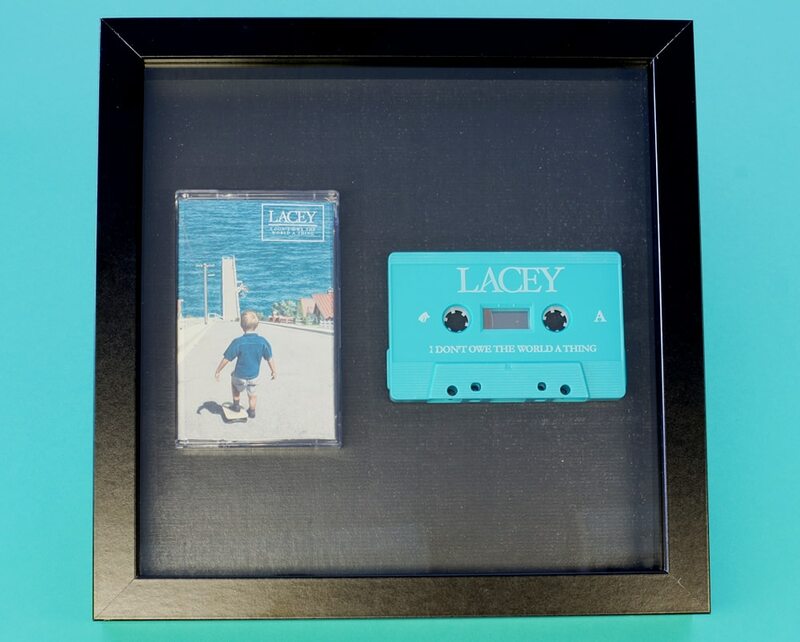 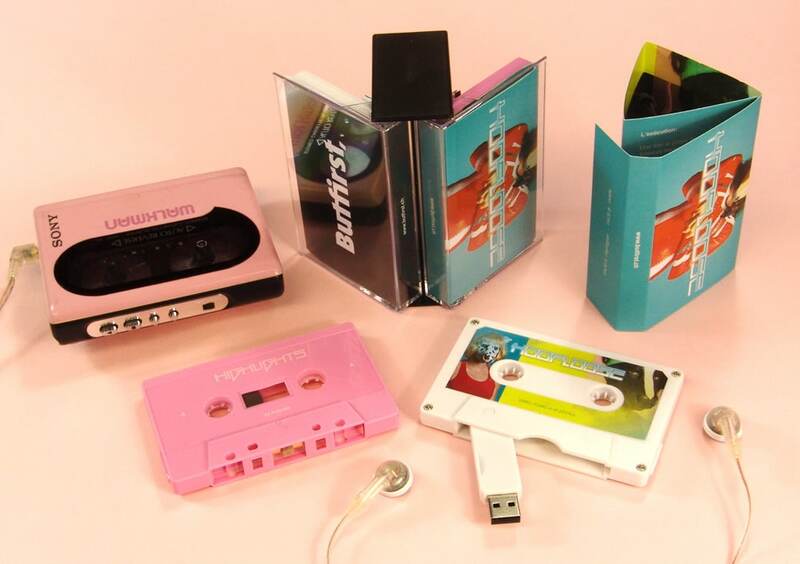 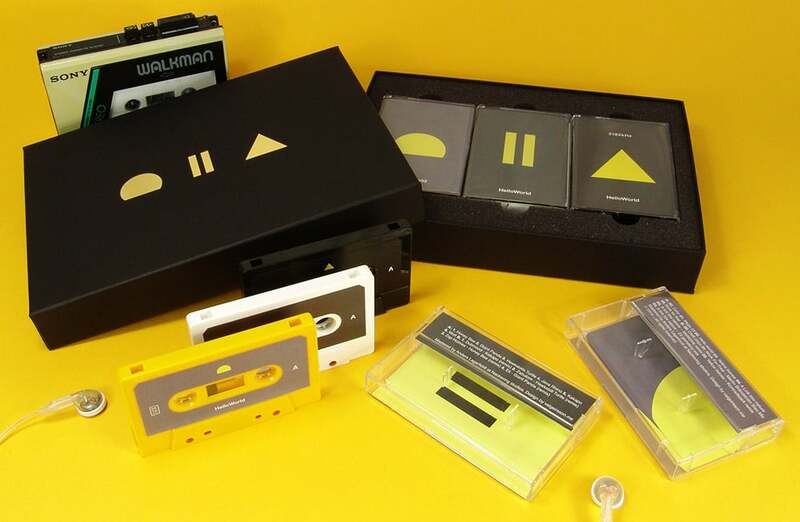 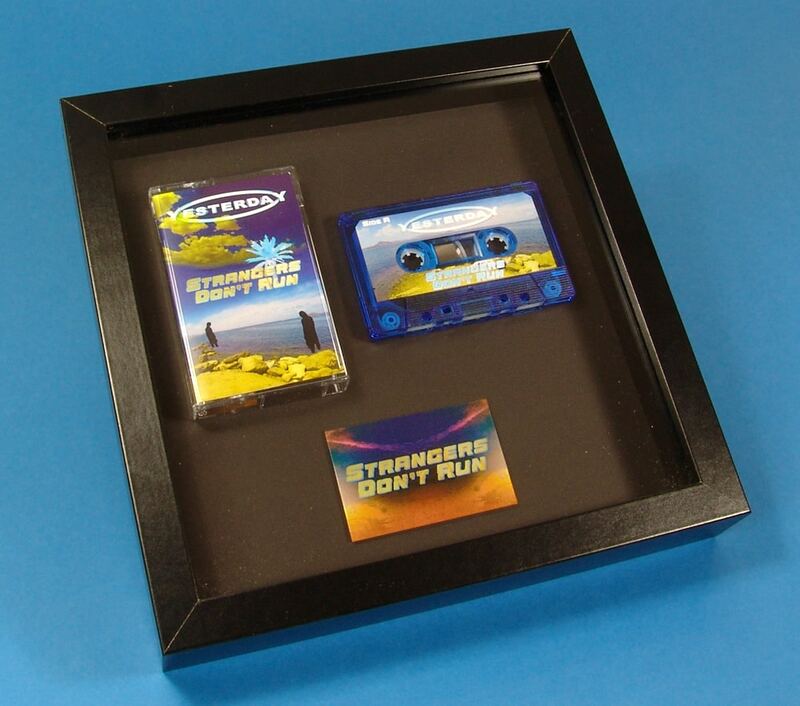 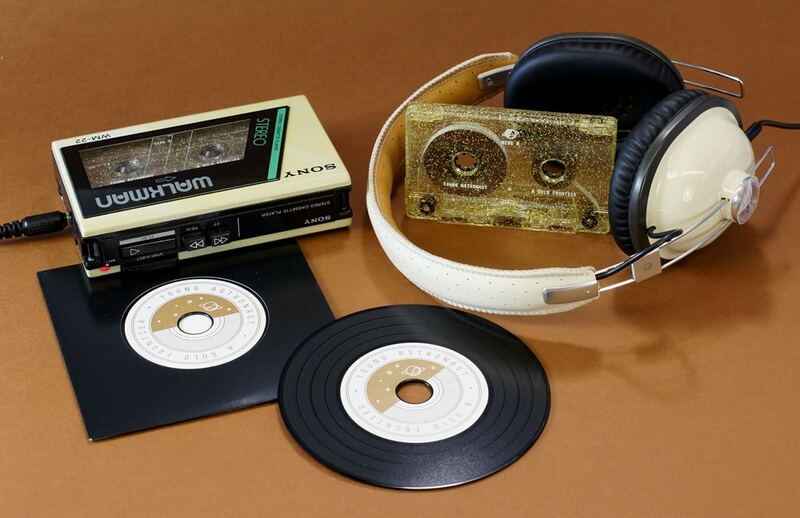 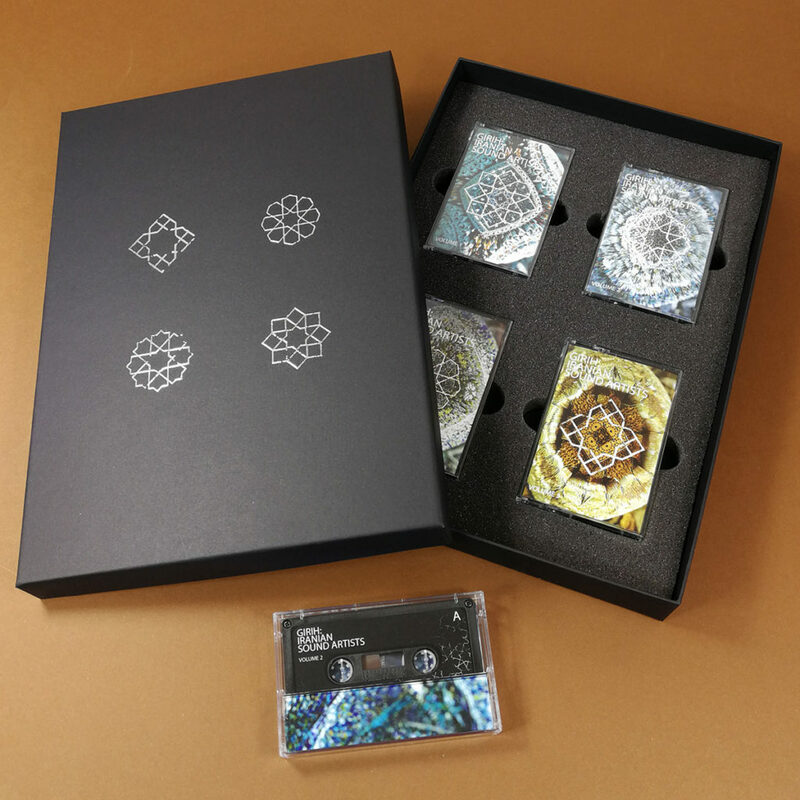 When placing a cassette order with us, you can get 50% off our cassette tape presentation frames when using the tapes from your order and being ordered and delivered at the same time as your main tape order. 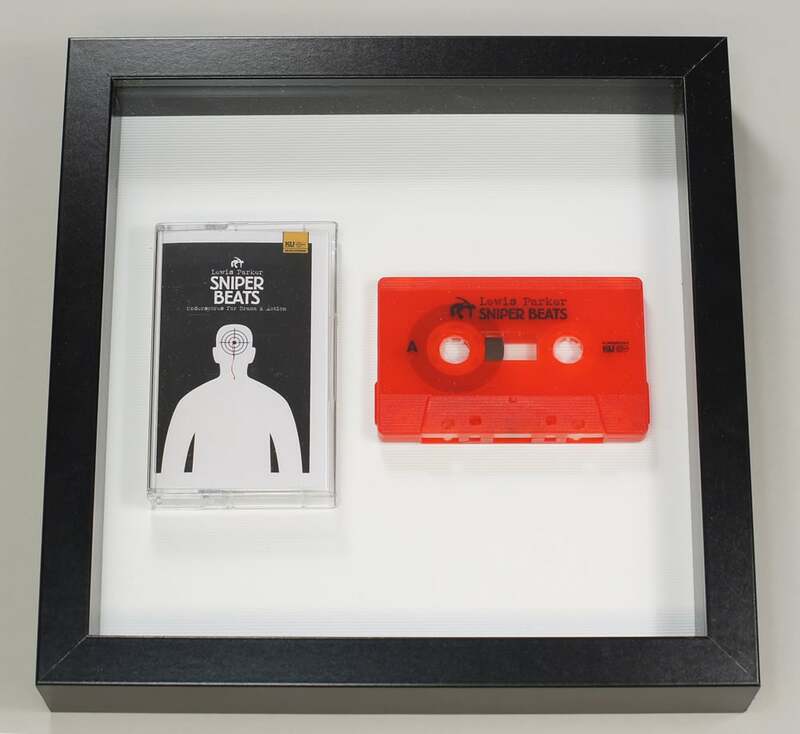 The frames are fully finished, ready to hang and include additional copies of your release and can even be provided with a full colour printed metal plaque with your artwork on to celebrate the cassette release or as a memento for the band members. 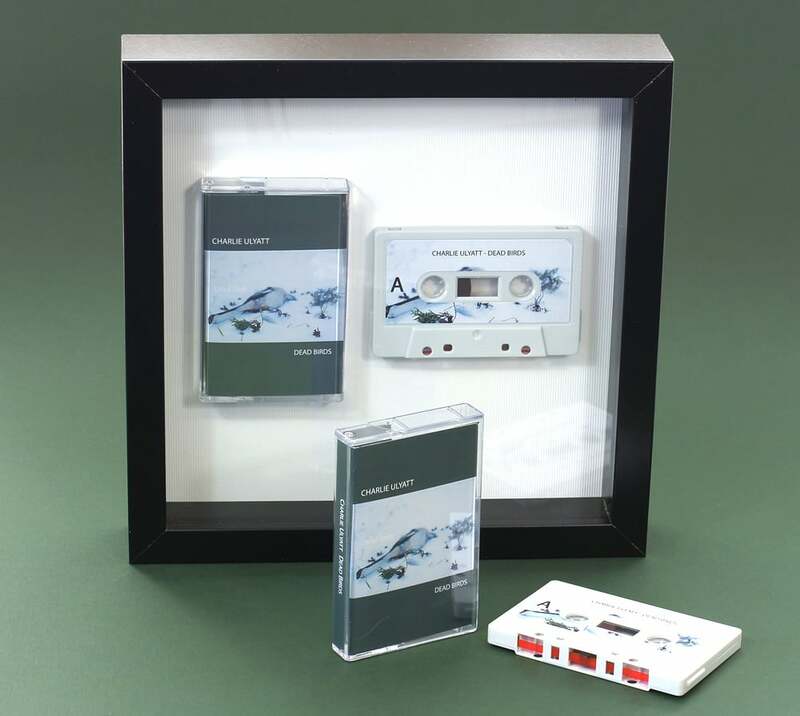 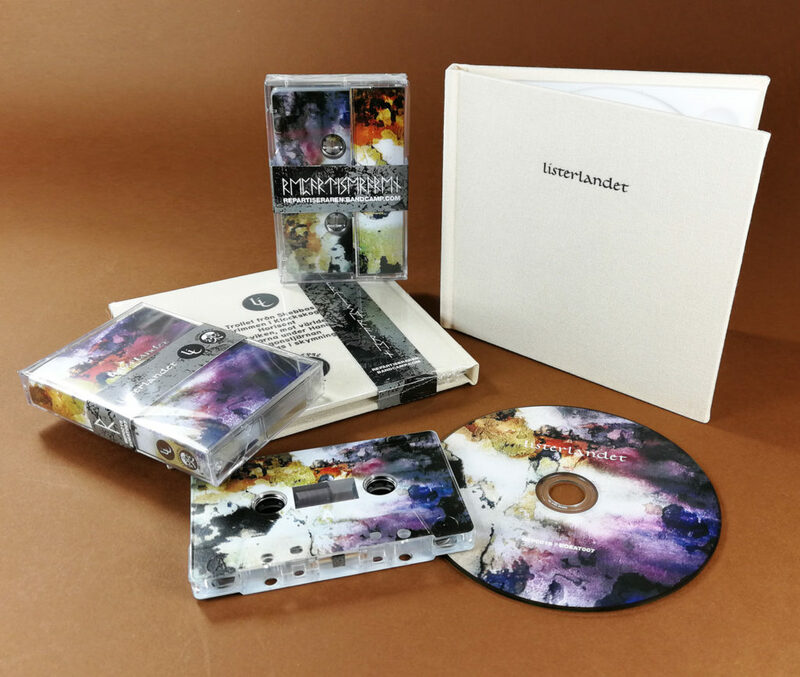 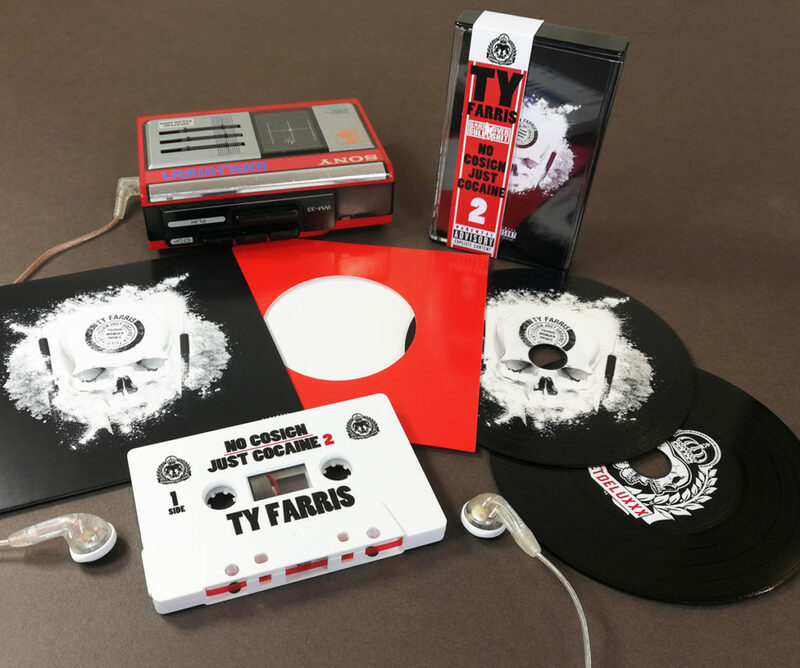 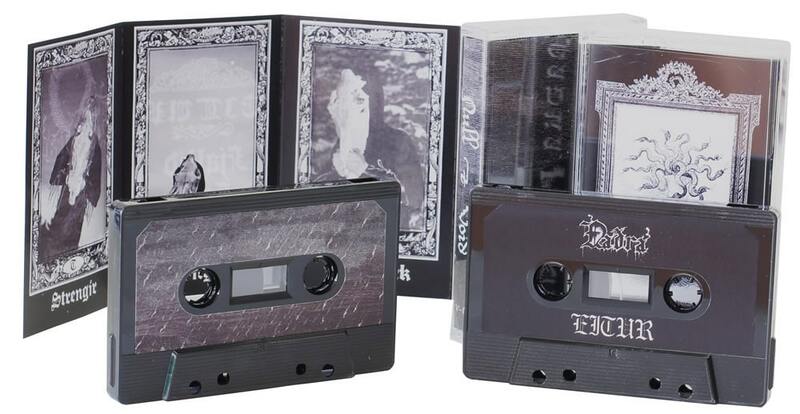 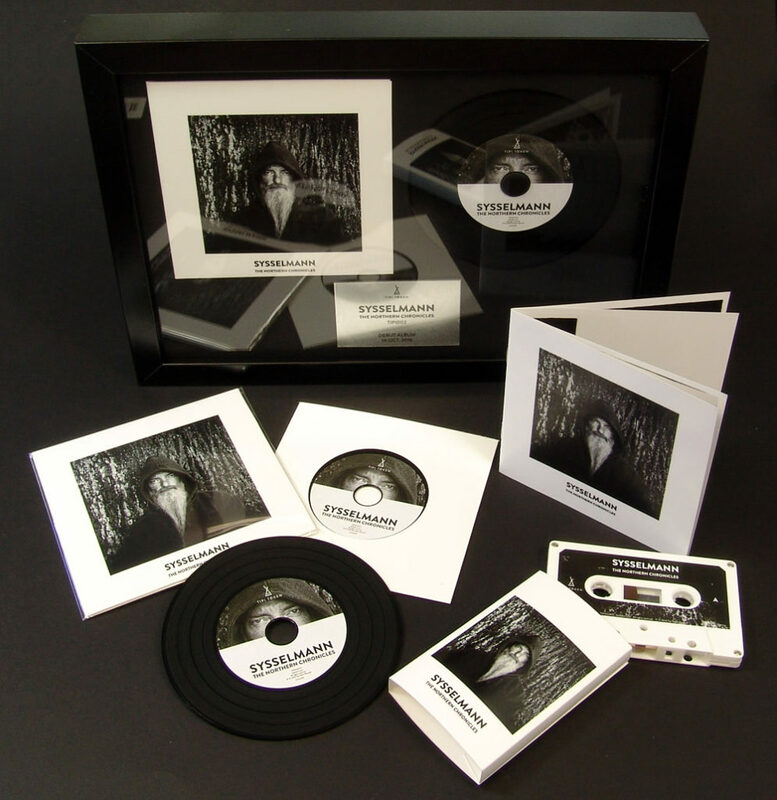 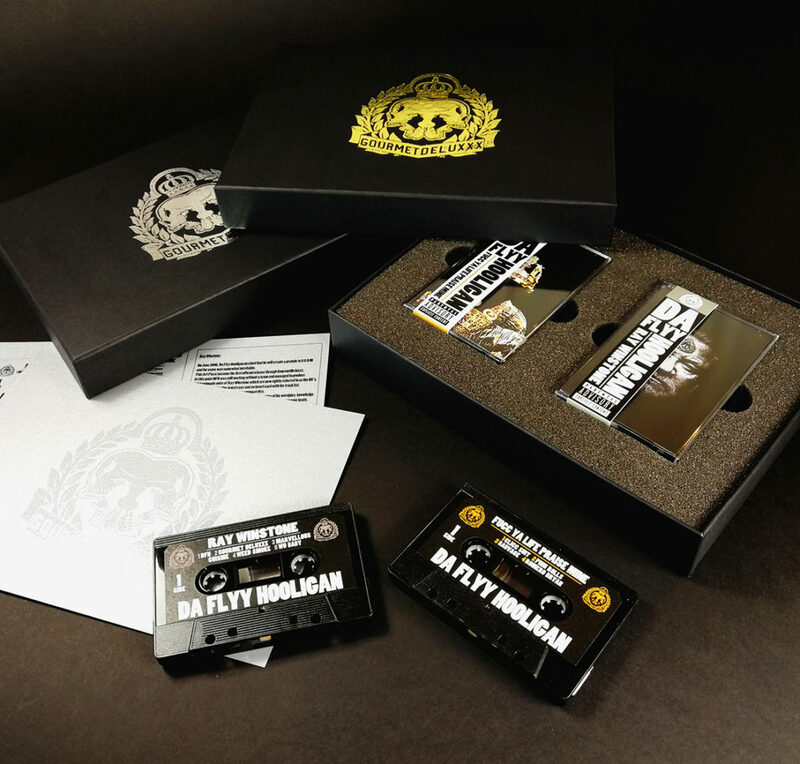 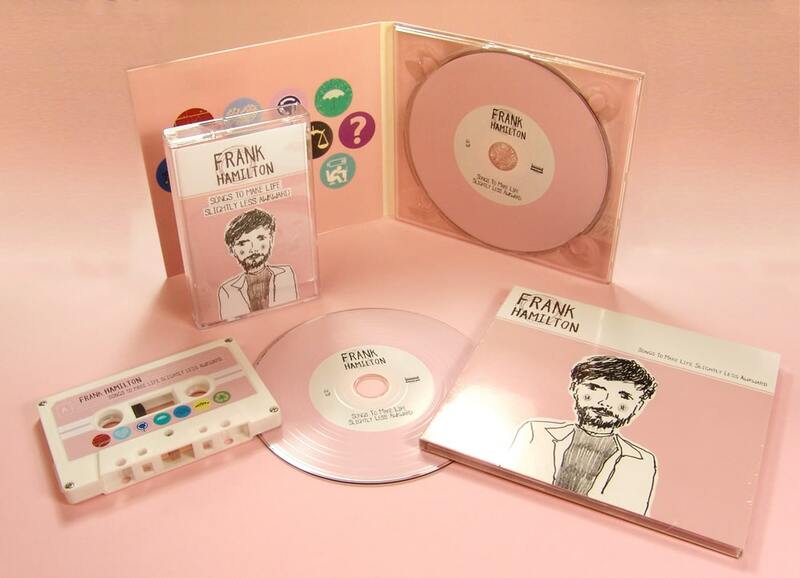 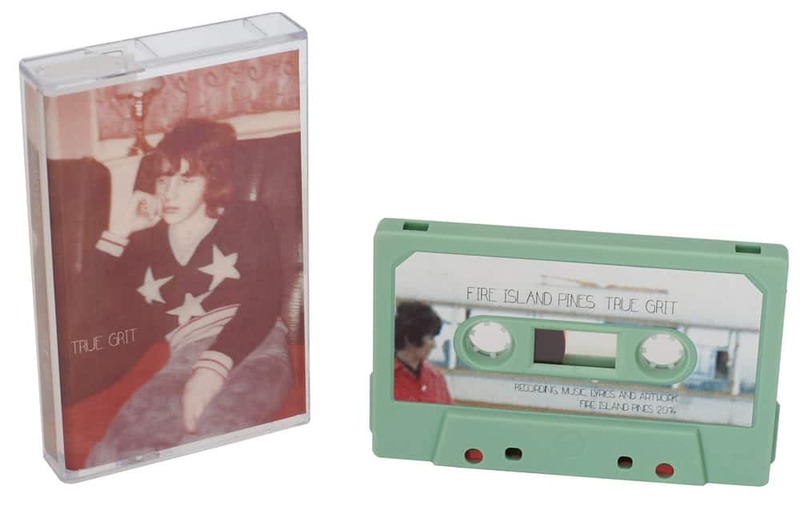 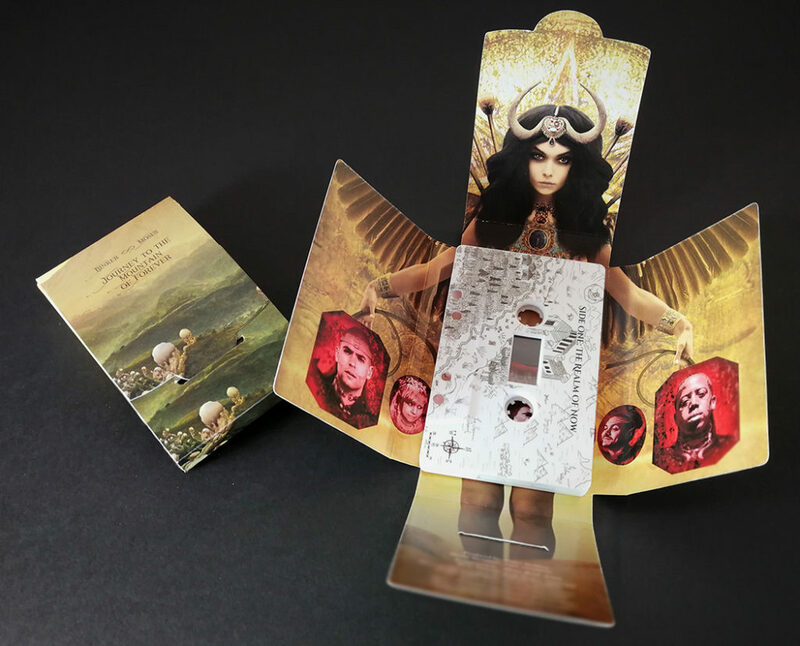 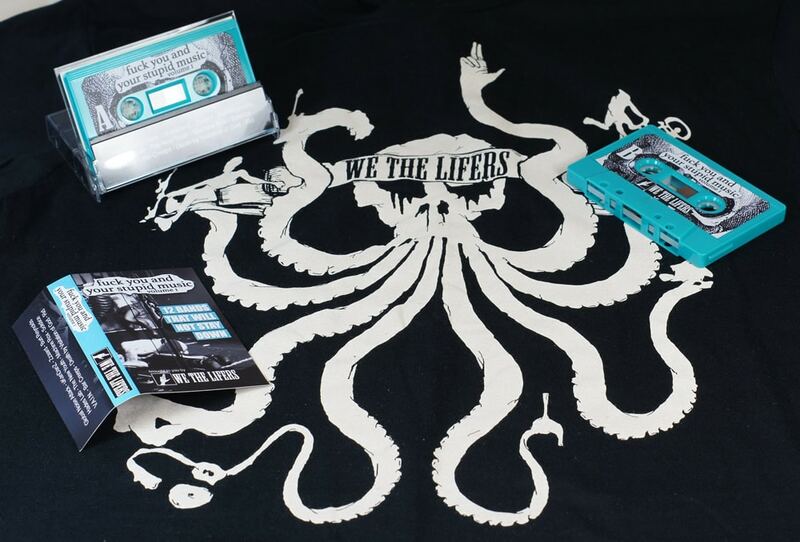 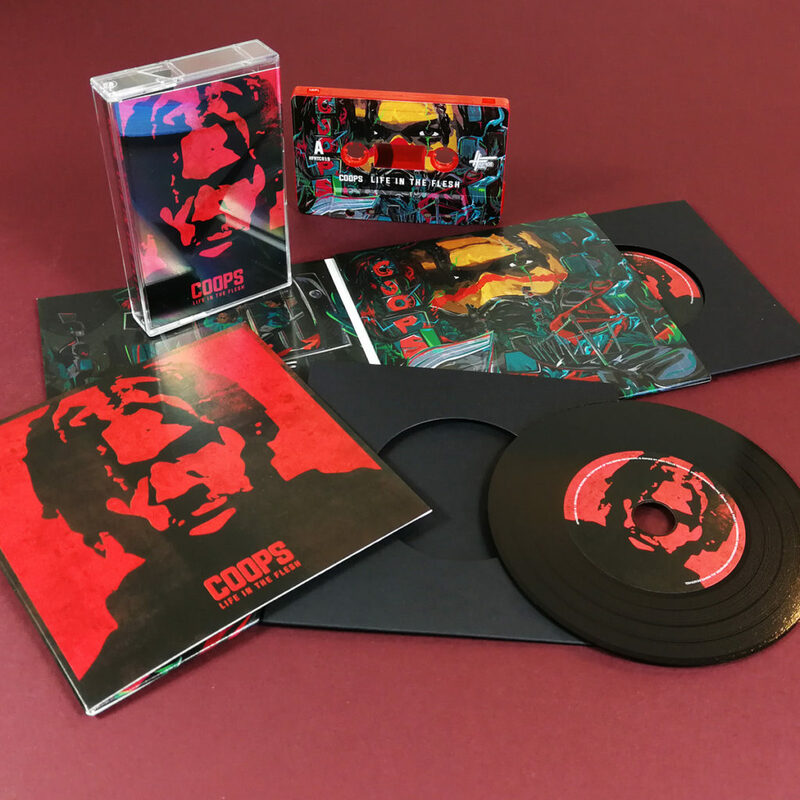 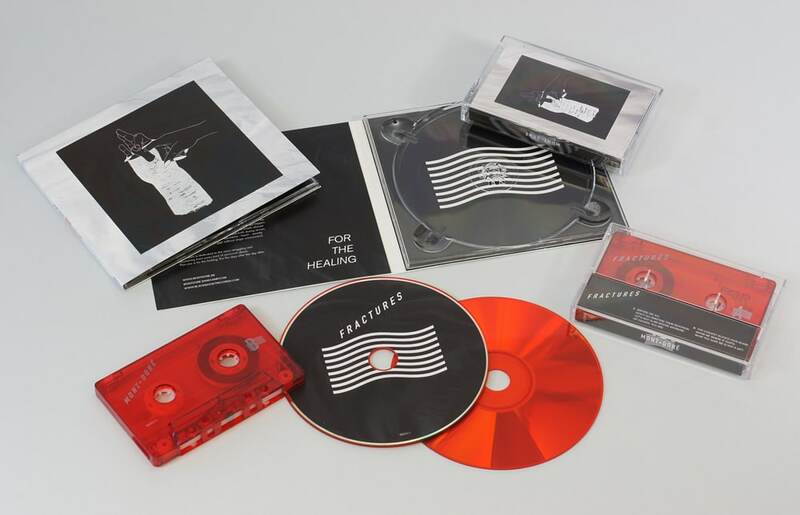 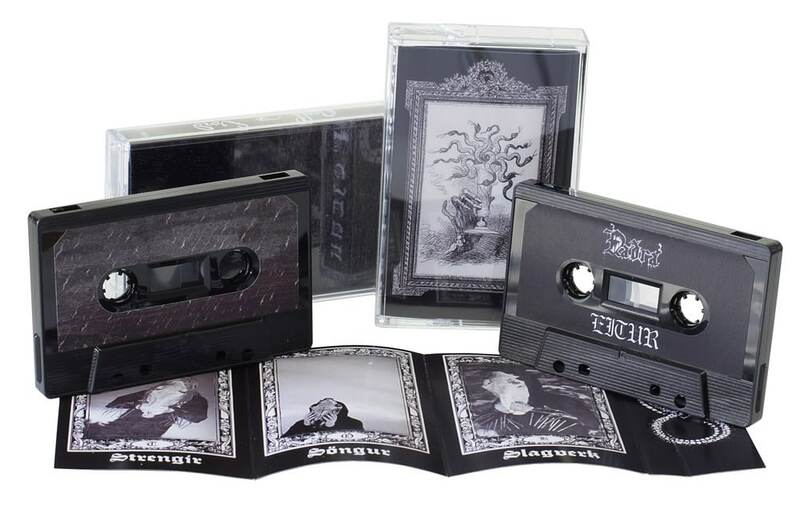 The frames can include both a copy of the tape and also the packaging and are available in black or white borders with black or white backgrounds. 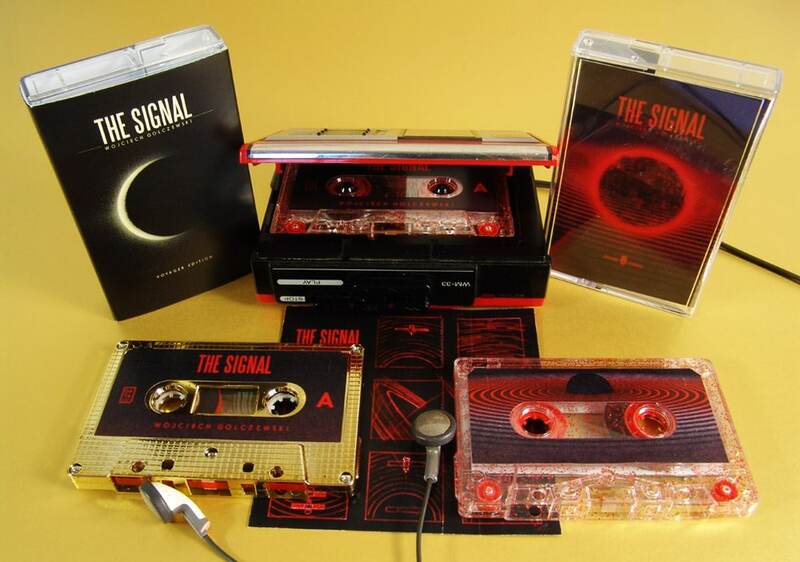 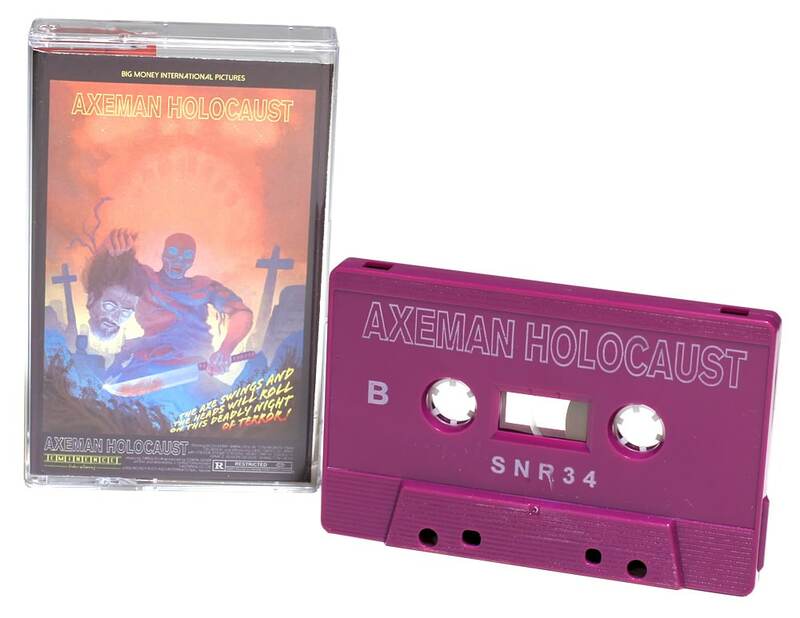 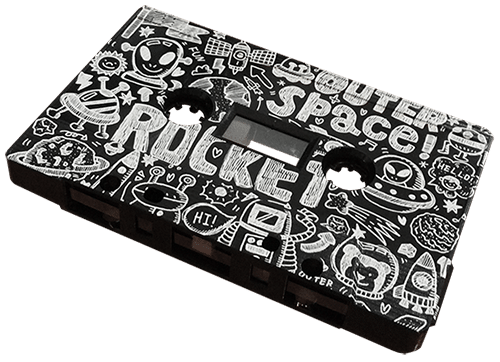 If you will be selling your cassettes through a retail store then you will probably need to register a unique barcode for your release and apply it to the rear outer artwork of your product to make it possible for them to sell via their product barcode scanner. 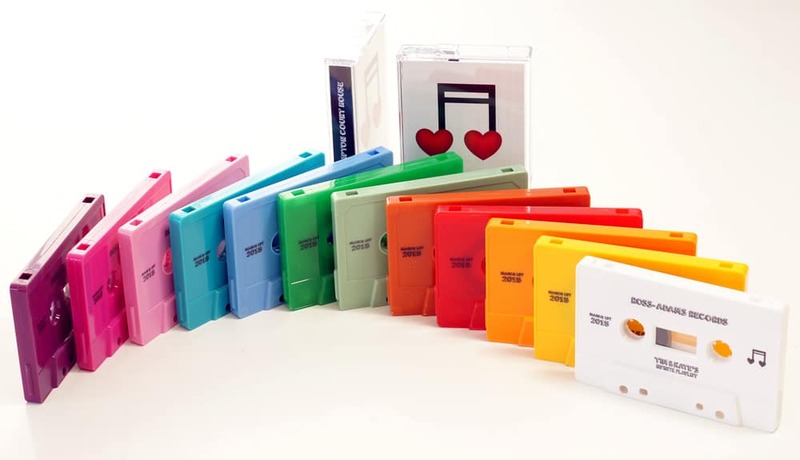 In Europe we use the EAN 13 barcode system and in North America the UPC system is used. 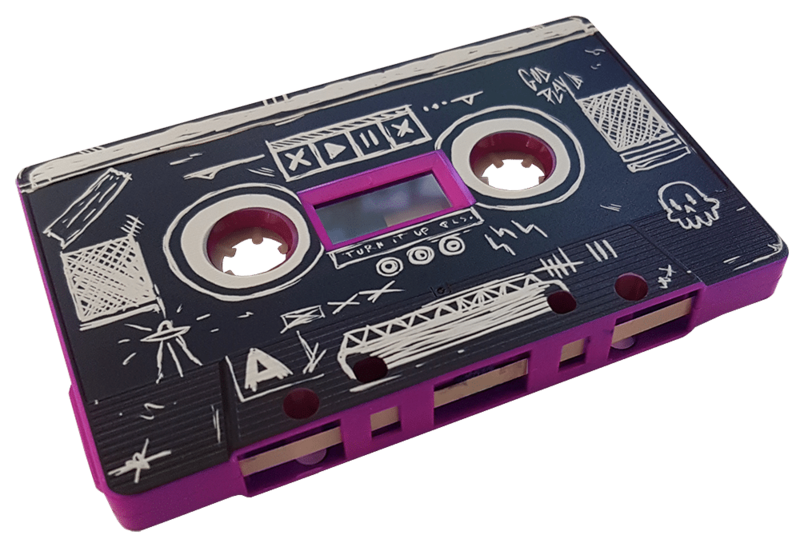 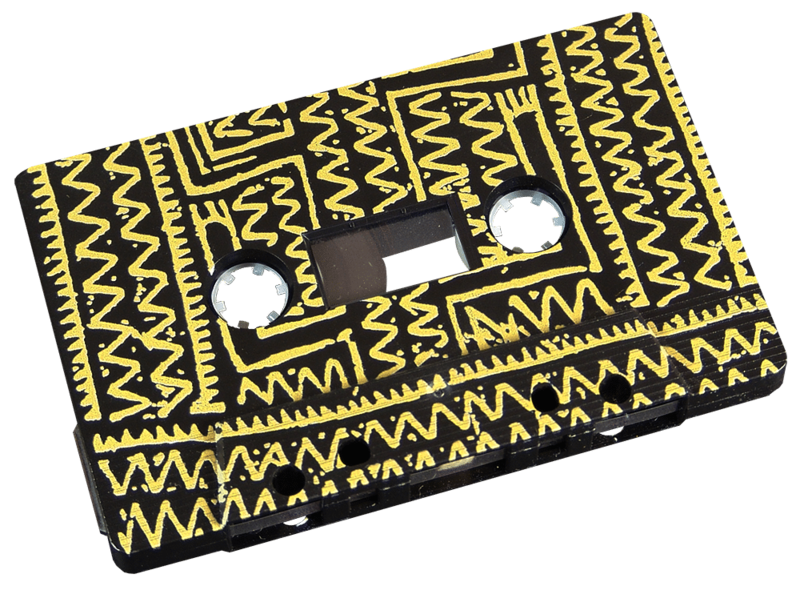 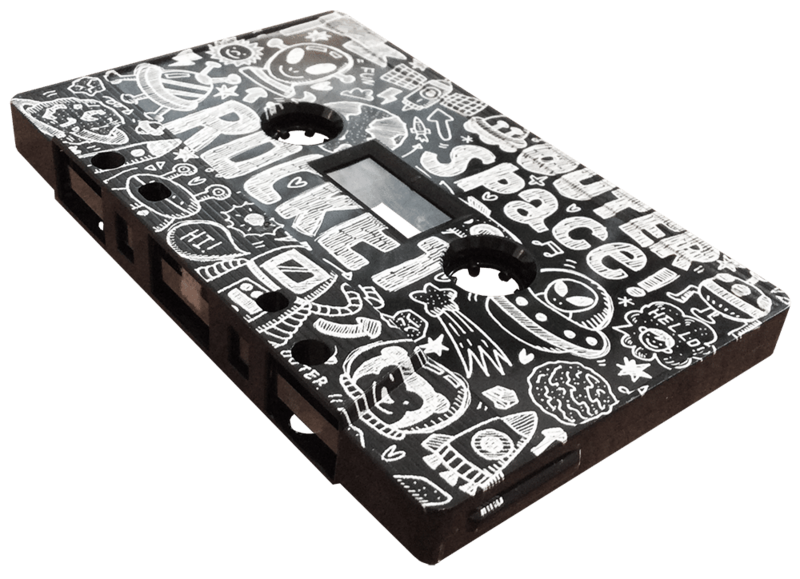 We can register an EAN 13 barcode for you and embed the barcode graphic within your cassette packaging artwork for just £12+VAT. 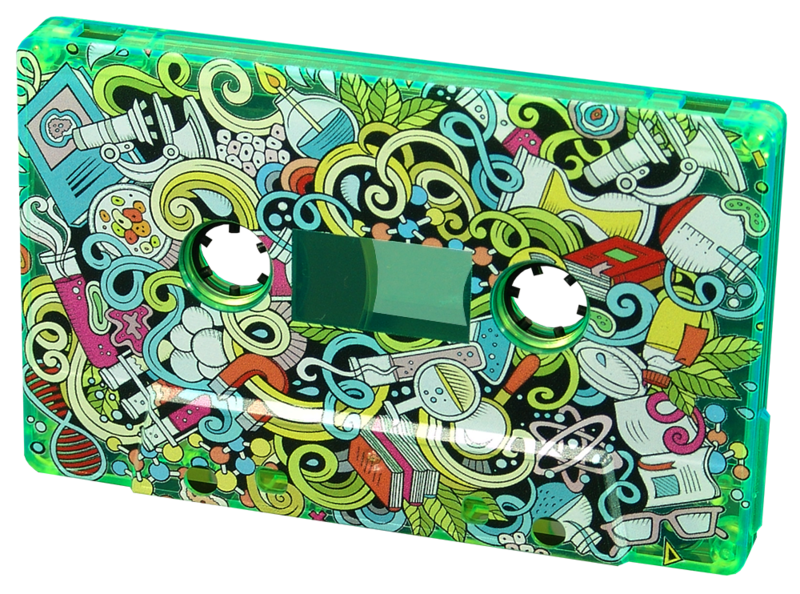 The only information that we will require from you will be the name of the band/artist and the title of the release, then just leave a suitable space in your artwork and we will register the barcode and add it to your artwork for you, all for just £12+VAT. 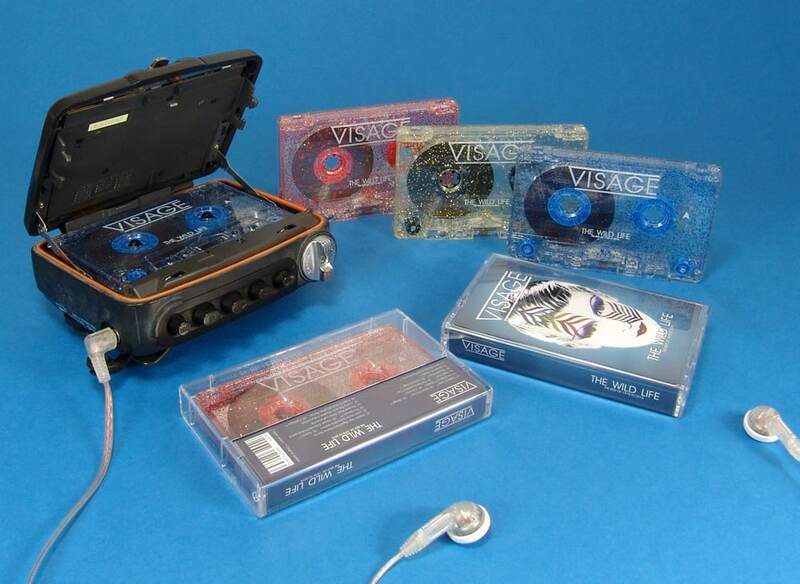 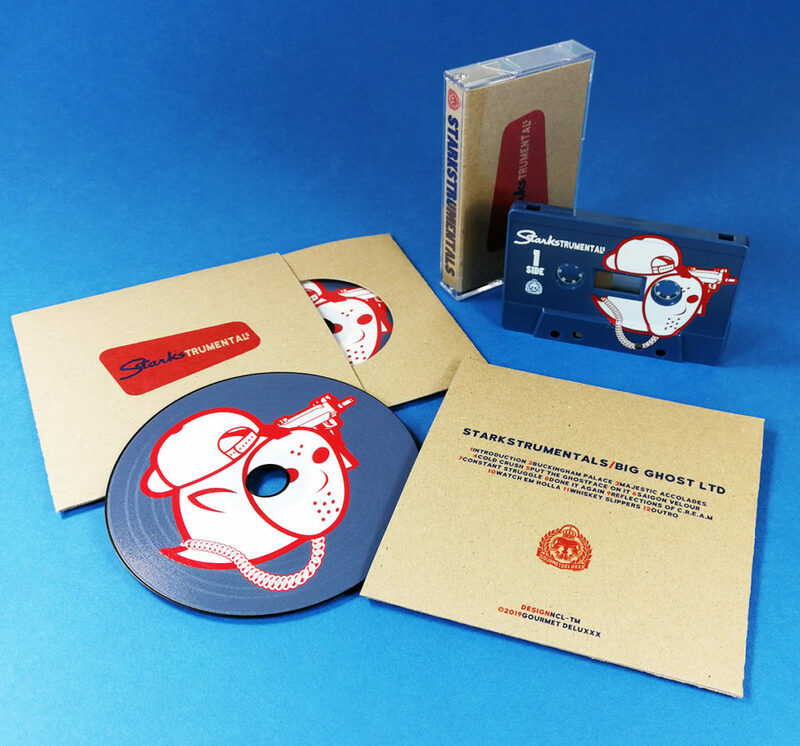 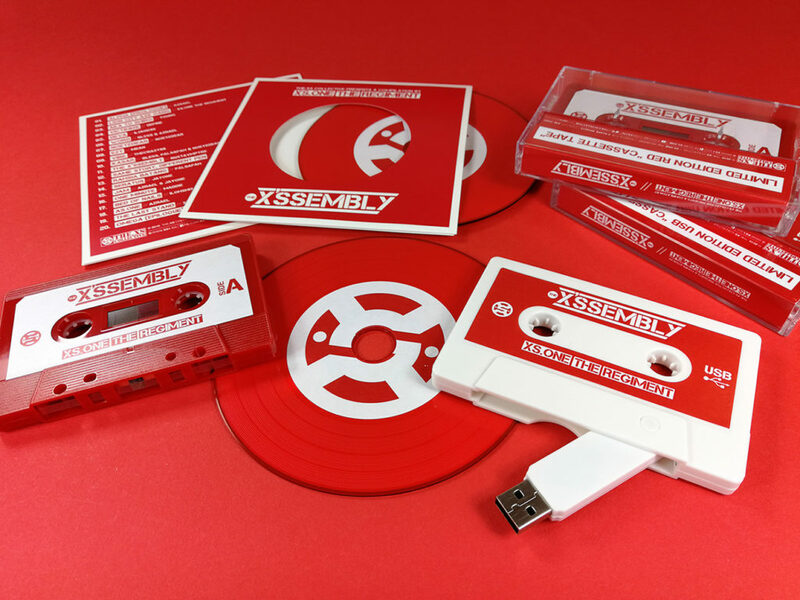 We also have an extensive CD and cassette production FAQs section which may help to answer your questions.